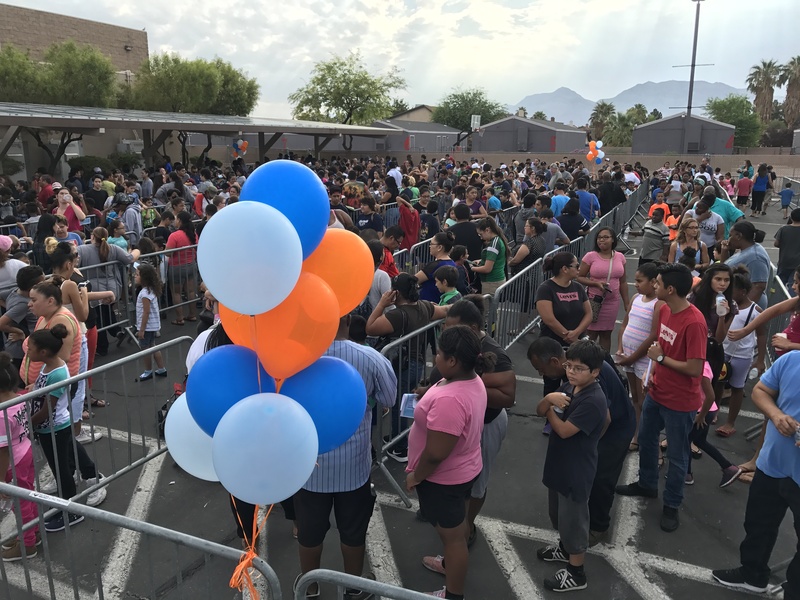 A few days before school started our GLGB team sponsored the Fuels Champion Center’s “Hope Las Vegas” Back-to-School event. 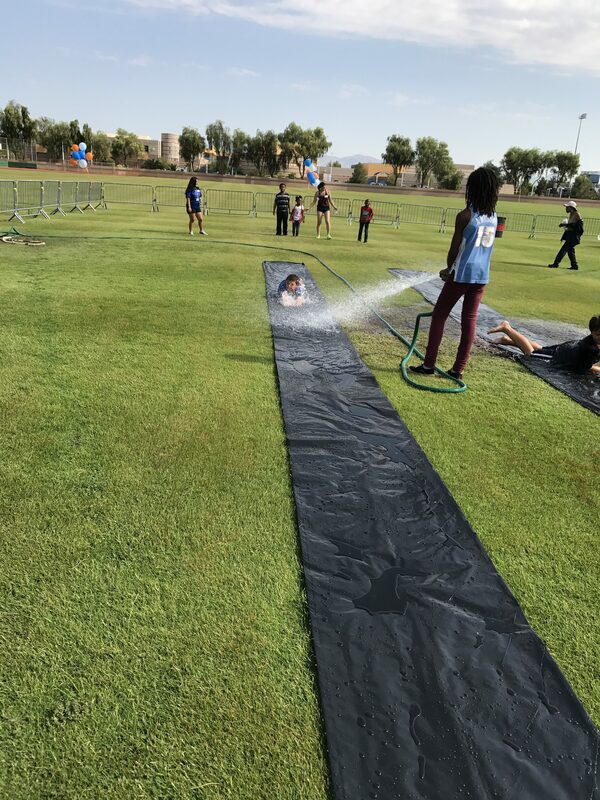 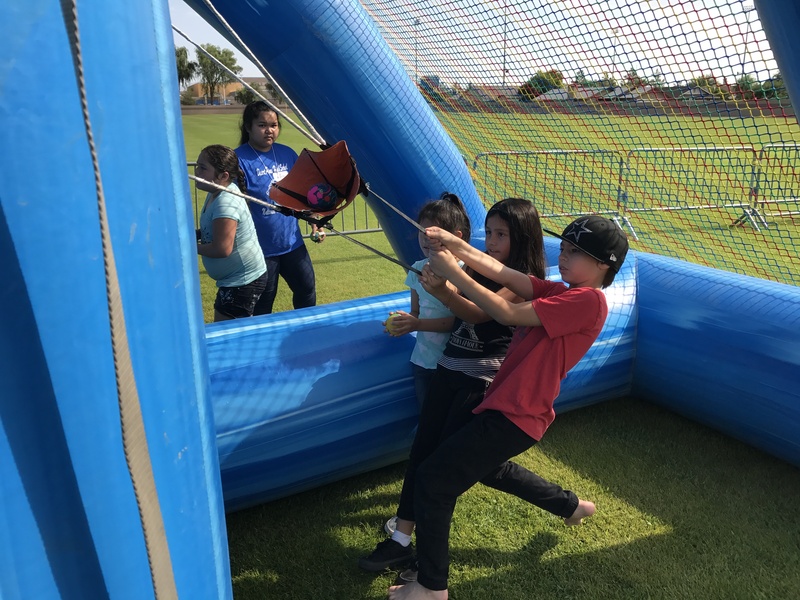 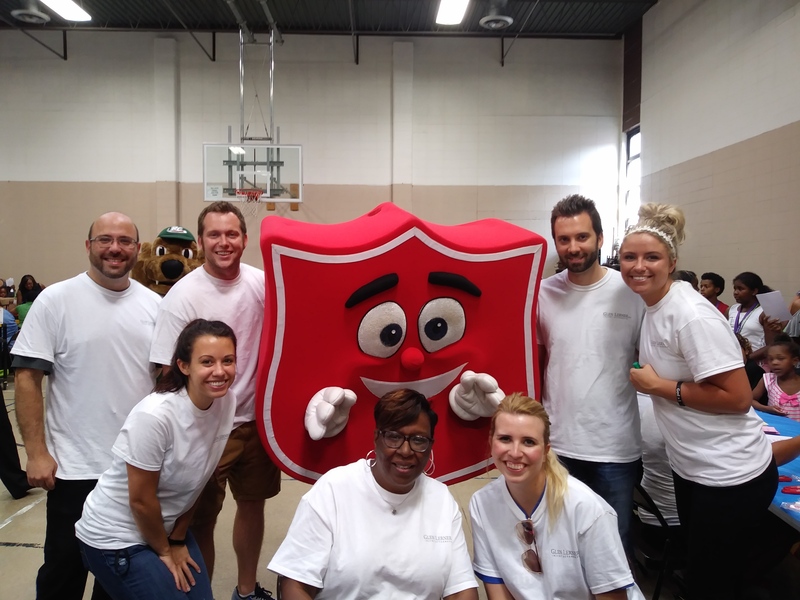 Our Las Vegas injury team was attracted to the Champion Center’s community outreach philosophy of loving their community, which was demonstrated at the event where they admonished volunteers to consider the visitors as “honored guests” and not visitors. 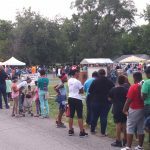 This one-word description set the mood for the entire event whereby visitors felt welcomed as “honored guests.” A wise man once said that “the heart of the matter is a matter of the heart;” and the heart of the volunteers made the difference between a good and a great community outreach event. 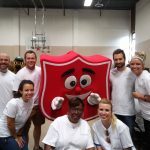 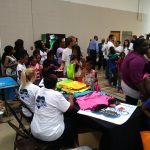 Another great saying is that “actions speak louder than words.” The results from the event reveal the Champion Center’s commitment to love on its “guests,” where the mindset led to action where over 4,000 backpacks were given to needy children, 200 received haircuts, and 128 received free medical treatment. 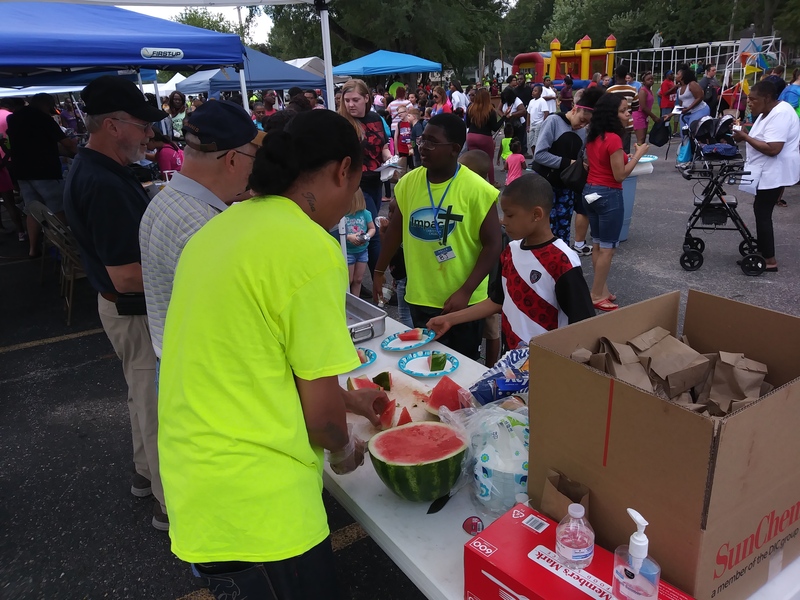 Every one of the thousands of guests received the love-of Christ through the hands and hearts of the volunteers who were committed to loving their neighbors as honored guests. 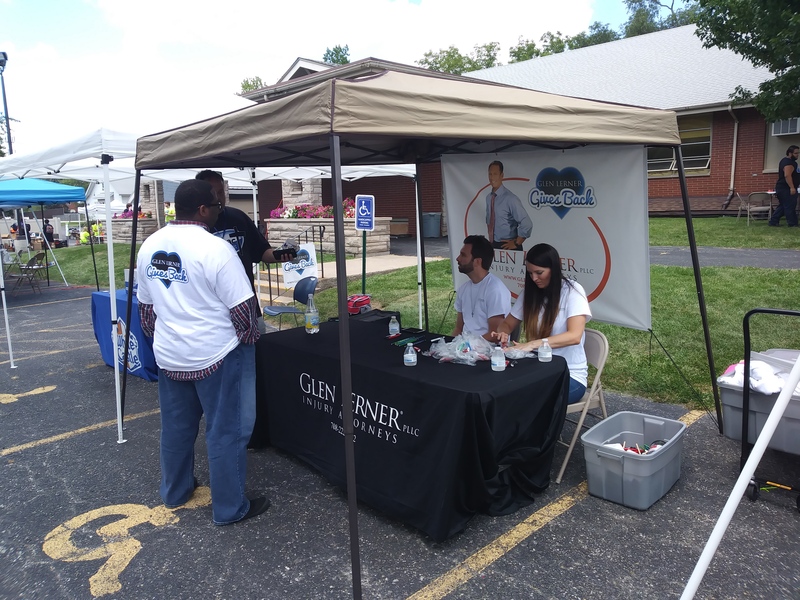 Like the Champion Center, we at Glen Lerner Gives Back are committed to giving back to the neighborhoods where our clients live. 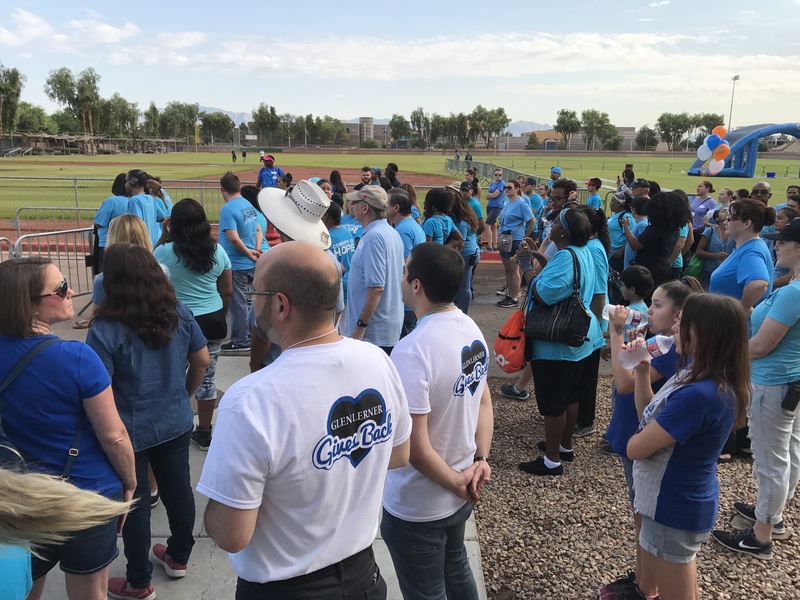 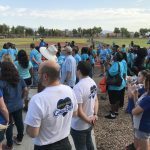 The lawyers and support staff of our Las Vegas personal injury firm came out in force to join the Champion Center volunteers as together we served thousands of our neighbors. 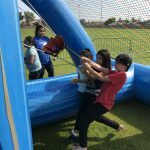  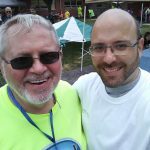 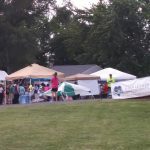 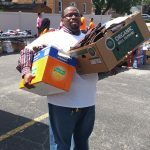 A good epitaph of the event can be summed up as “neighbors helping neighbors.” As our organization’s name suggests, we believe the heart of a champion is always focused on giving back! 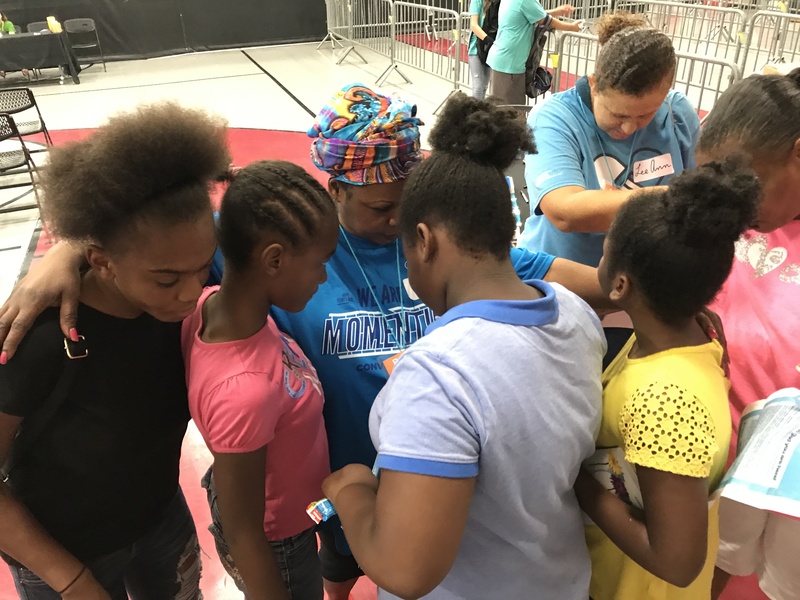 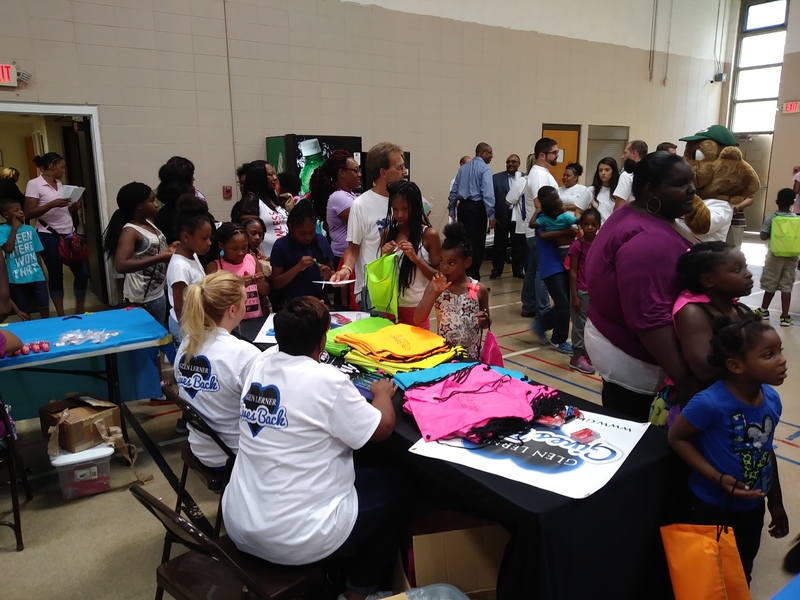 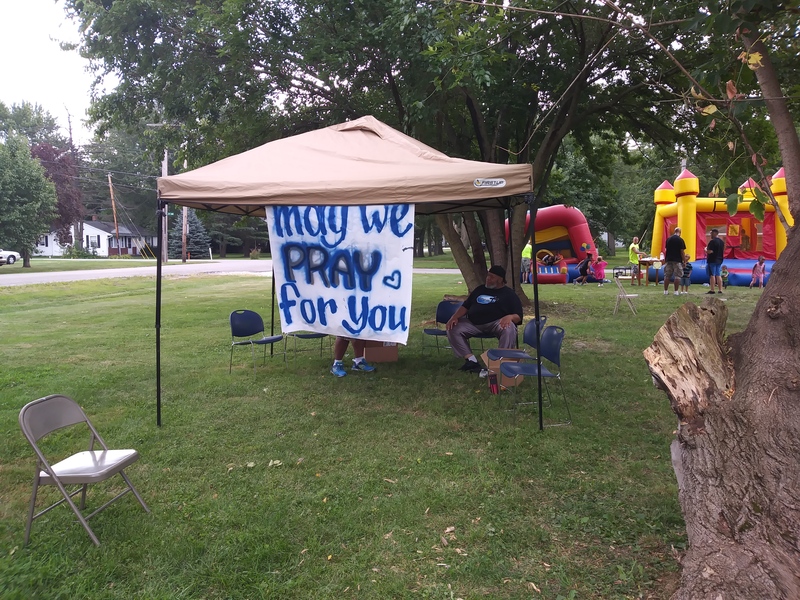 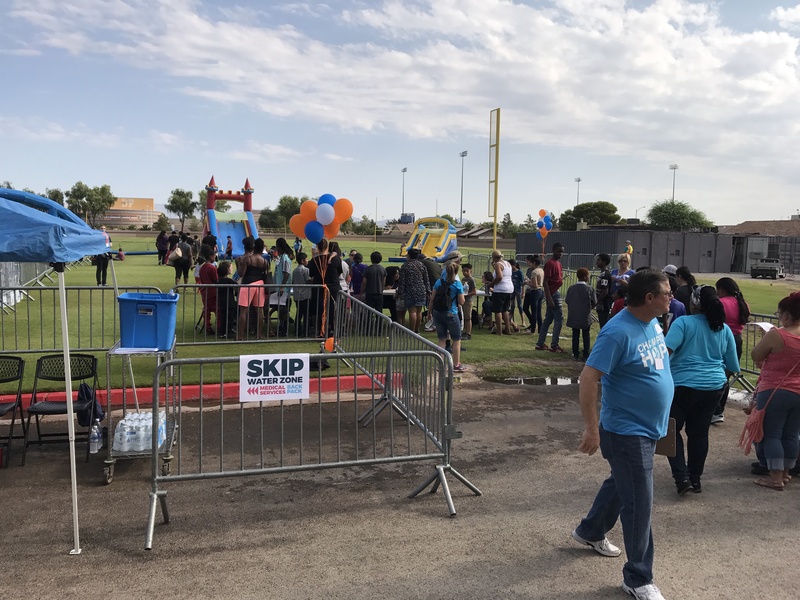 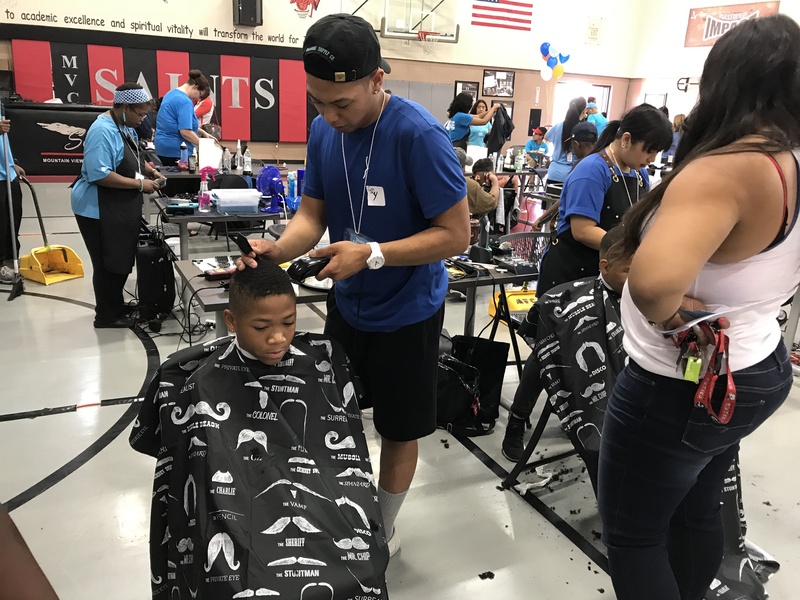 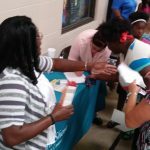 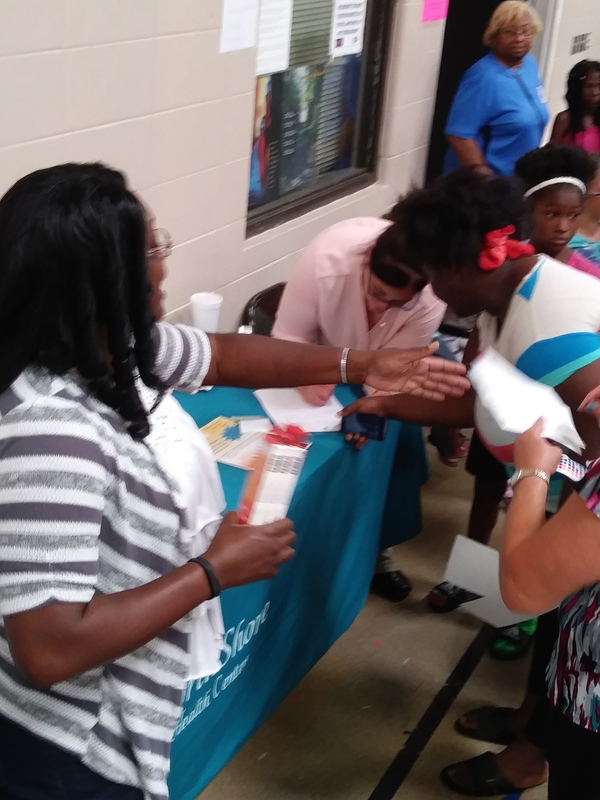 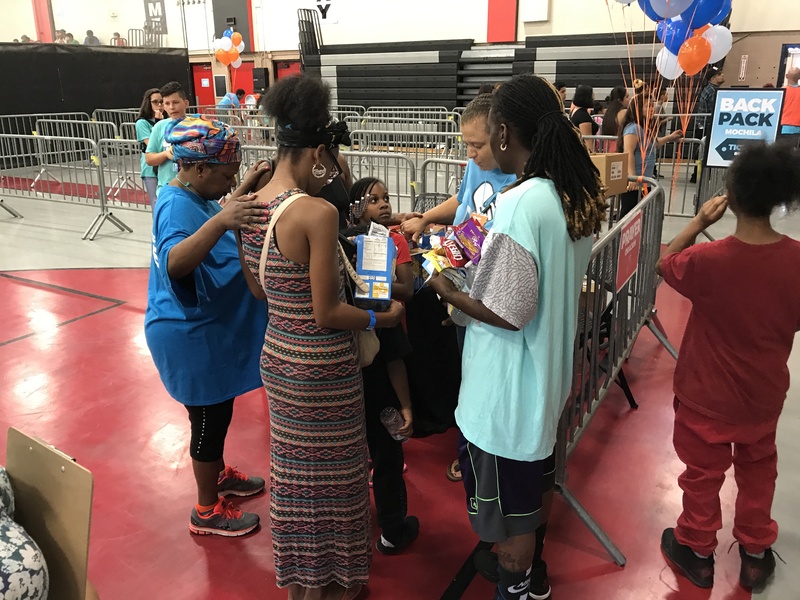 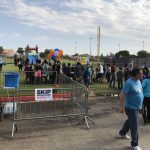 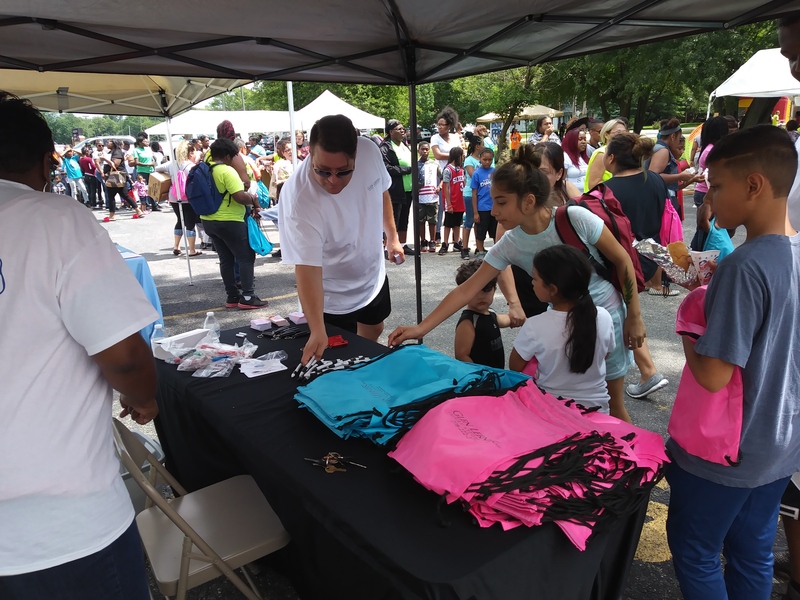 The Champion Center’s motto is “loving God, and loving others,” and the back-to-school event was a beautiful illustration of this motto in action. 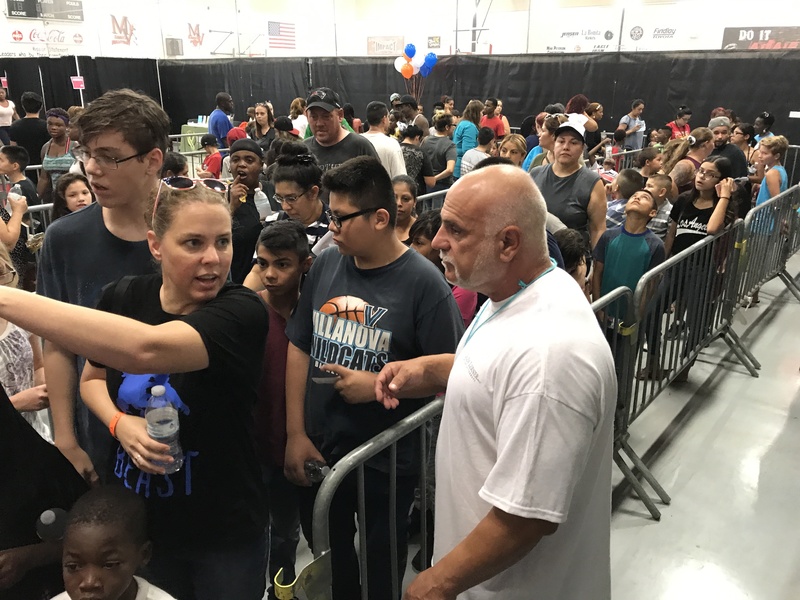 The Champion Center is located at 3900 East Bonanza in East Las Vegas.  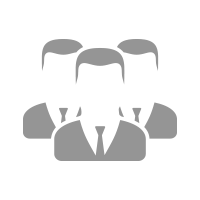 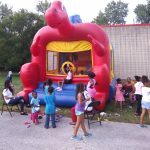 For more information, please go to their website or contact us today. 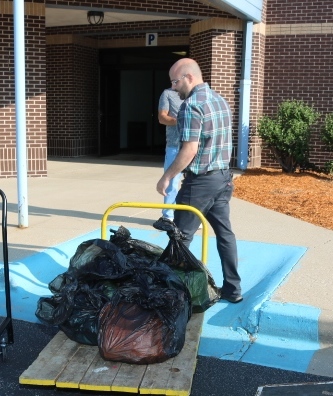 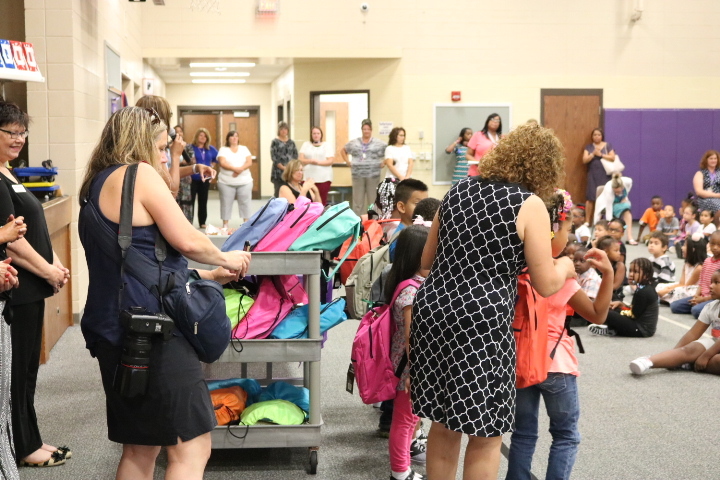 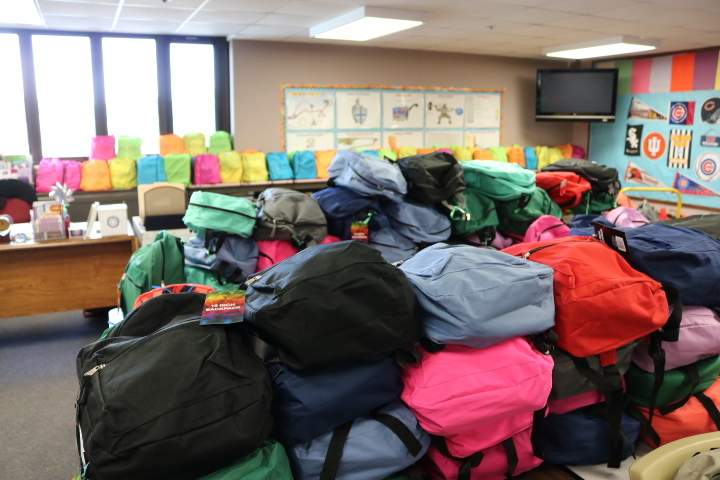 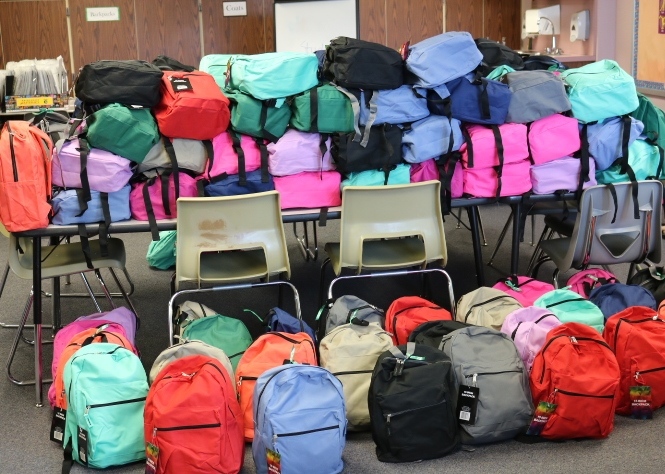 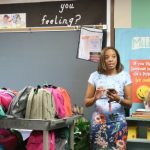 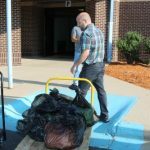 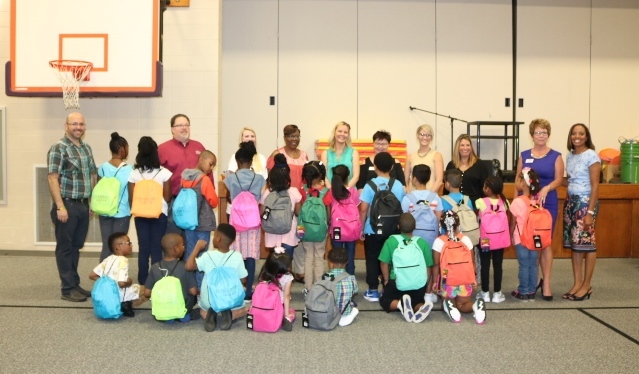 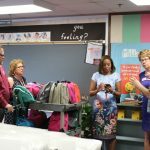 Miller Elementary School received a donation of backpacks that were filled with school supplies, including pencils, crayons, and paper, and distributed to students on the first day of school. 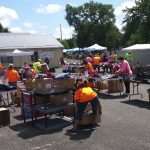 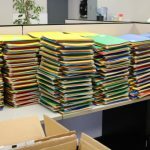 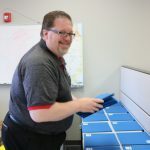 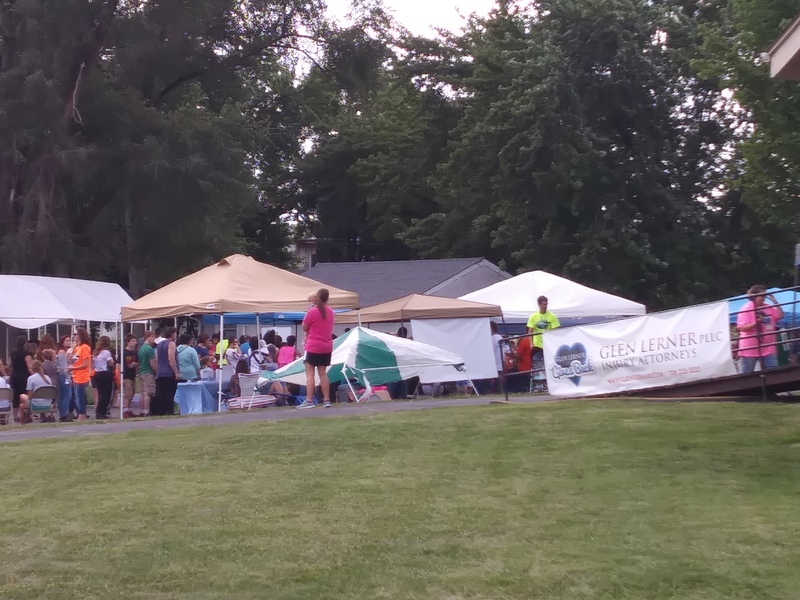 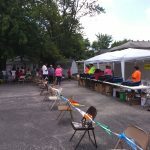 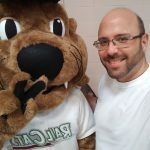 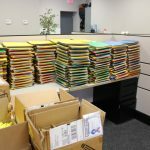 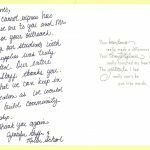 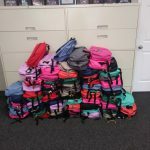 It was all made possible through a partnership between Crossroads Connects, the charitable arm of the Crossroads Regional Chamber of Commerce, and Glen Lerner Injury Attorneys with offices in Merrillville. 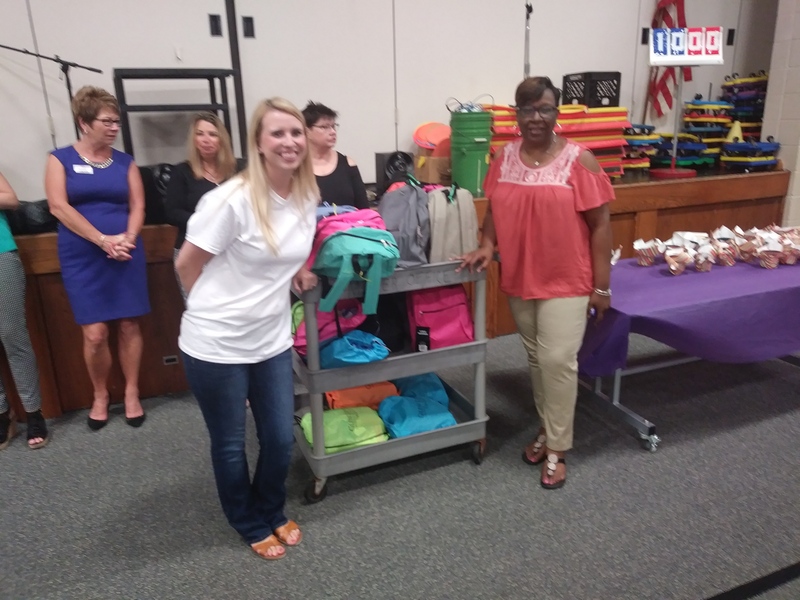 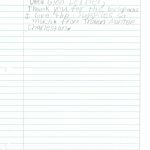 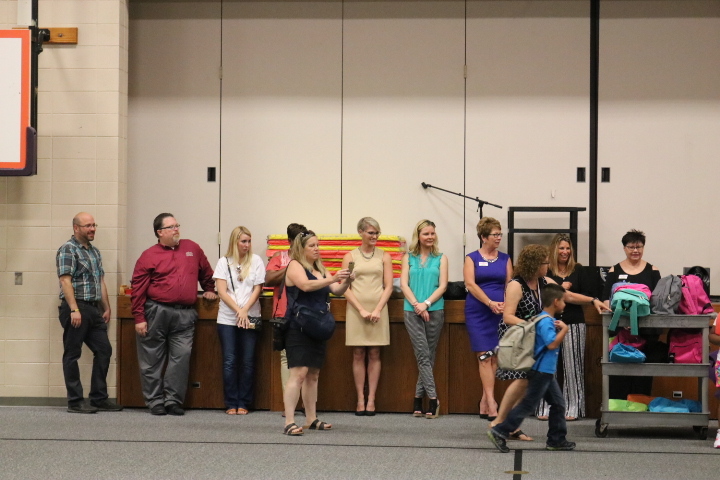 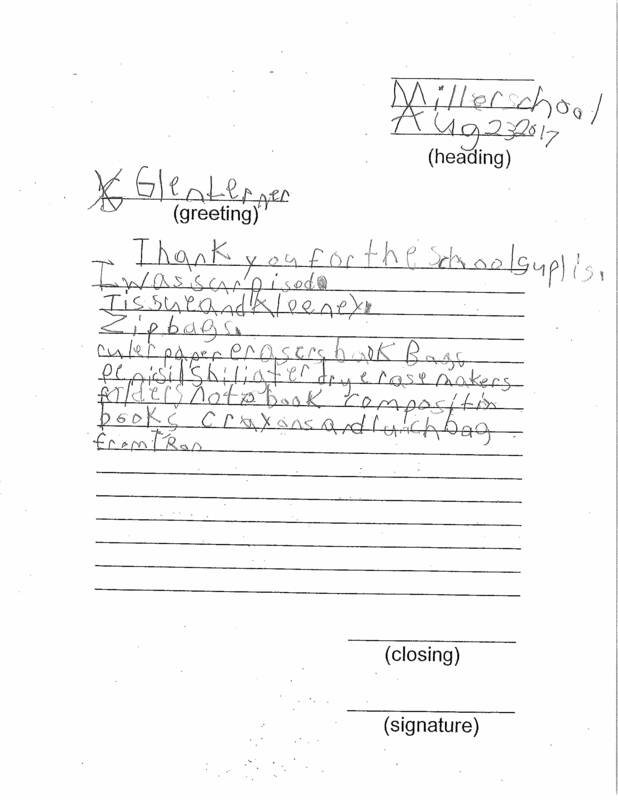 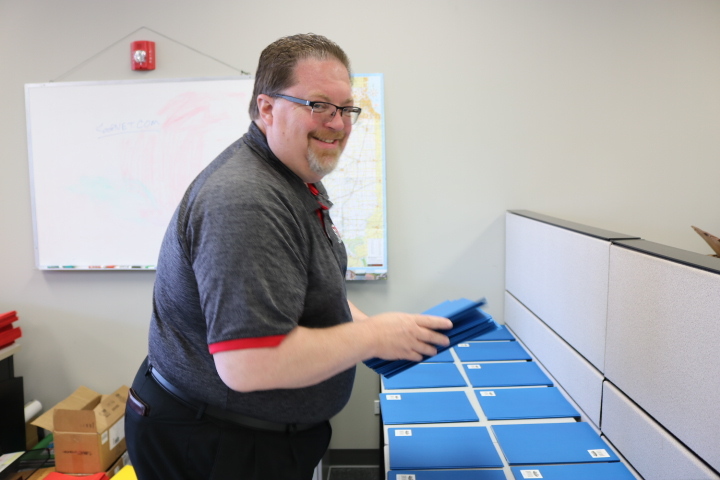 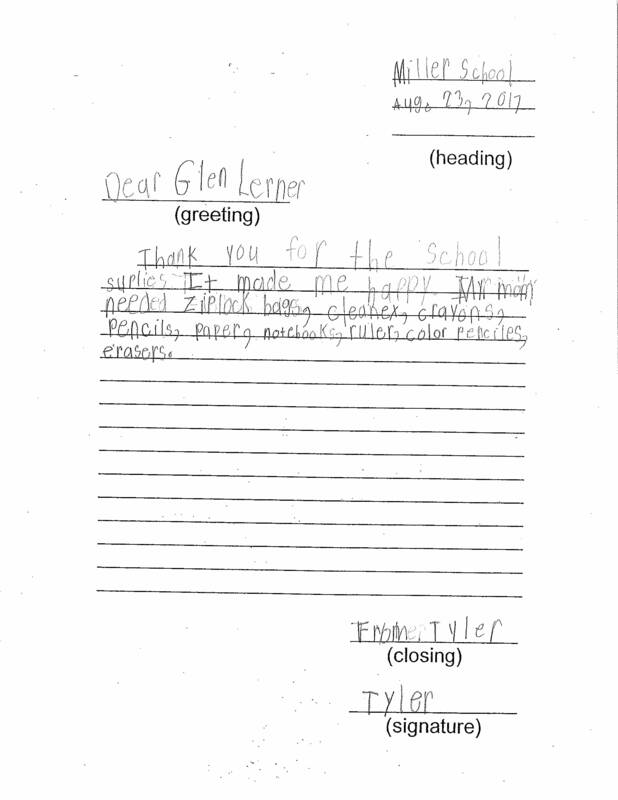 Miller staff provided the chamber with the list of supplies at the end of the last school year. 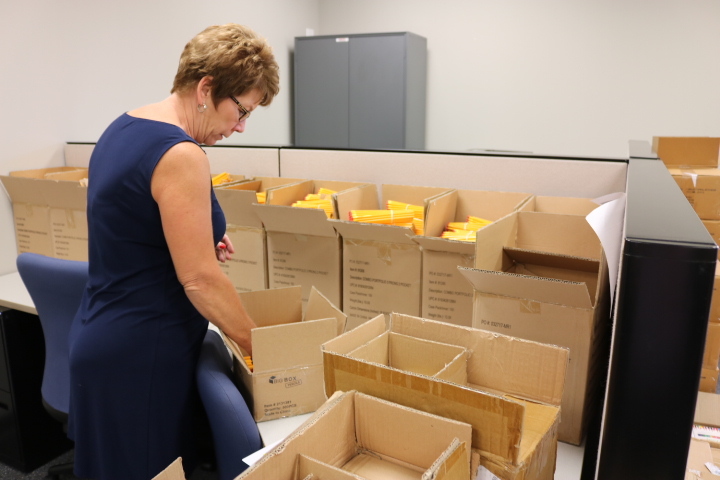 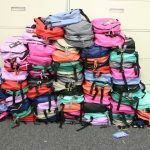 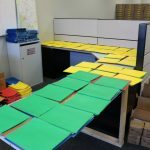 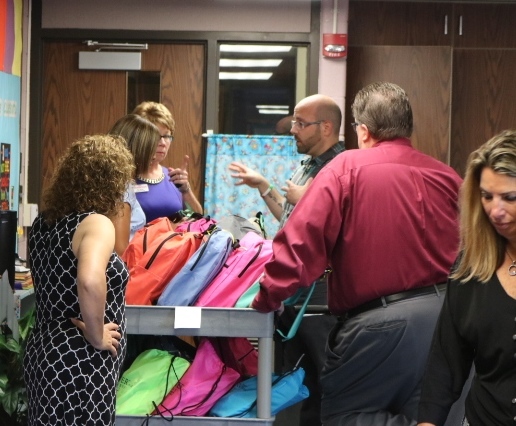 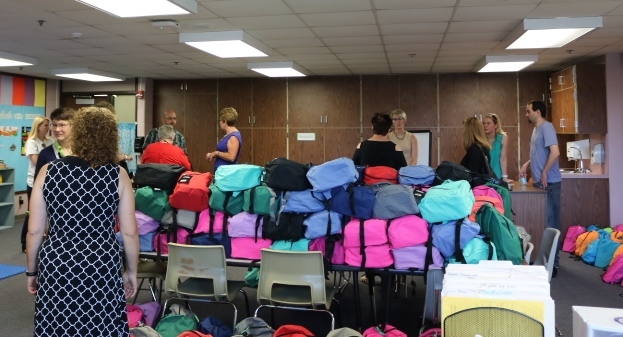 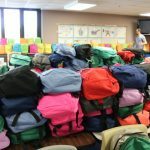 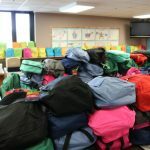 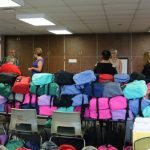 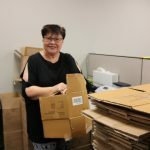 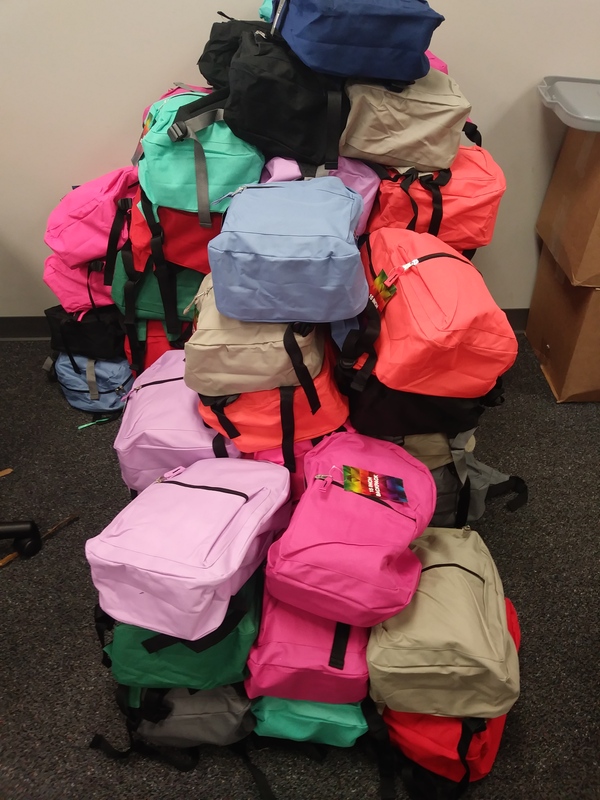 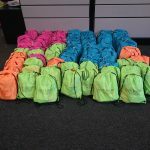 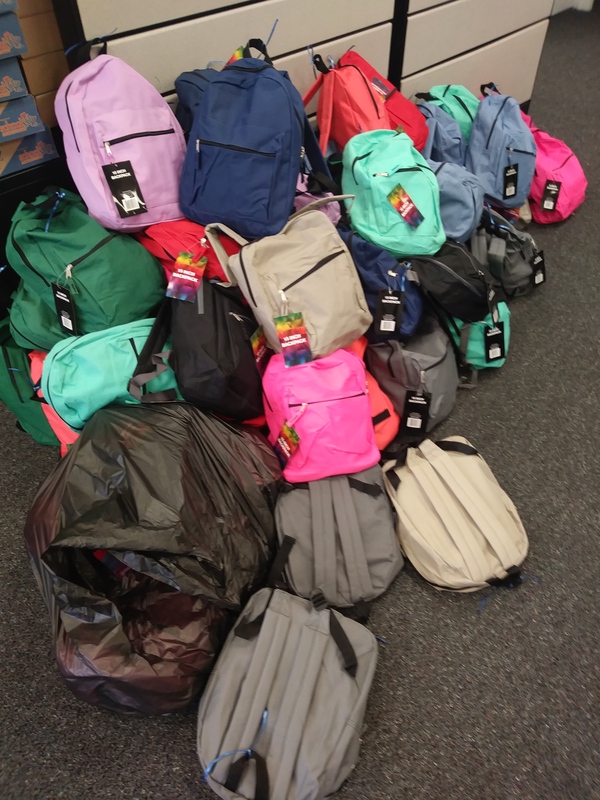 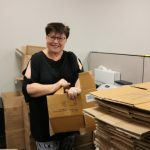 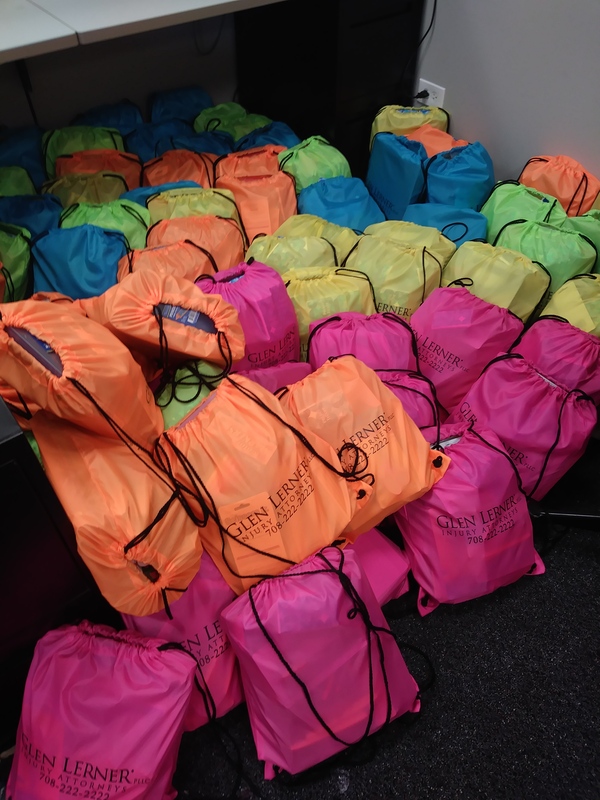 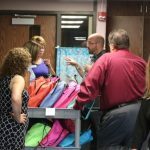 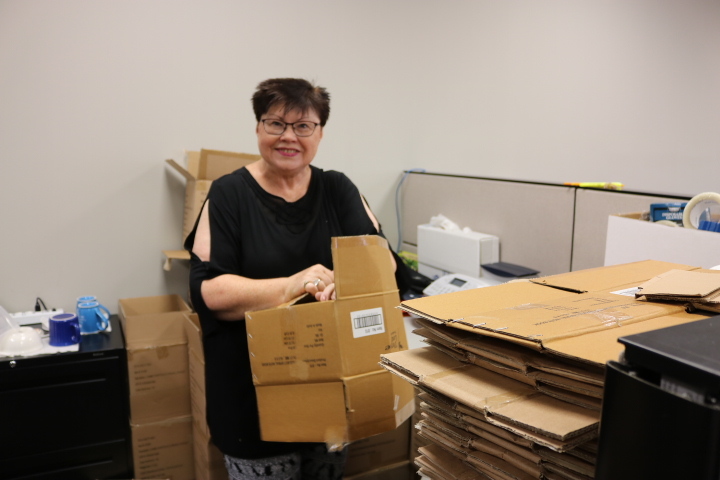 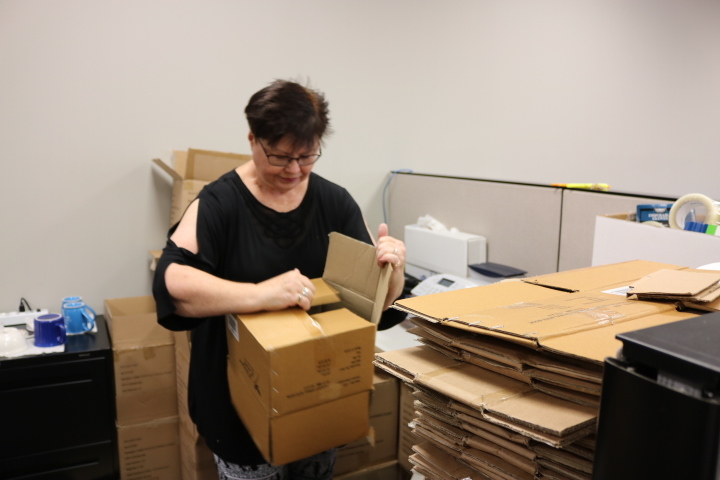 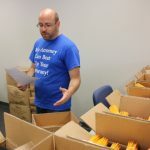 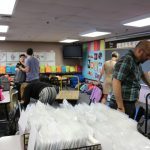 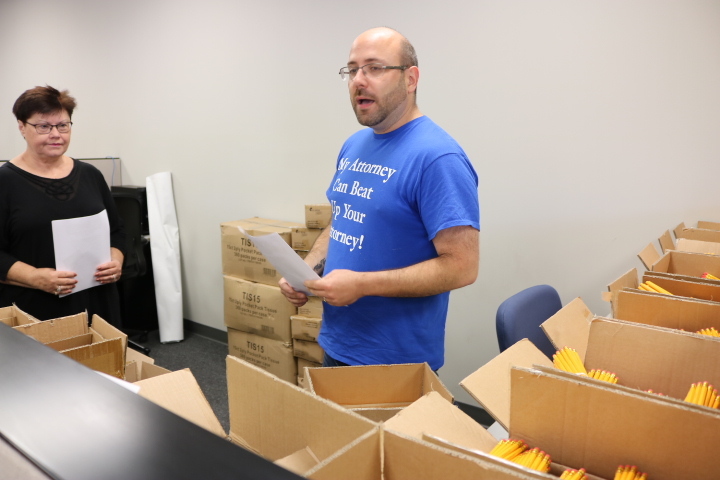 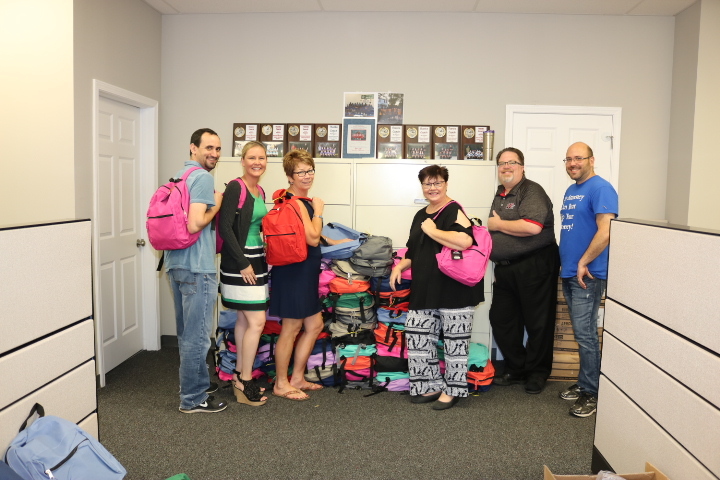 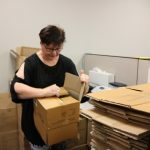 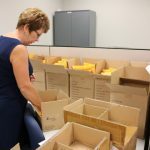 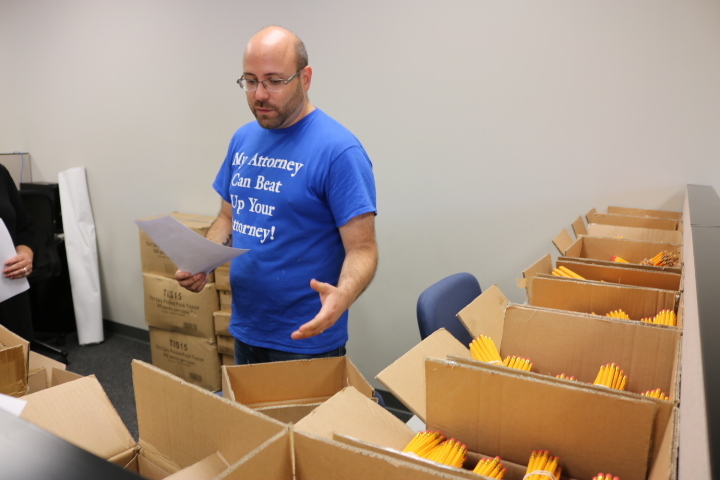 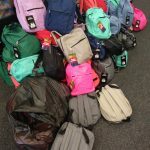 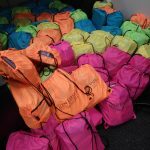 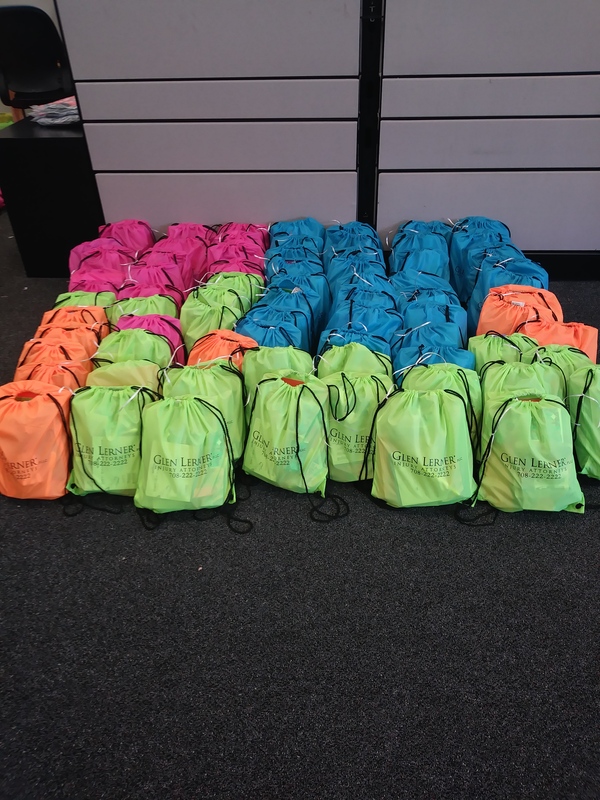 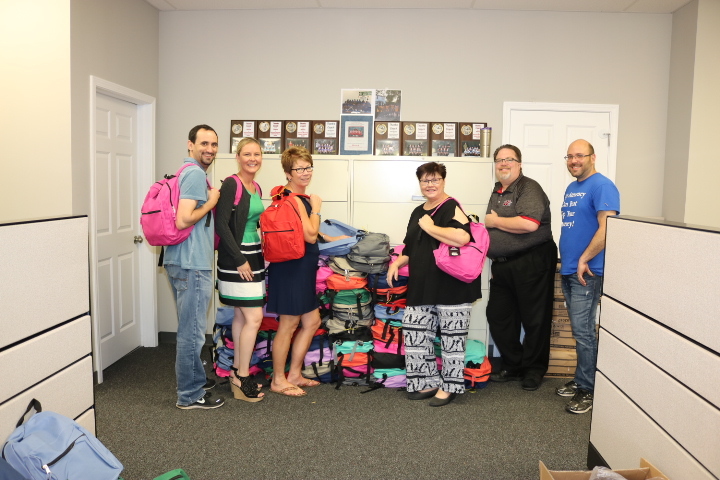 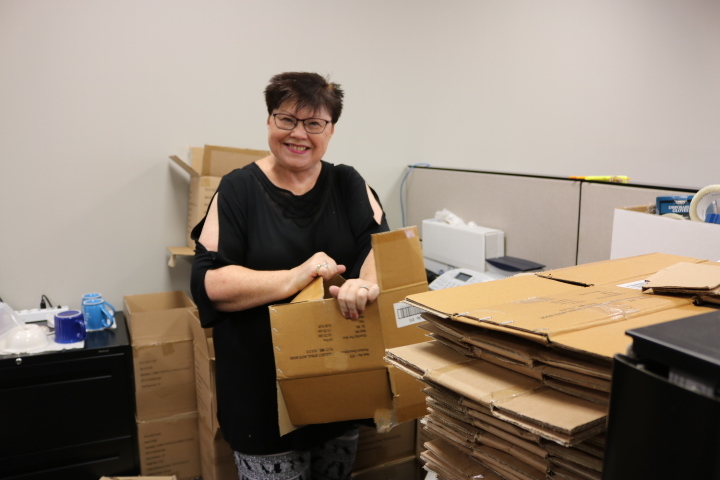 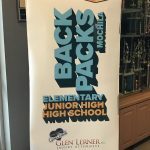 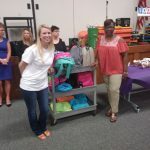 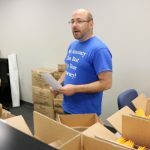 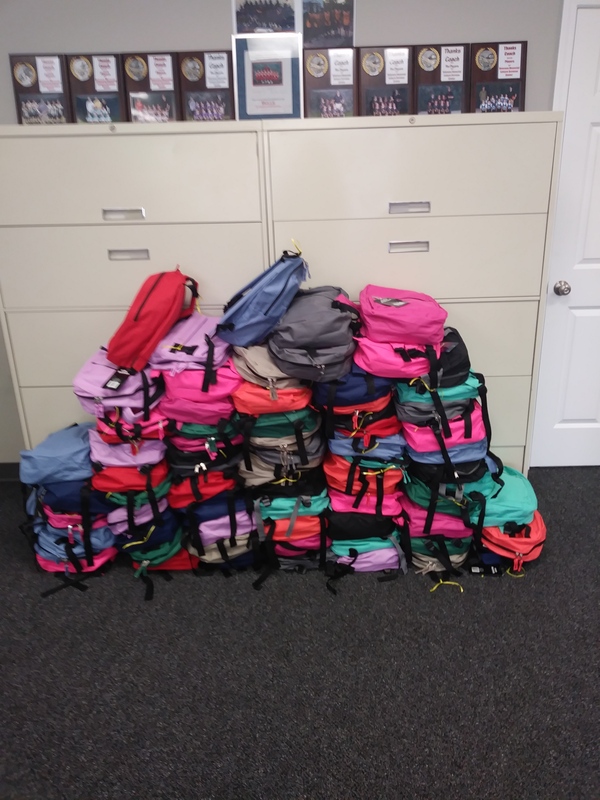 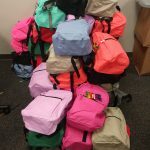 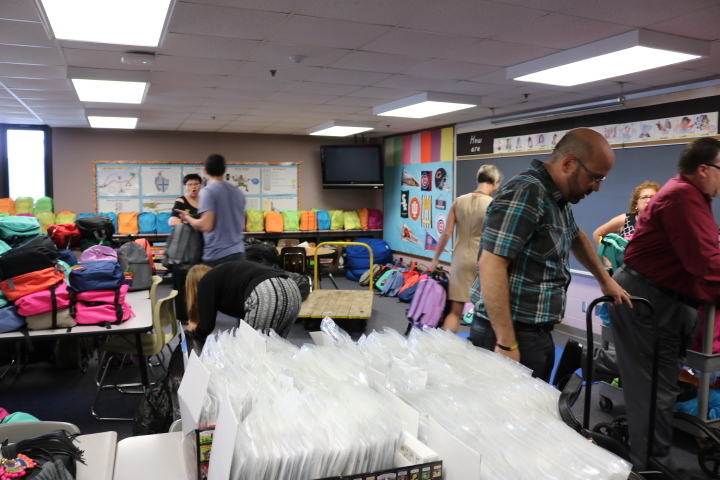 Chamber members as well as the Glen Lerner Attorneys ordered the supplies in bulk and donated hours assembling the 365 backpacks at Lerner’s Maywood office. 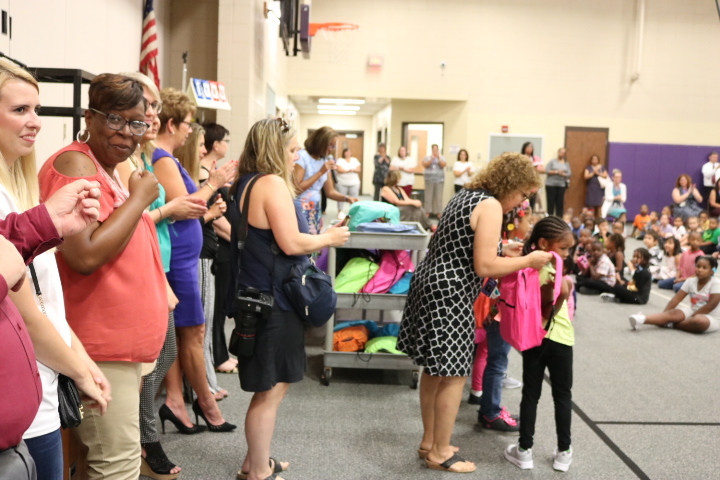 The Miller Staff and students are overwhelmed with joy over this unprecedented donation. 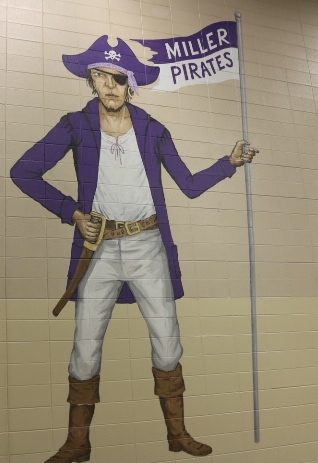 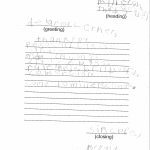 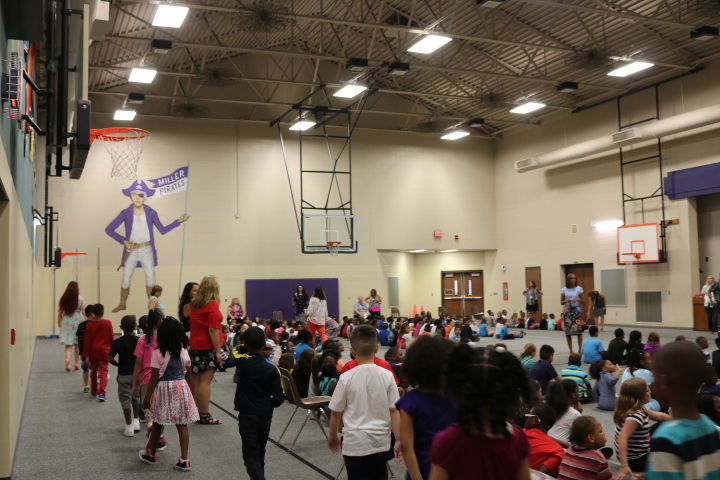 This will also help to make sure that the Miller students are successful learners everyday. 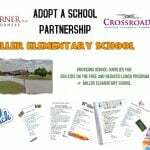 This partnership is amazing and it will continue to impact every student, everyday. 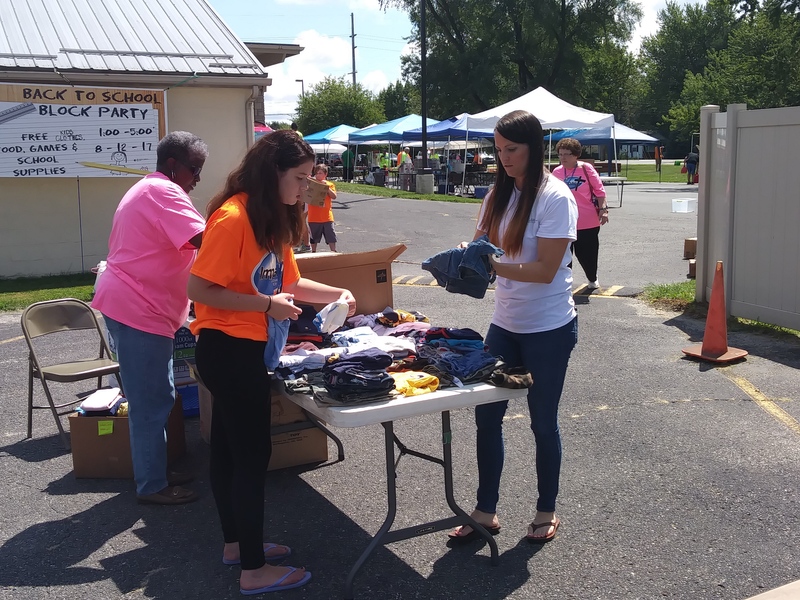 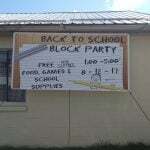 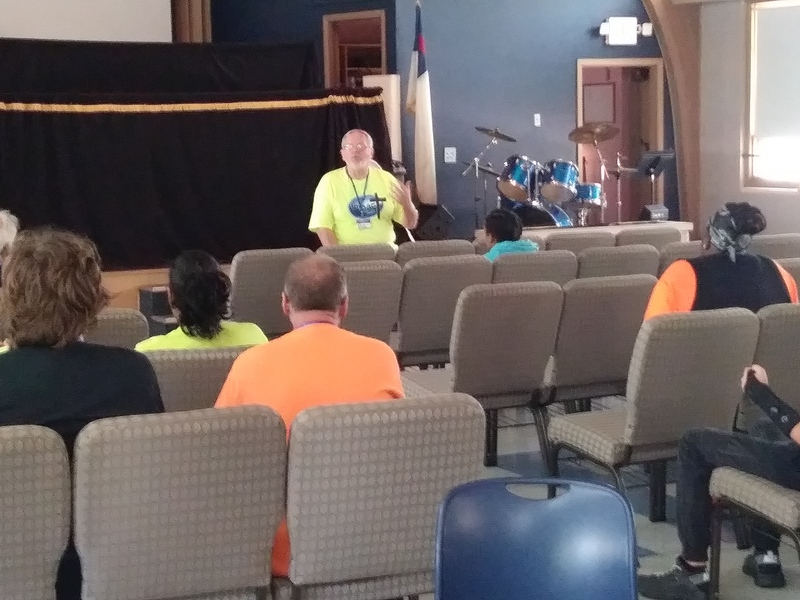 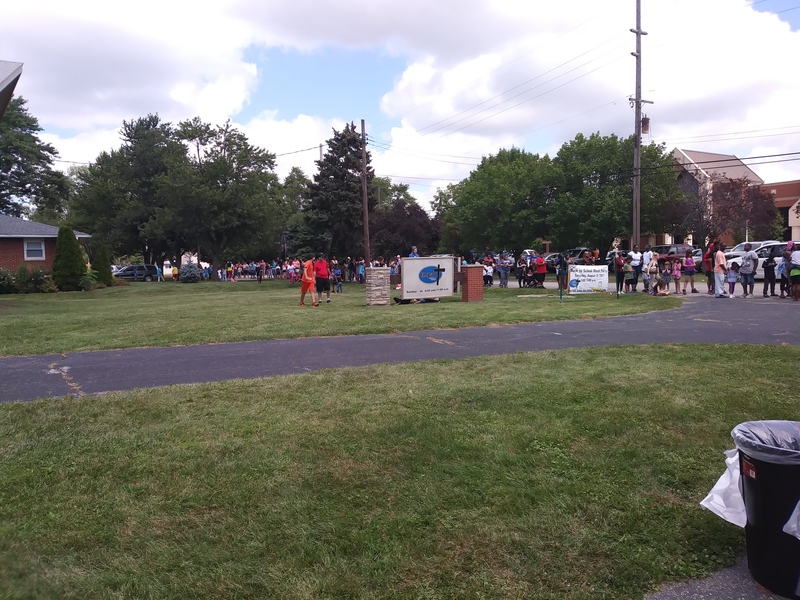 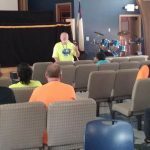 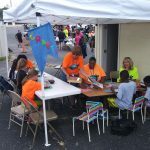 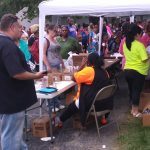 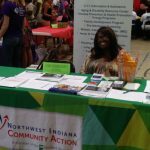 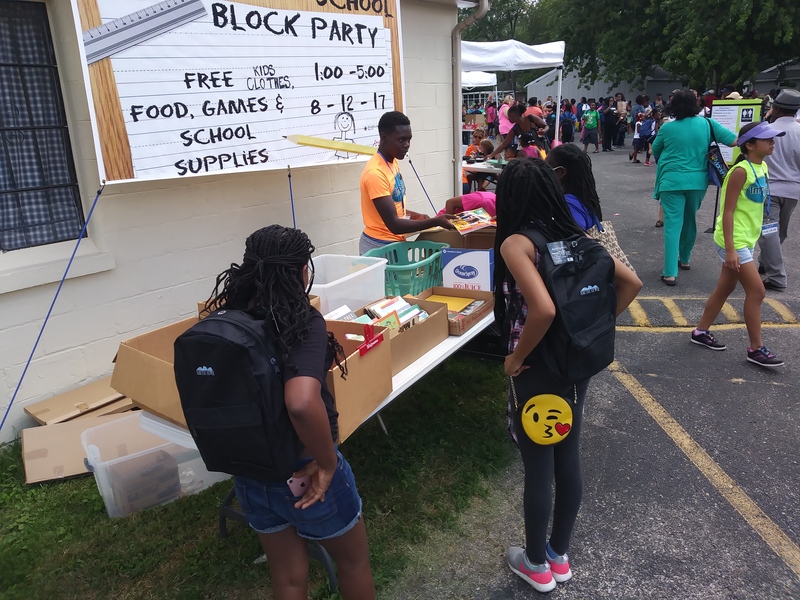 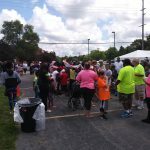 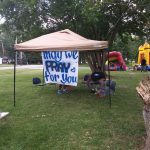 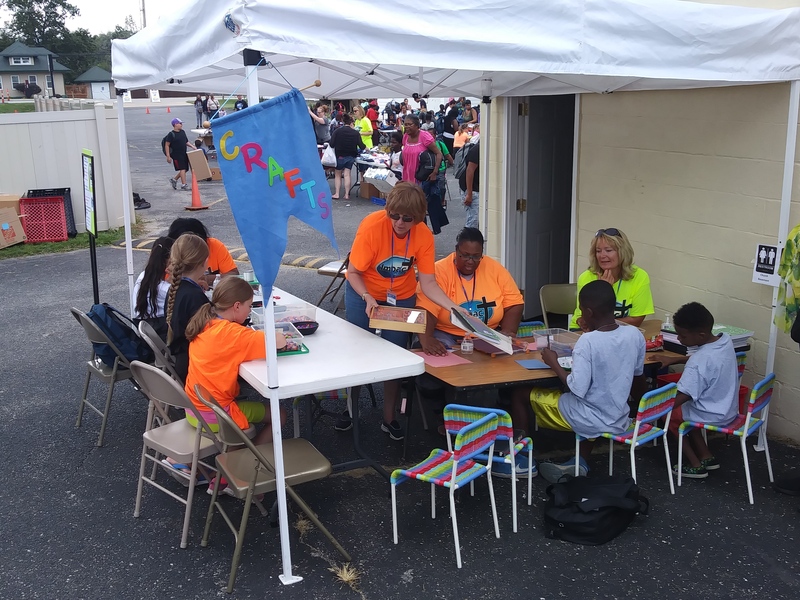 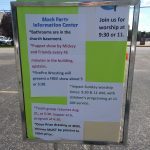 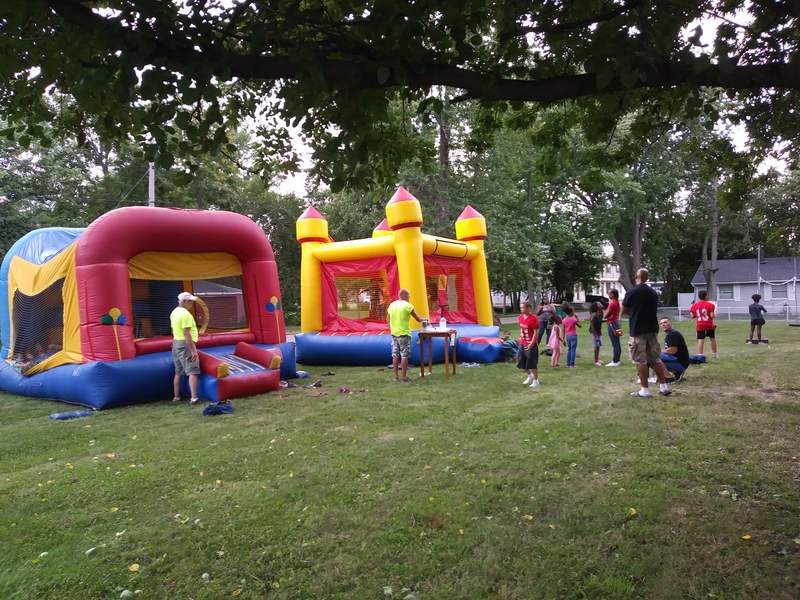 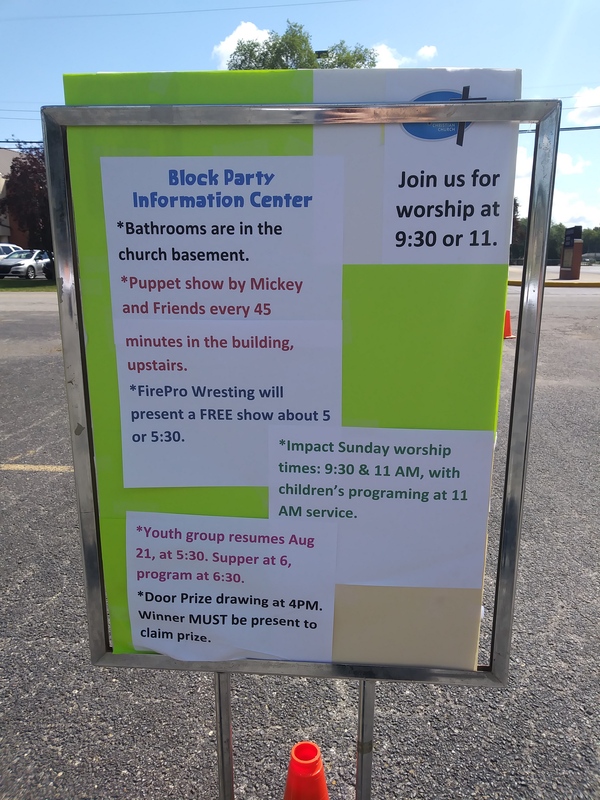 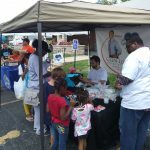 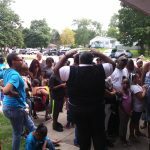 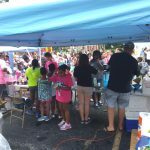 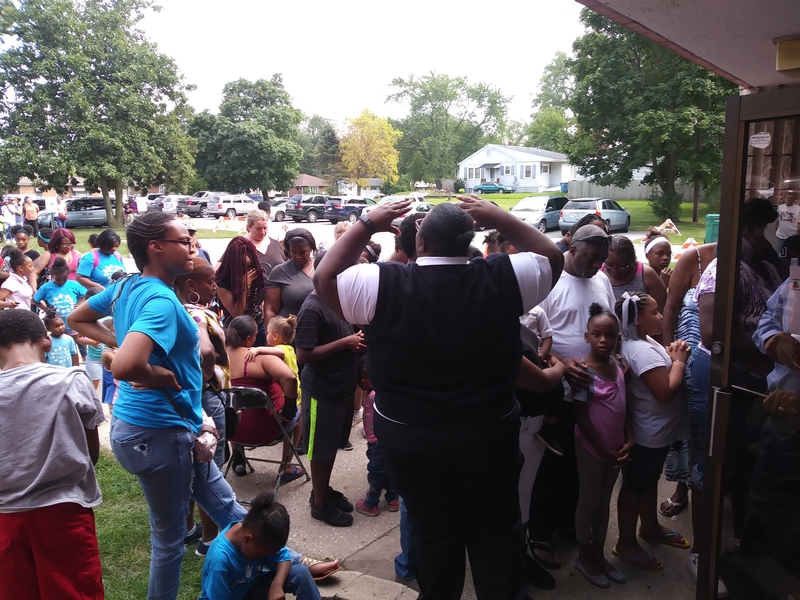 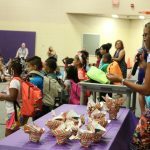 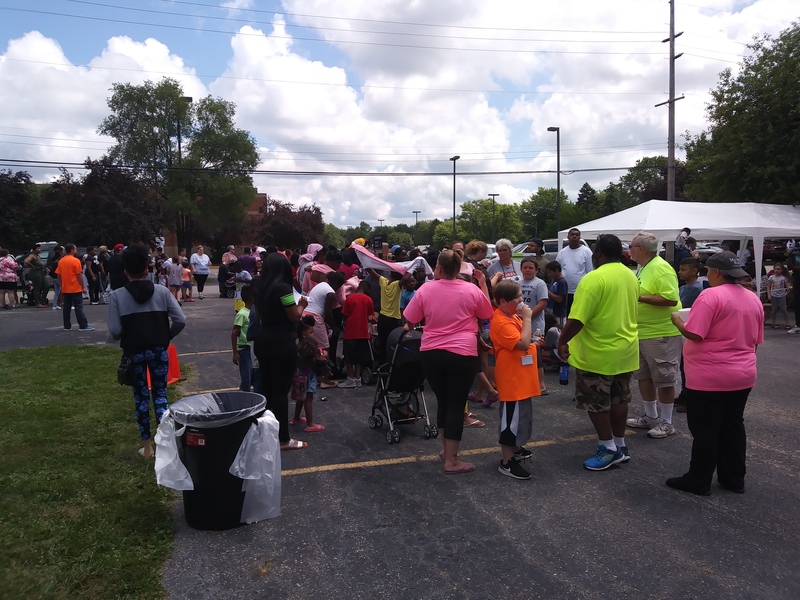 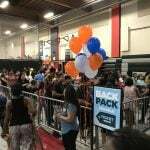 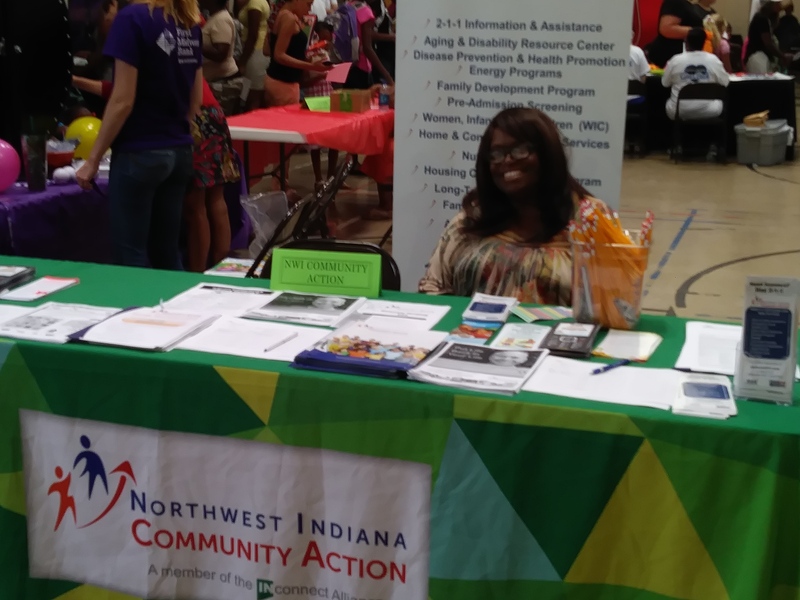 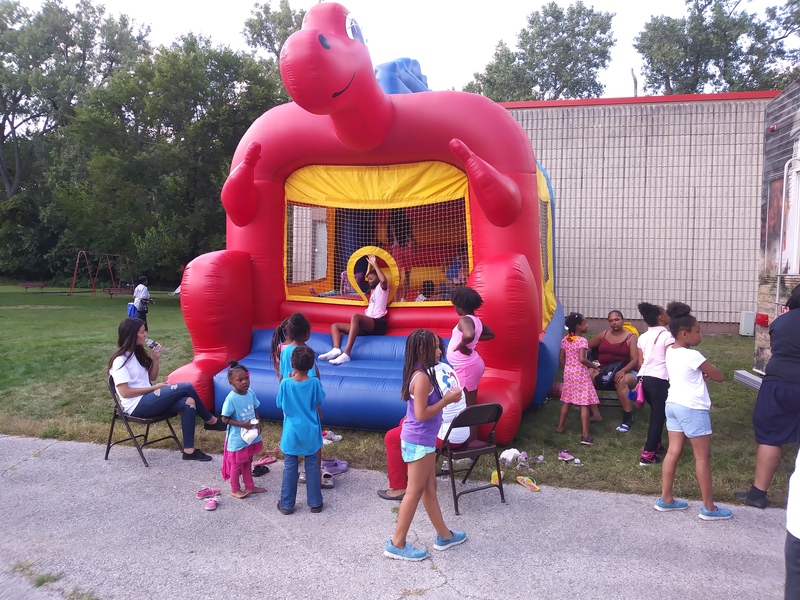 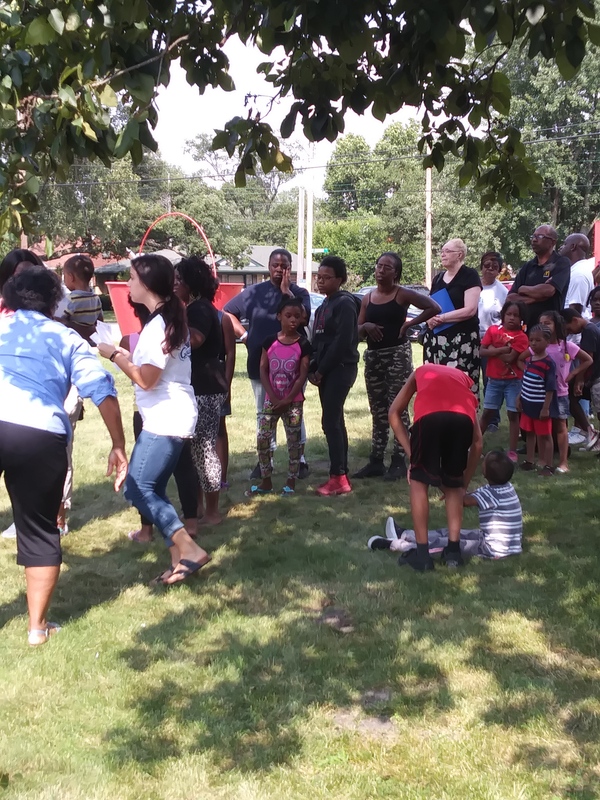 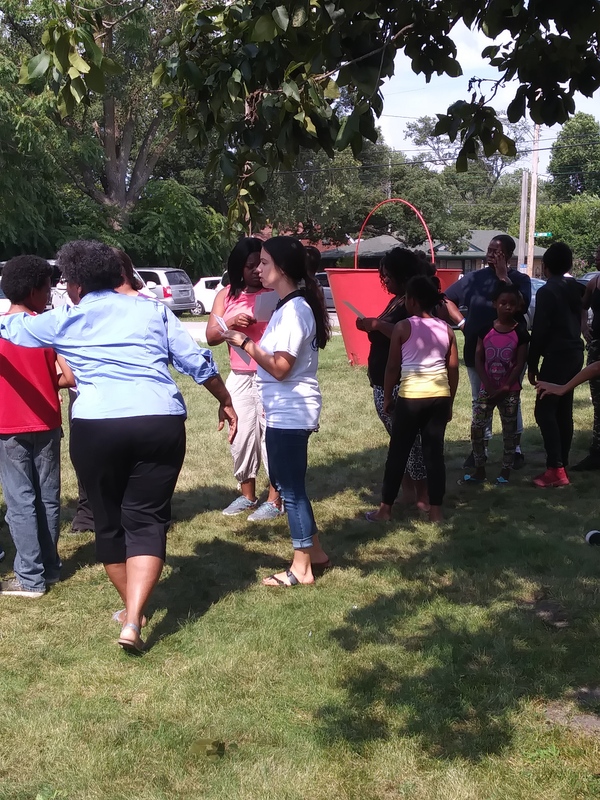 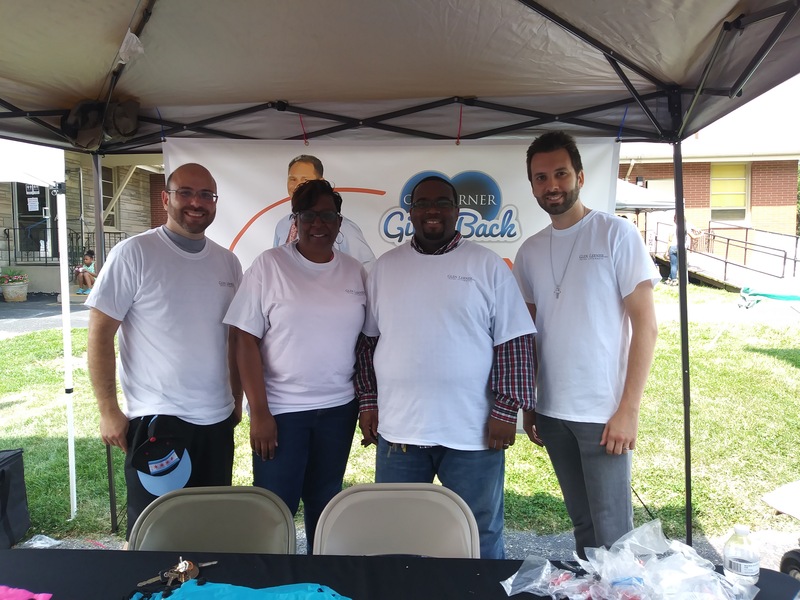 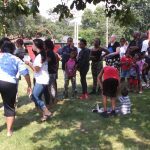 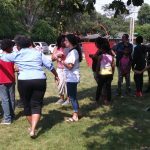 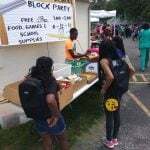 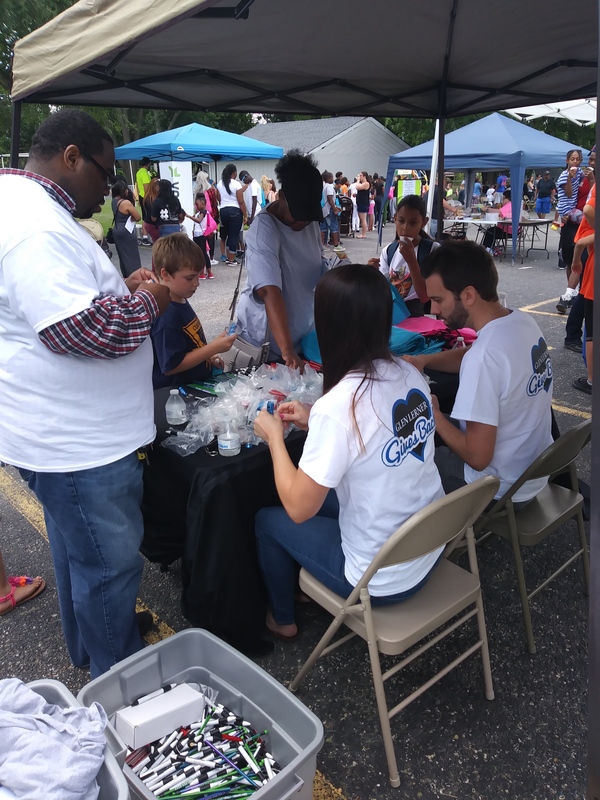 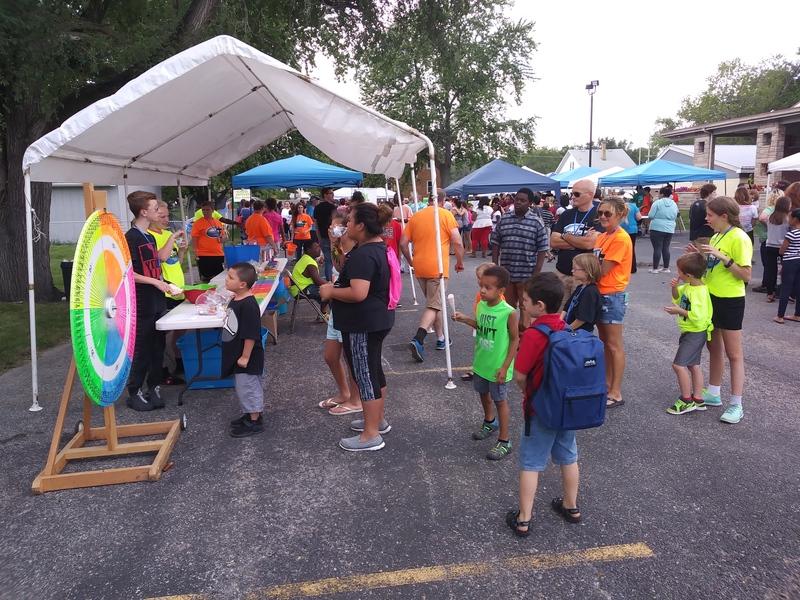 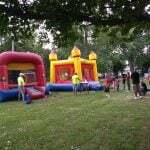 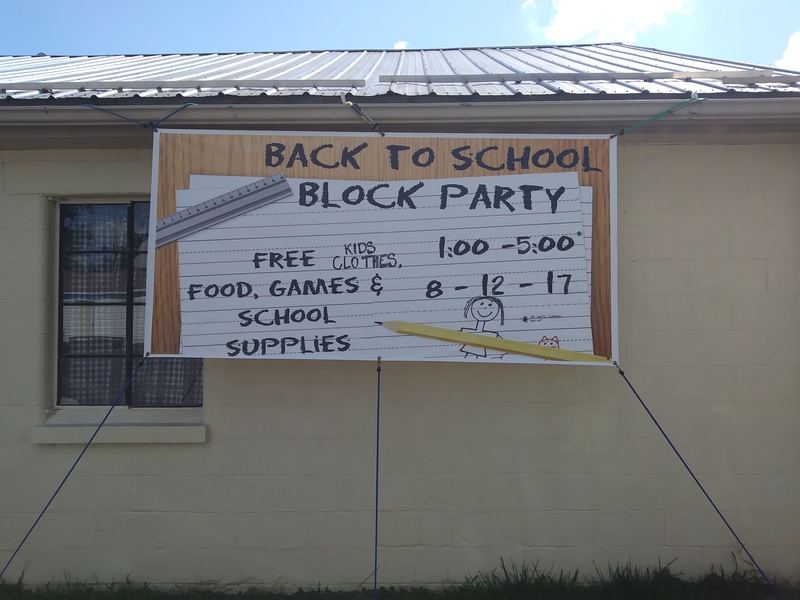 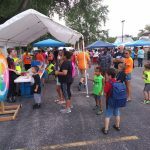 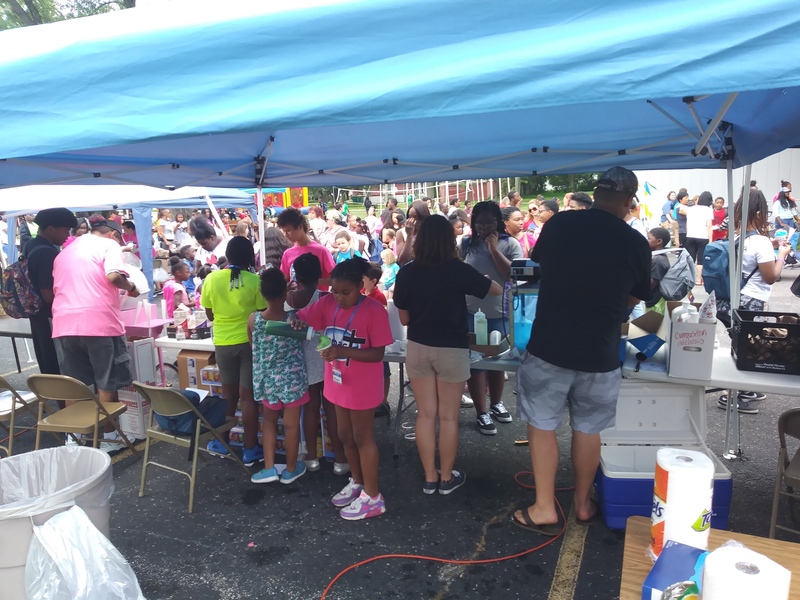 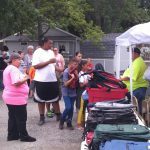 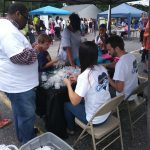 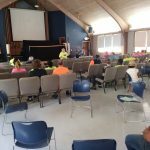 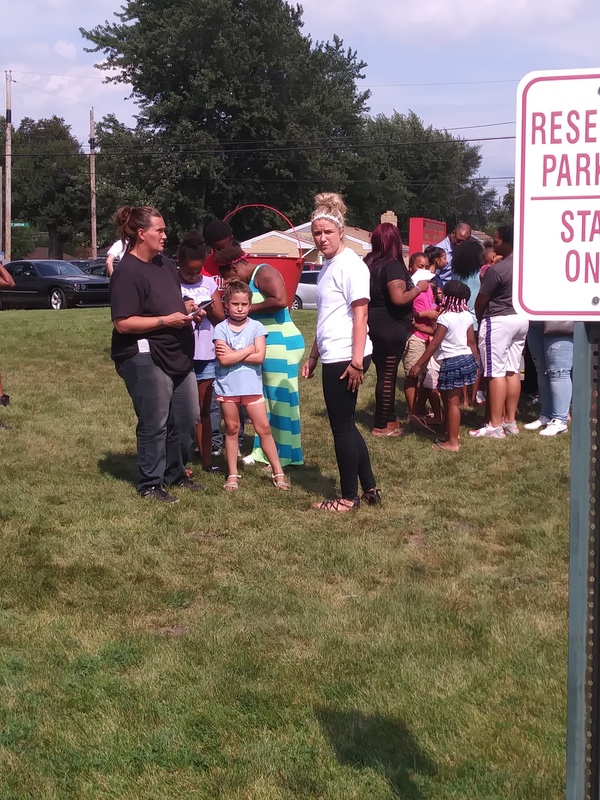 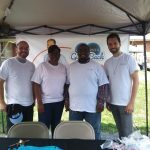 On August 12, 2017, Impact Church in Merrillville, Indiana hosted its 2017 Back to School Block Party. 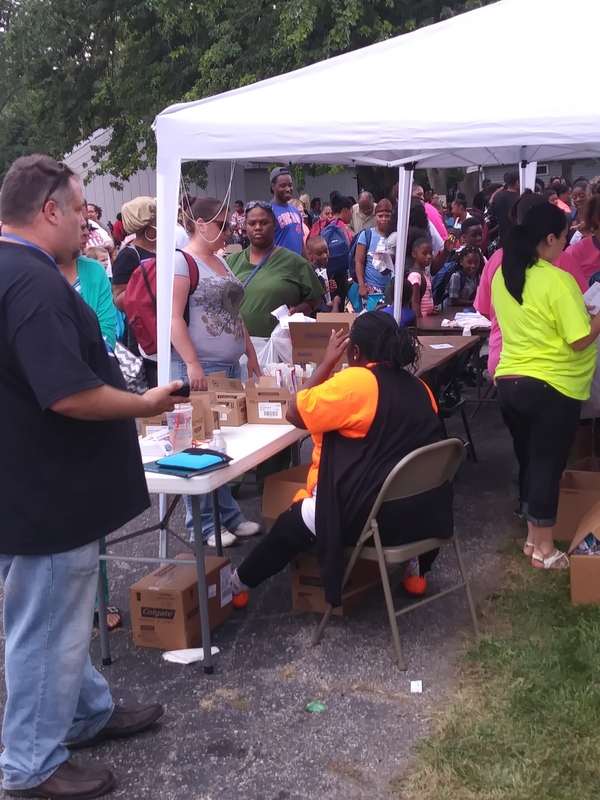 The event, which took a year to plan, drew over 1,600 individuals and served 600 students with basic school supplies. 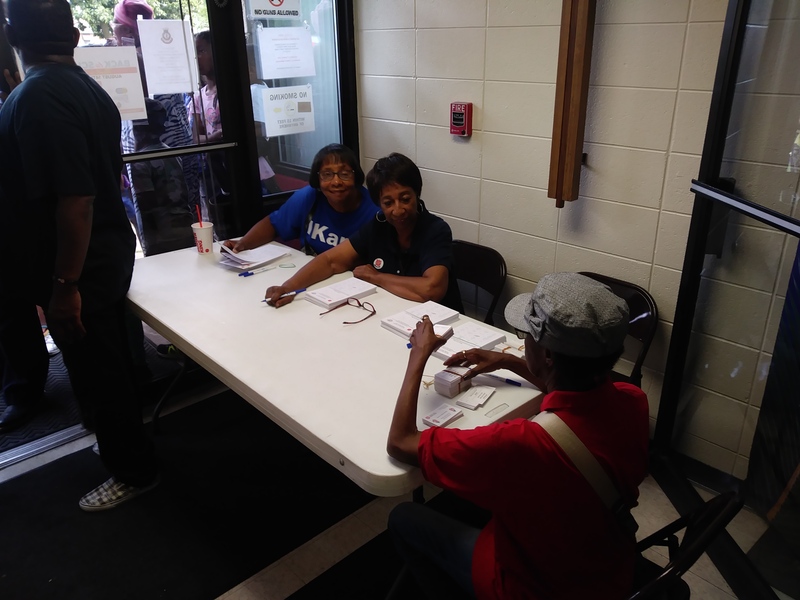 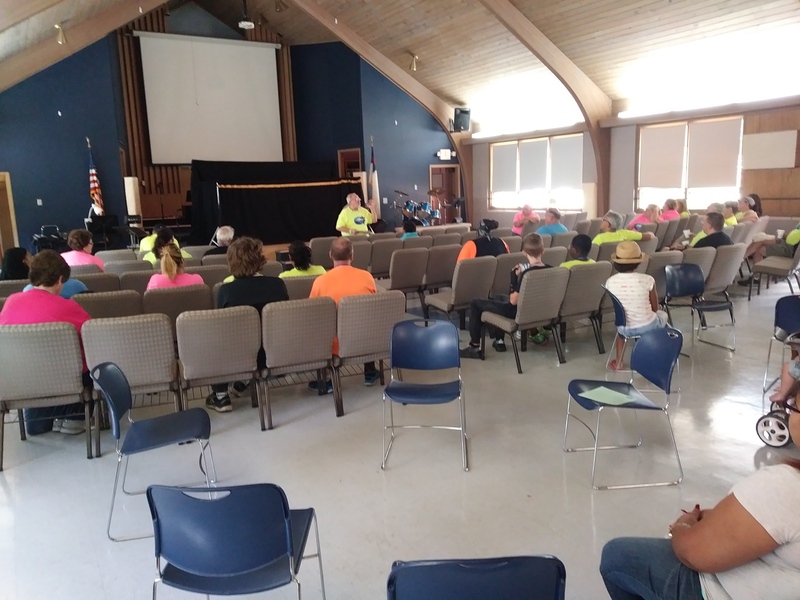 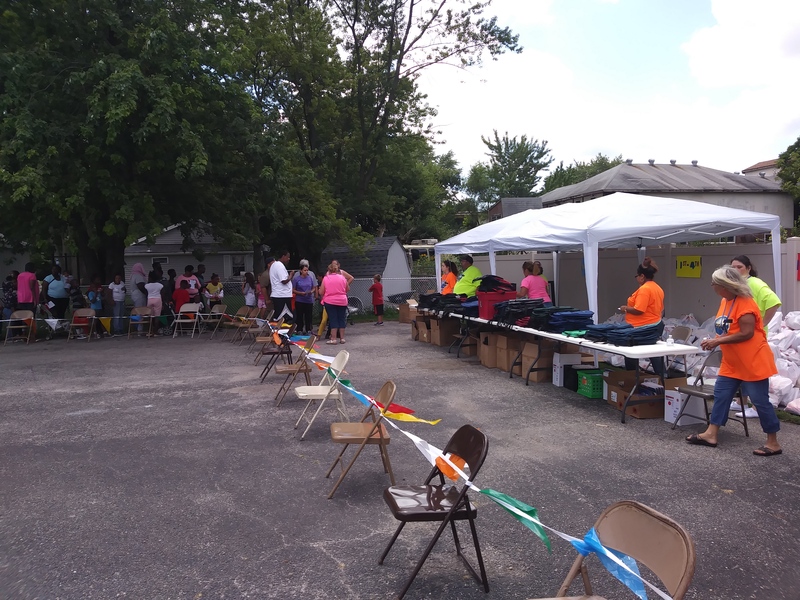 150 volunteers, including some of our very own Glen Lerner staff, assisted the church with set up, school supply and clothing distribution, haircuts, serving meals and supervised kid’s activities. 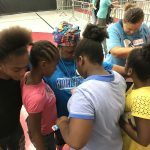 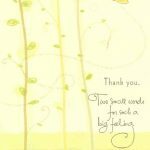 This event truly demonstrated love in action! 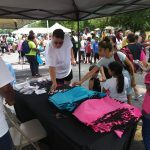 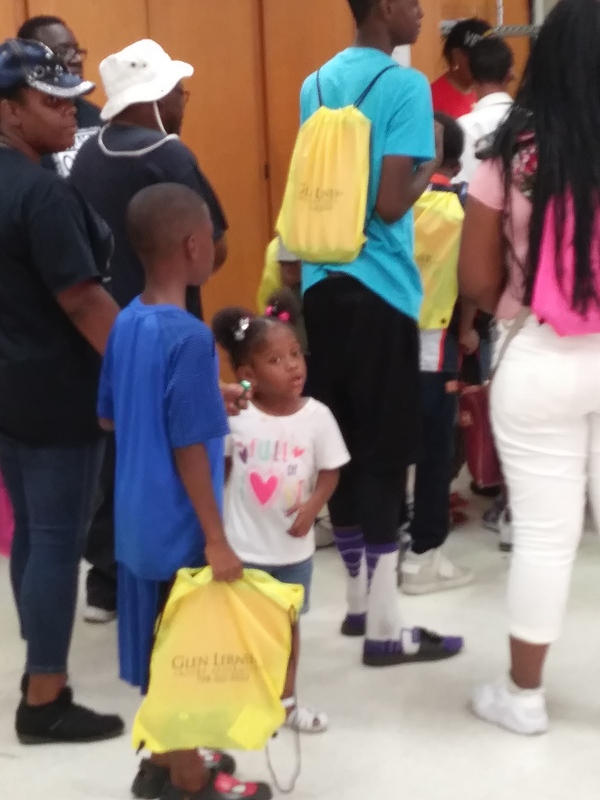 Families had a great time; the kid’s walked away with back packs full of school supplies and volunteers left with big smiles on their faces proud of the contribution they made. 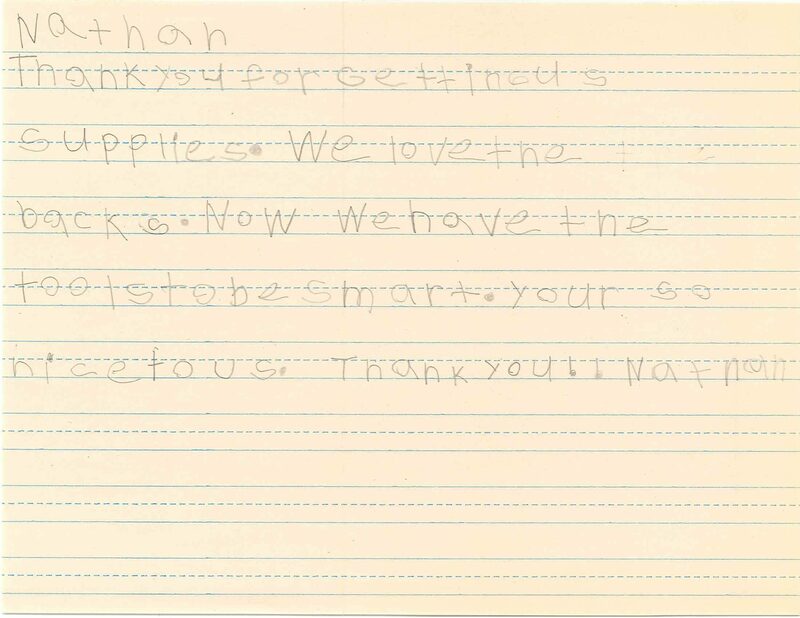 We could not have asked for a better day! 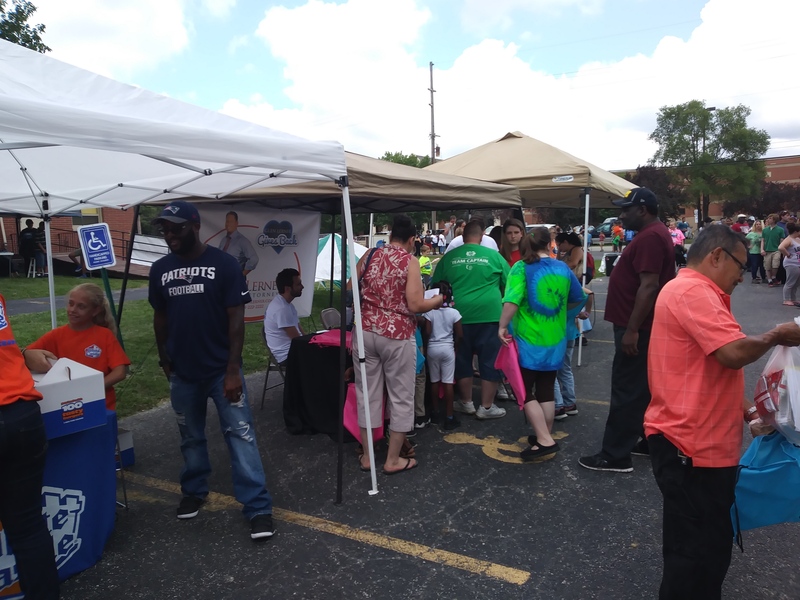 Special thanks to Impact Church for your compassionate ministry in Merrillville and for the opportunity you gave us to sponsor such a wonderful event. 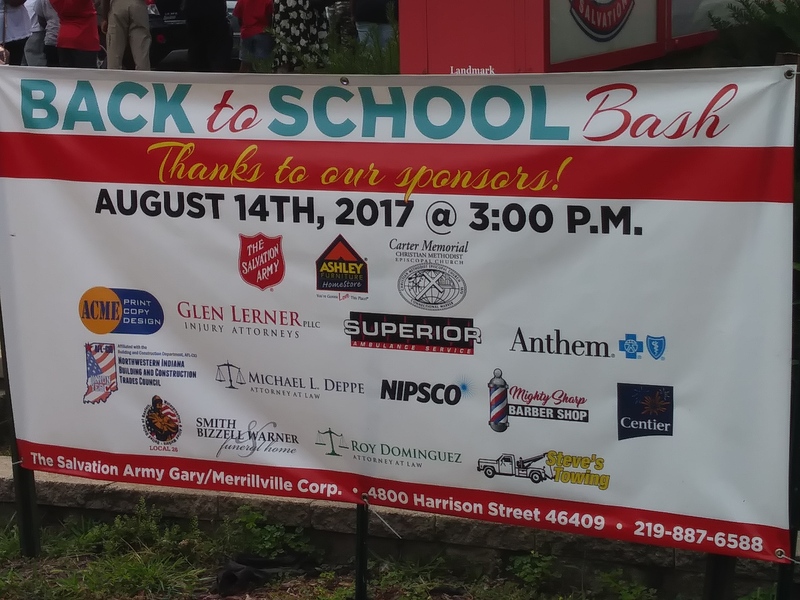 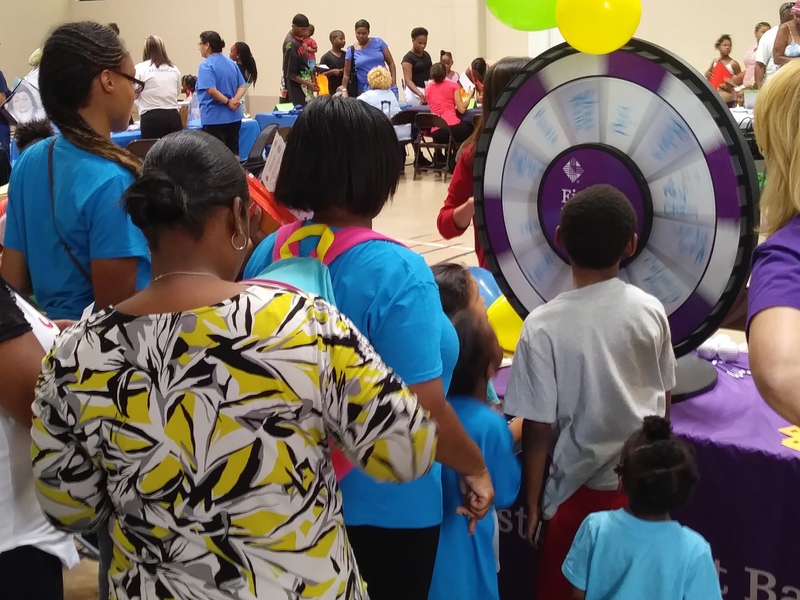 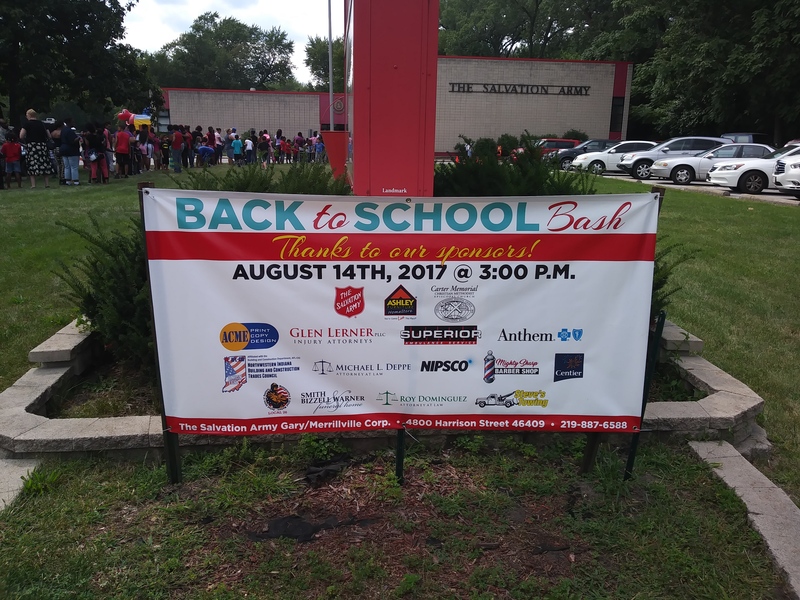 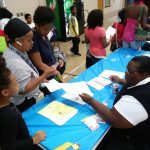 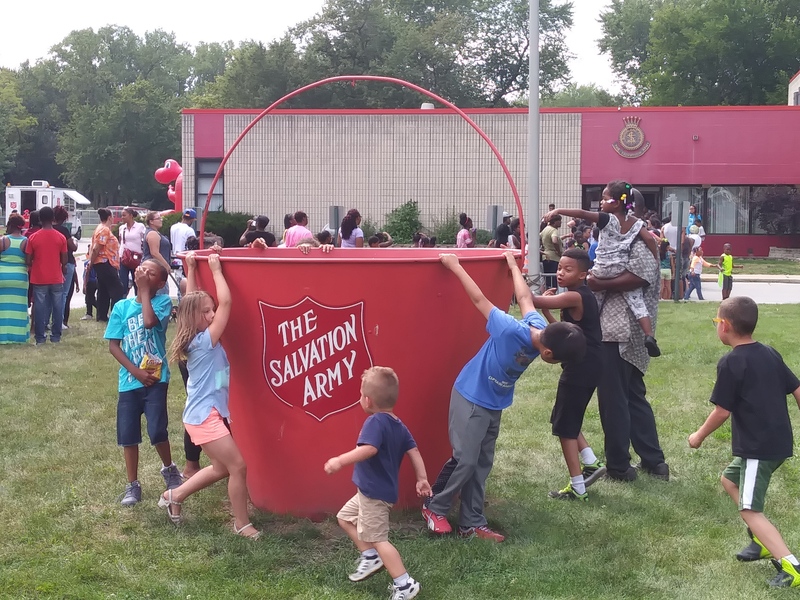 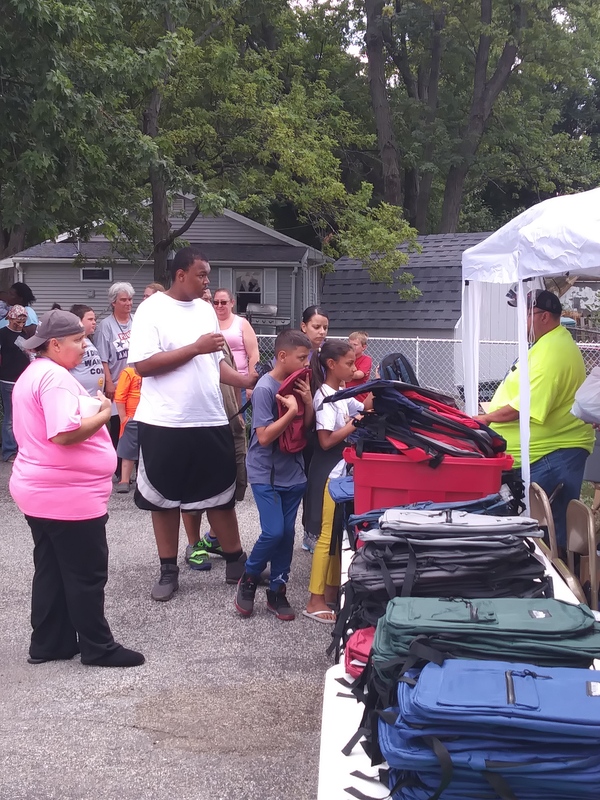 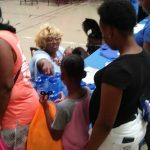 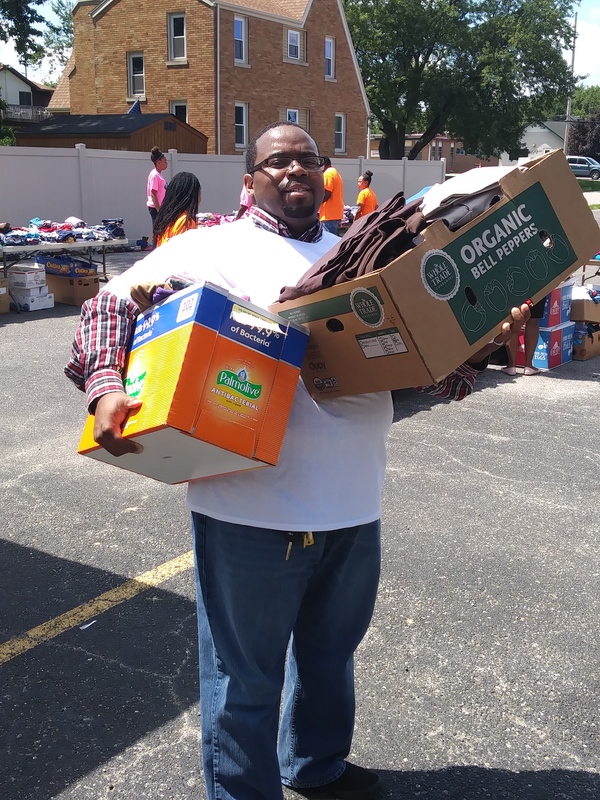 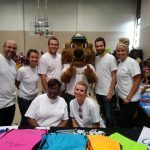 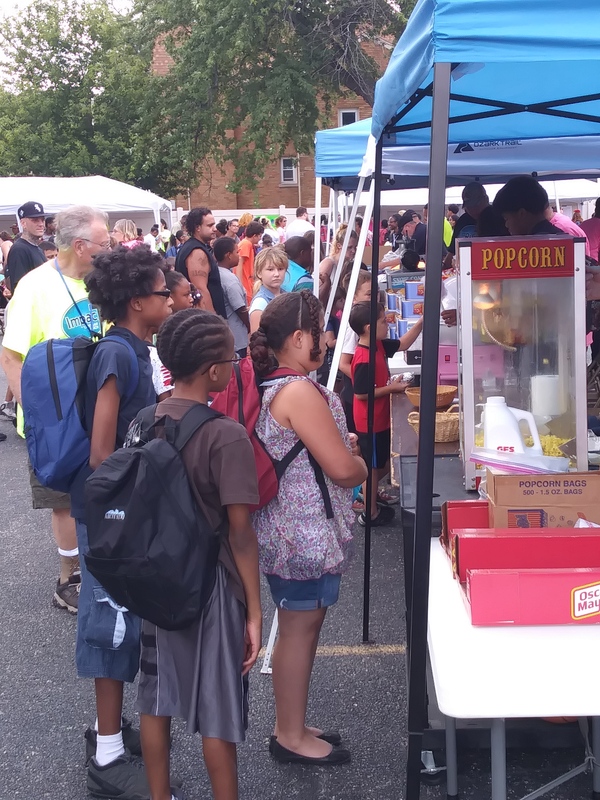 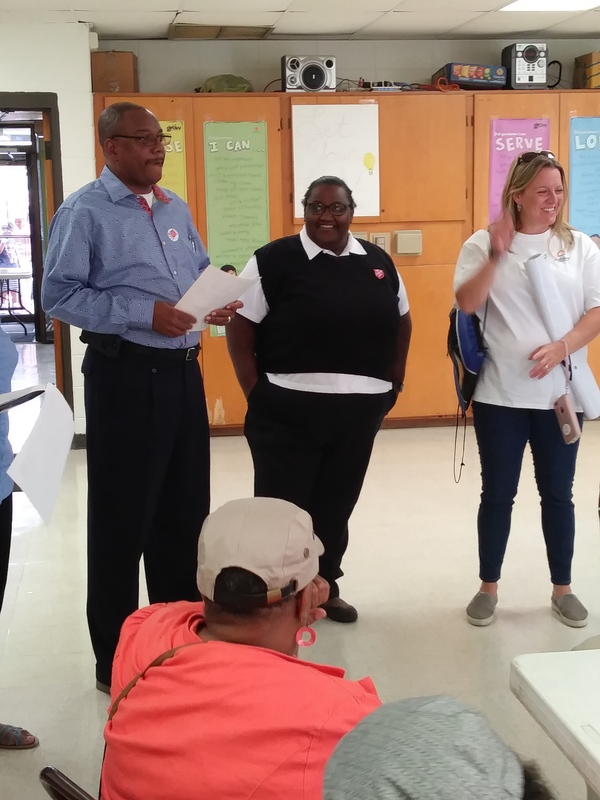 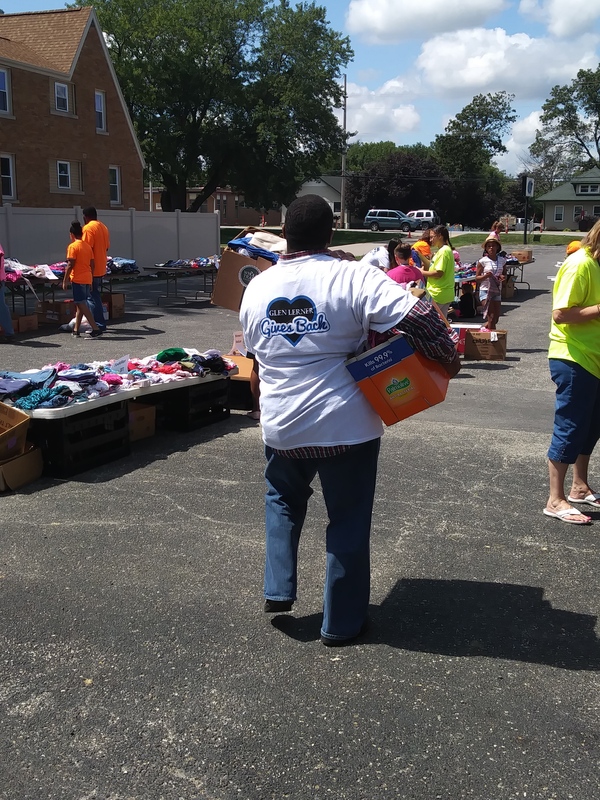 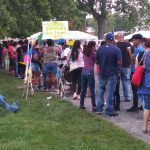 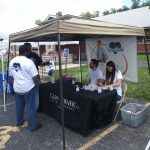 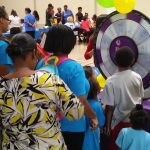 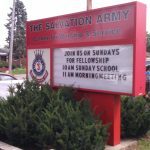 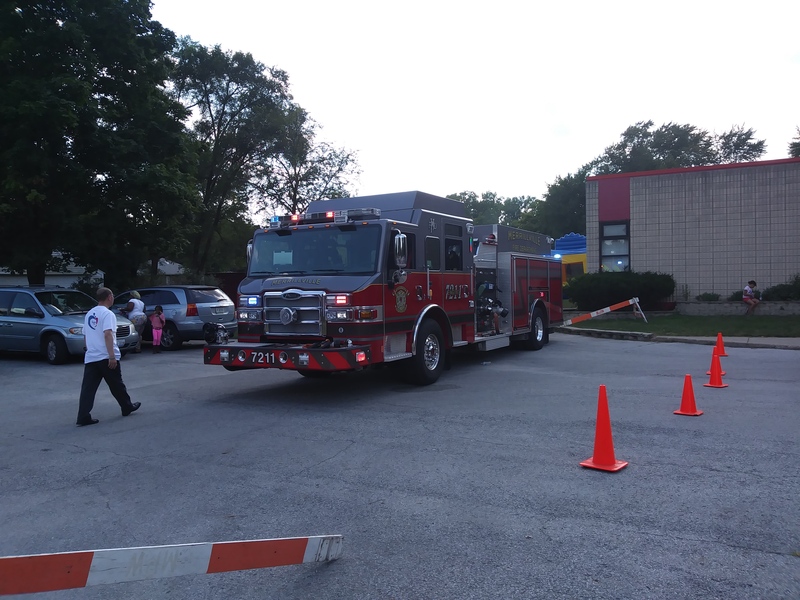 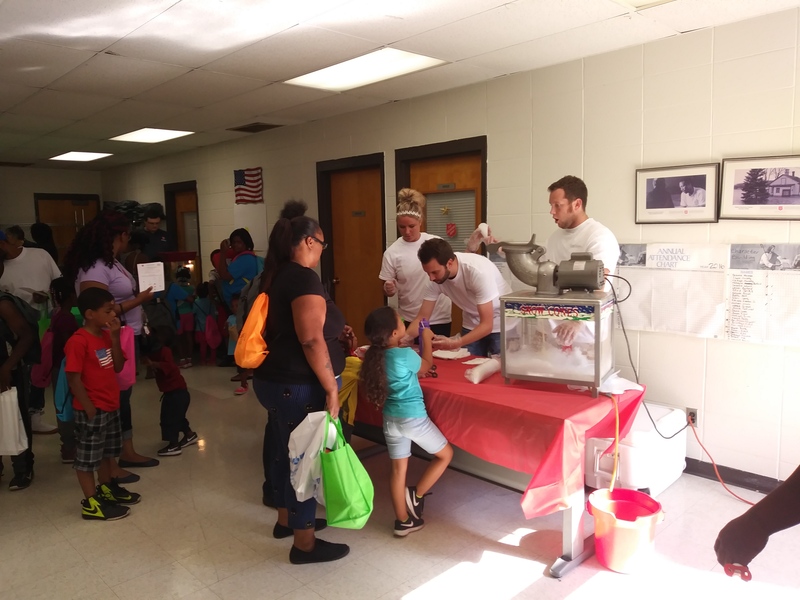 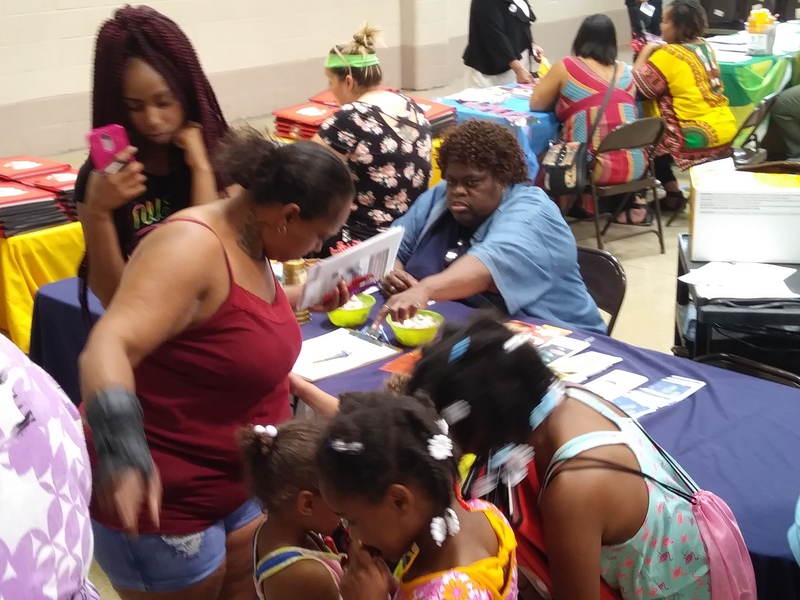 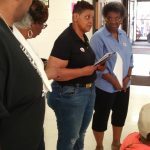 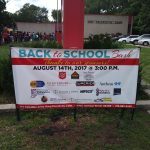 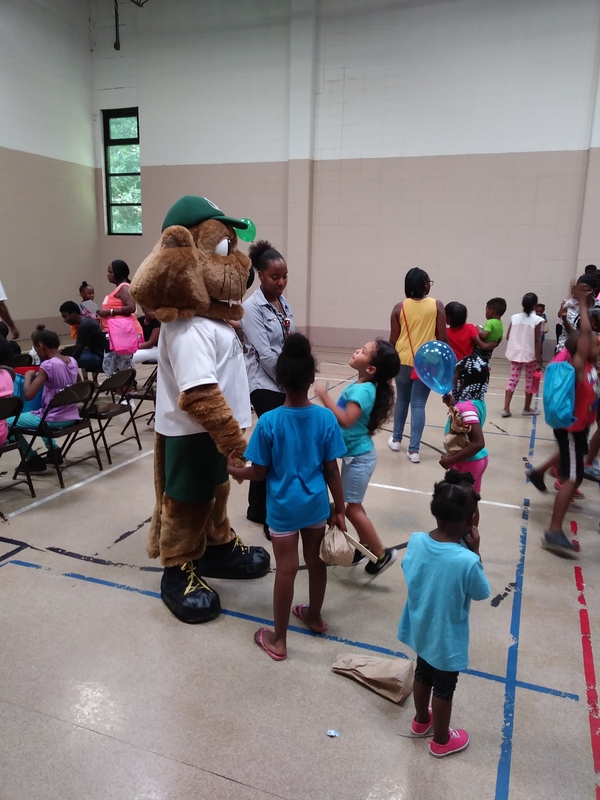 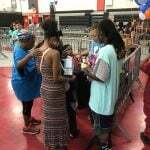 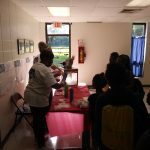 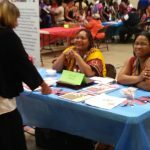 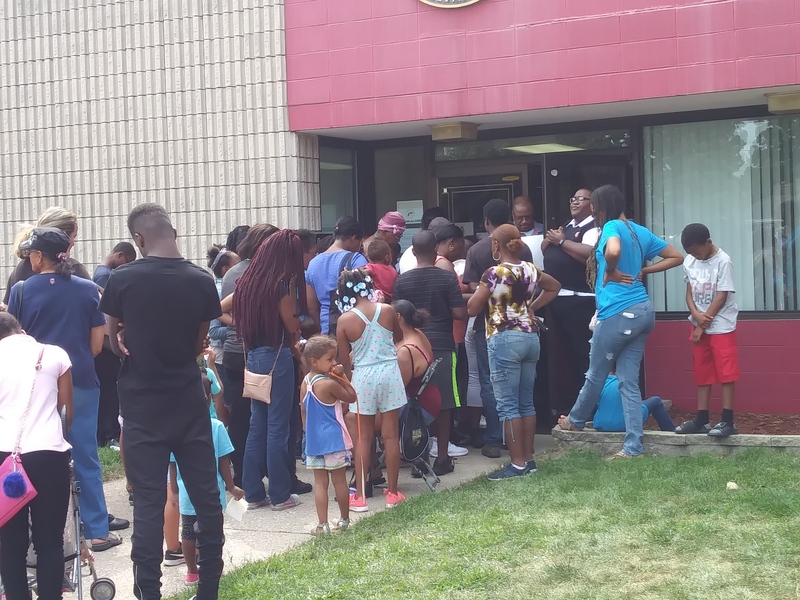 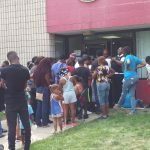 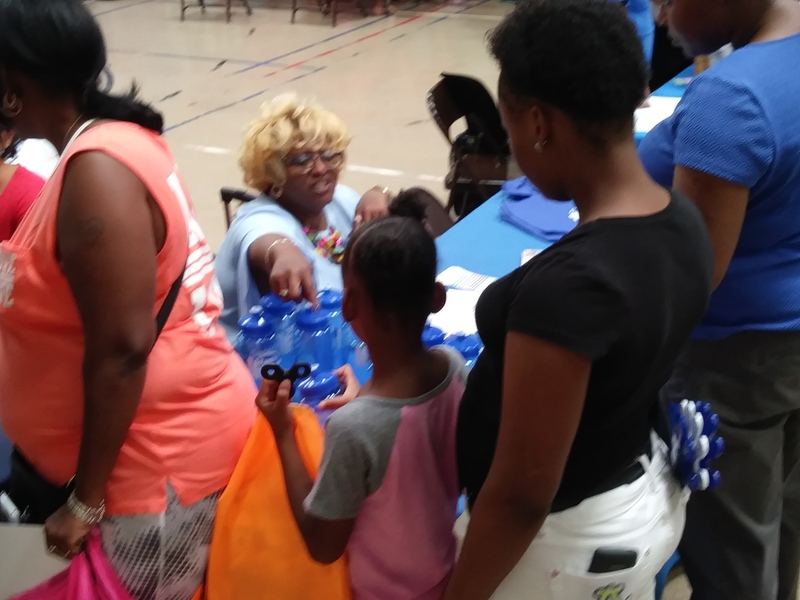 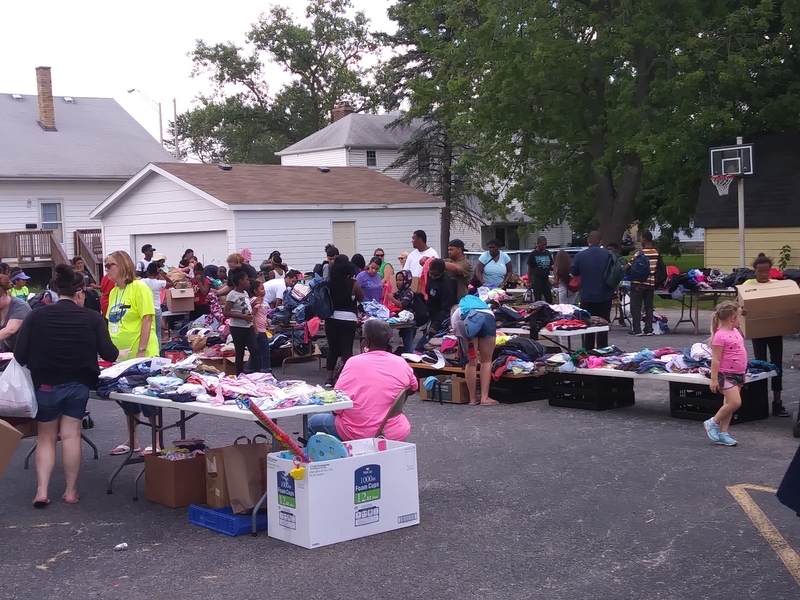 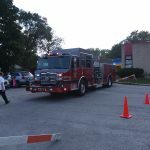 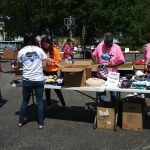 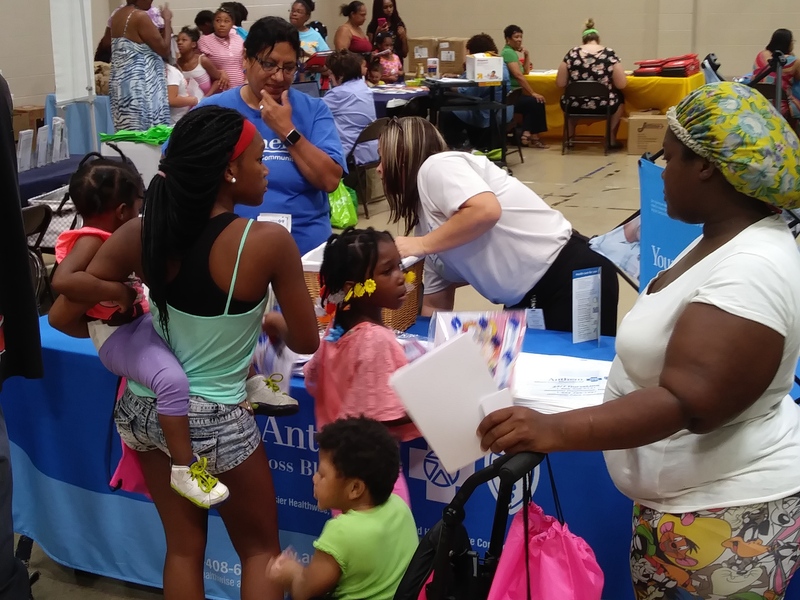 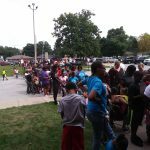 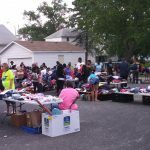 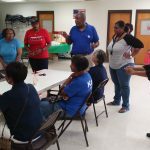 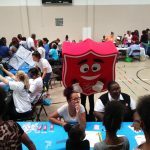 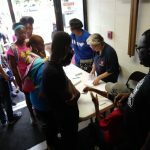 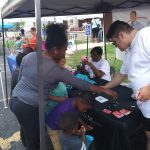 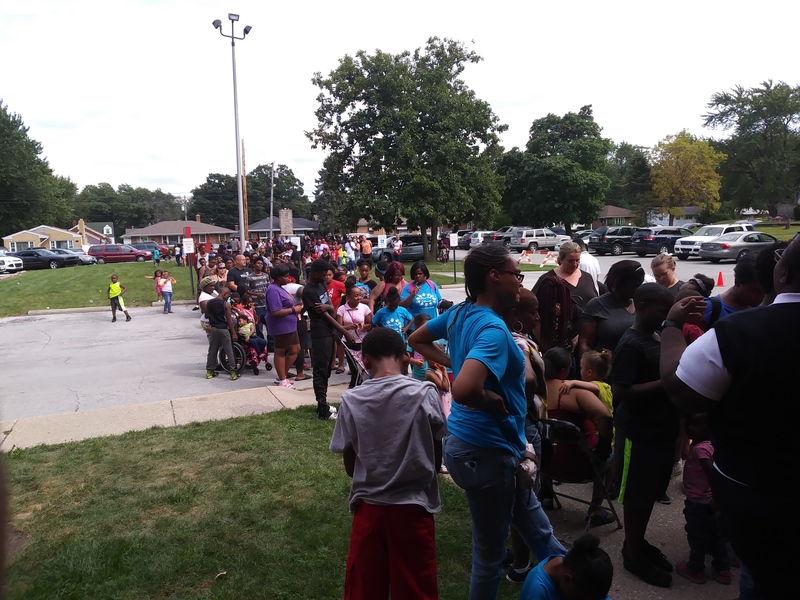 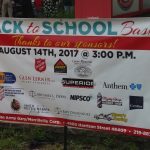 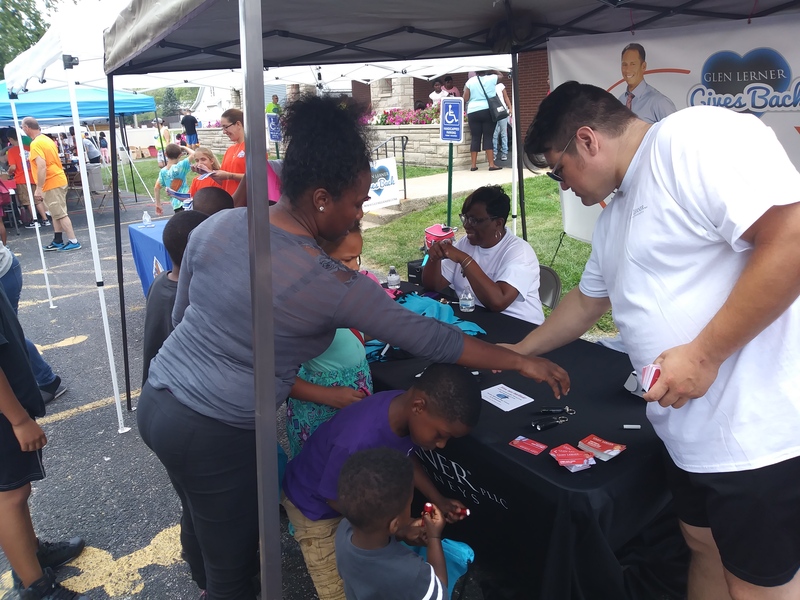 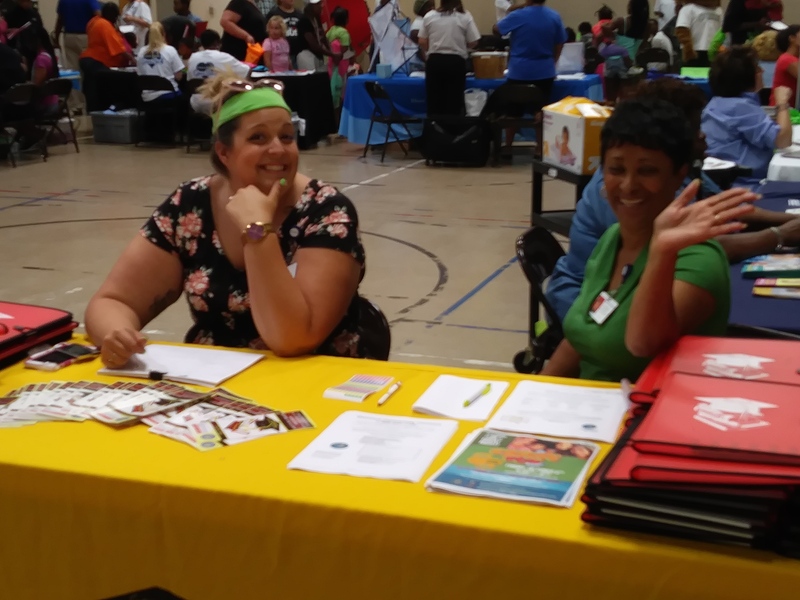 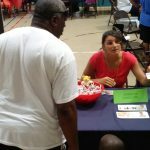 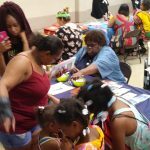 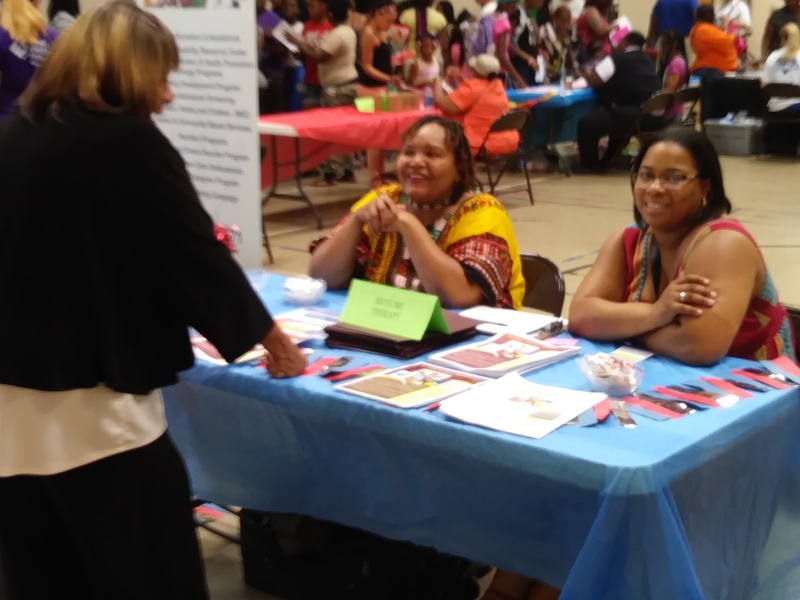 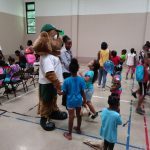 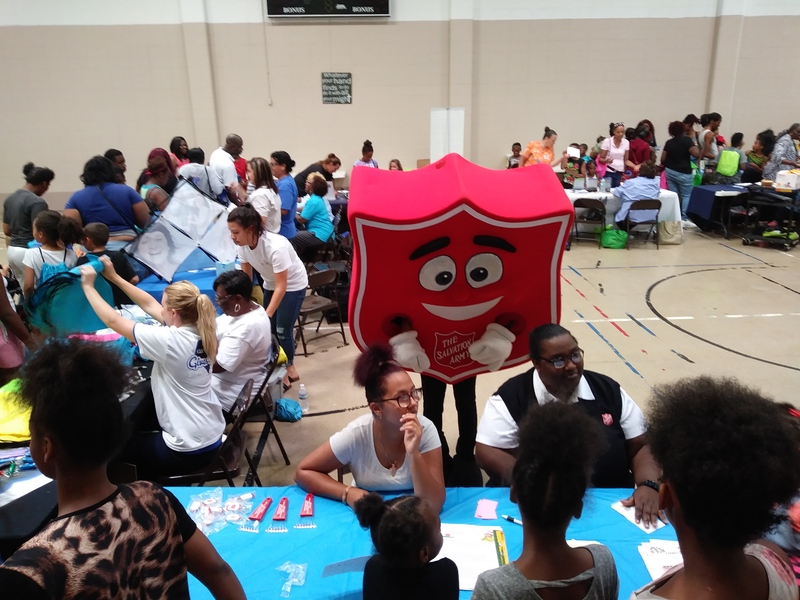 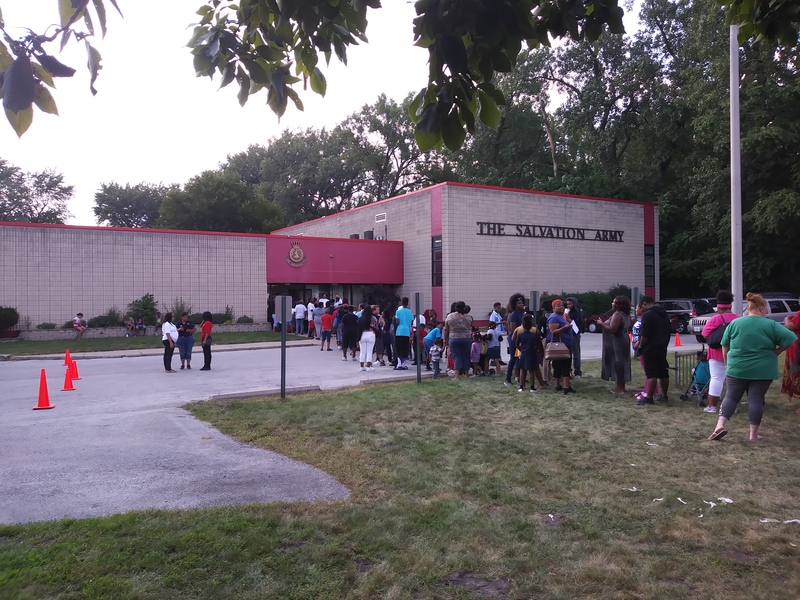 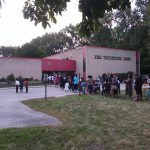 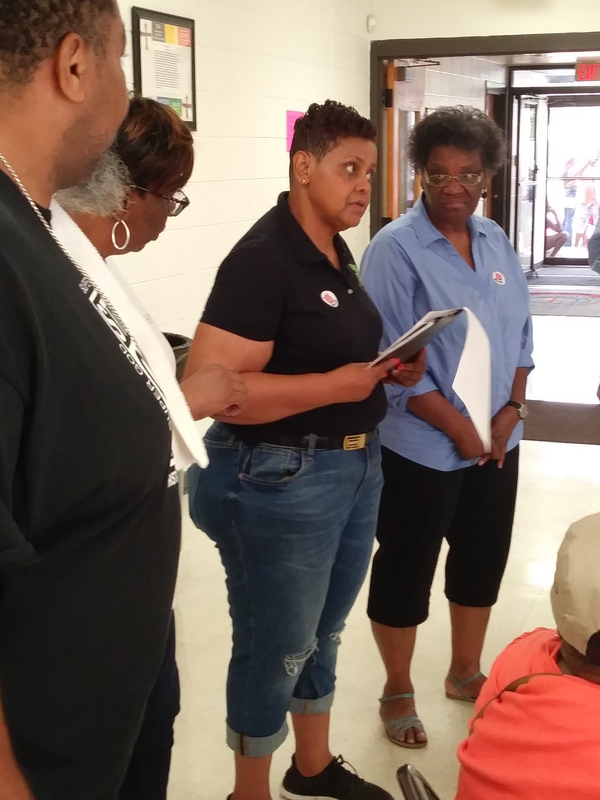 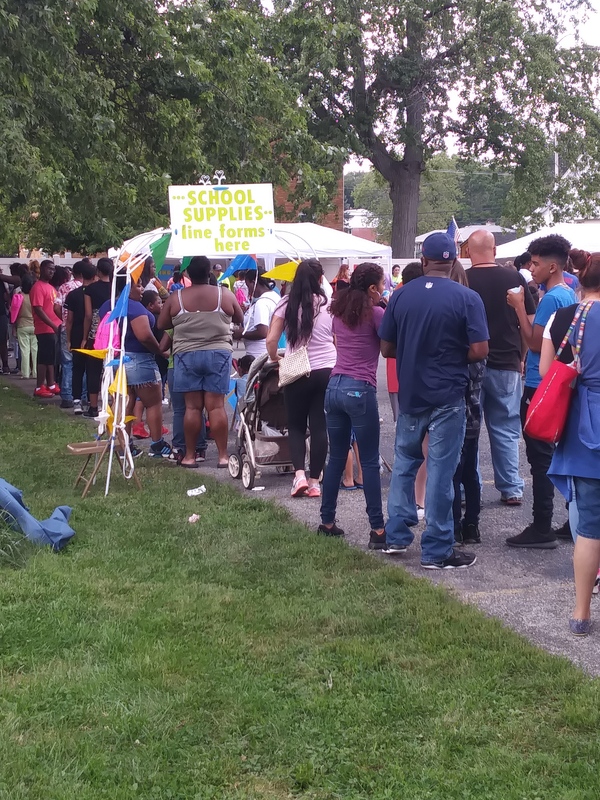 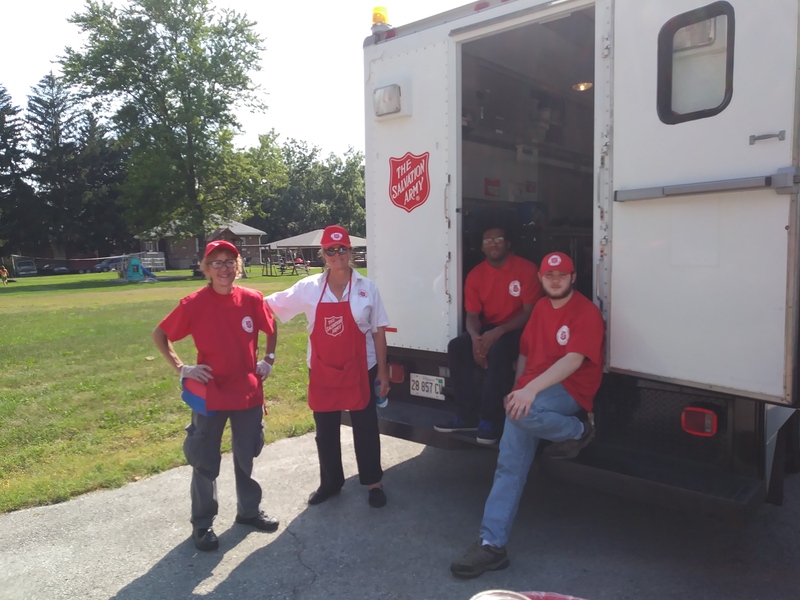 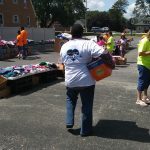 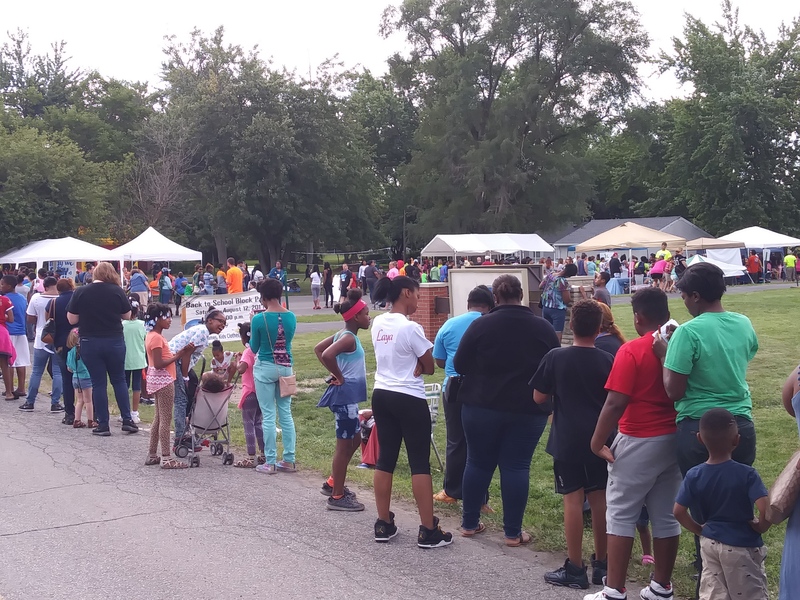 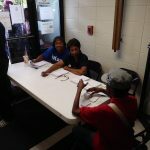 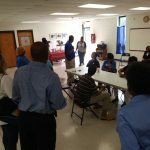 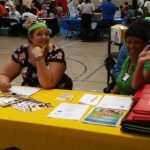 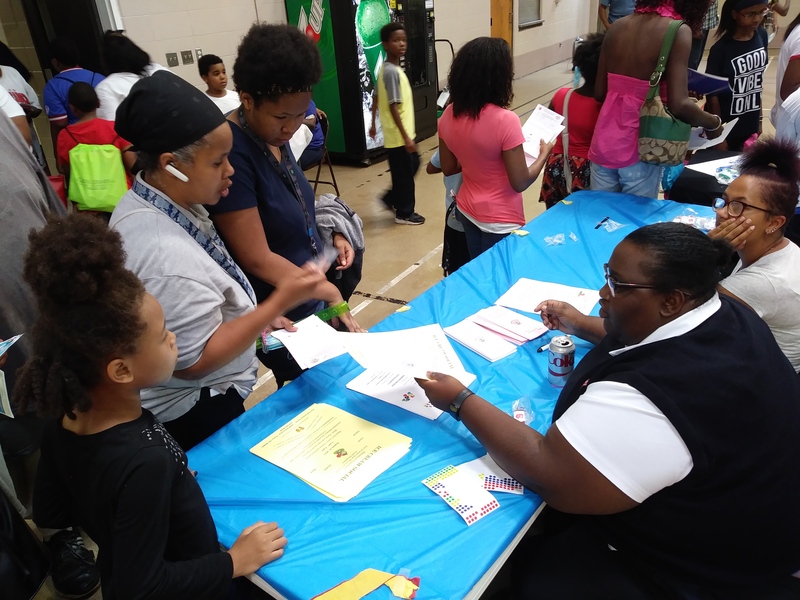 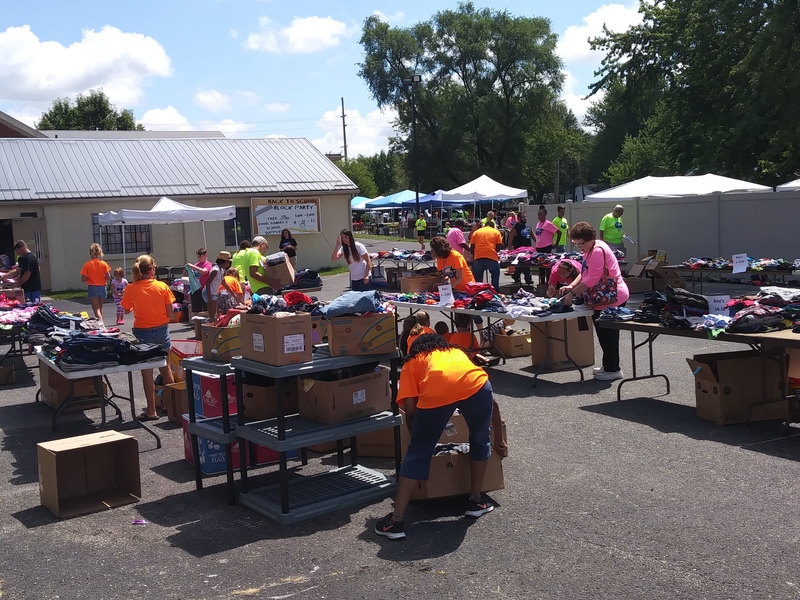 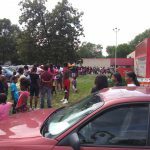 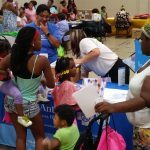 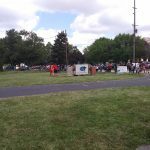 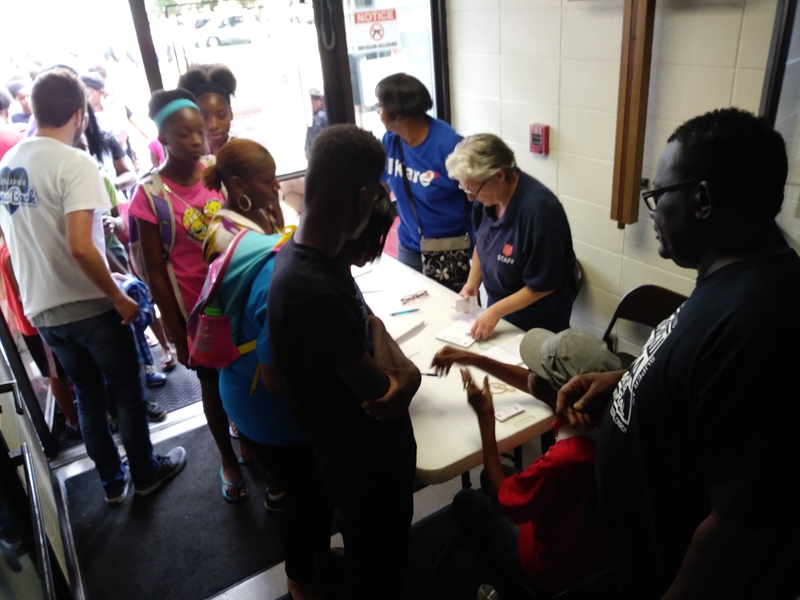 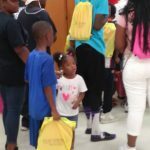 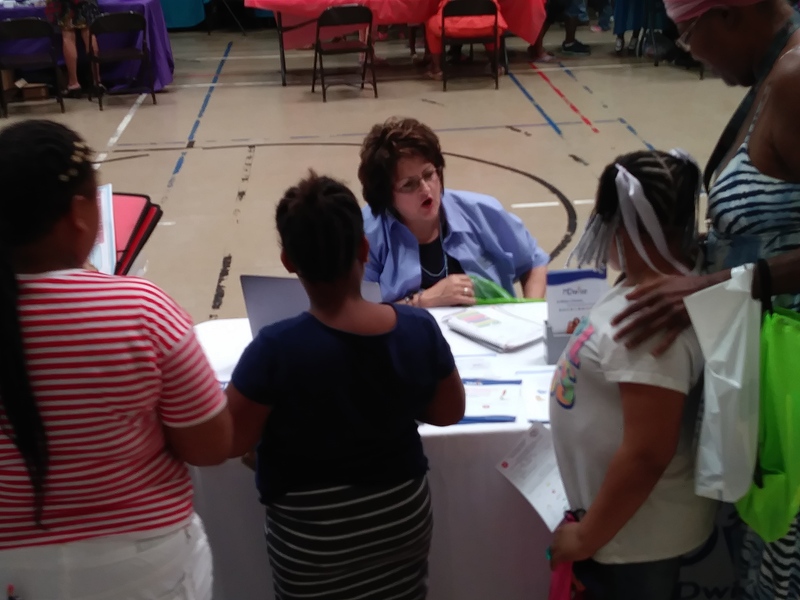 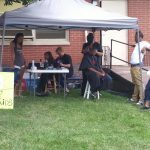 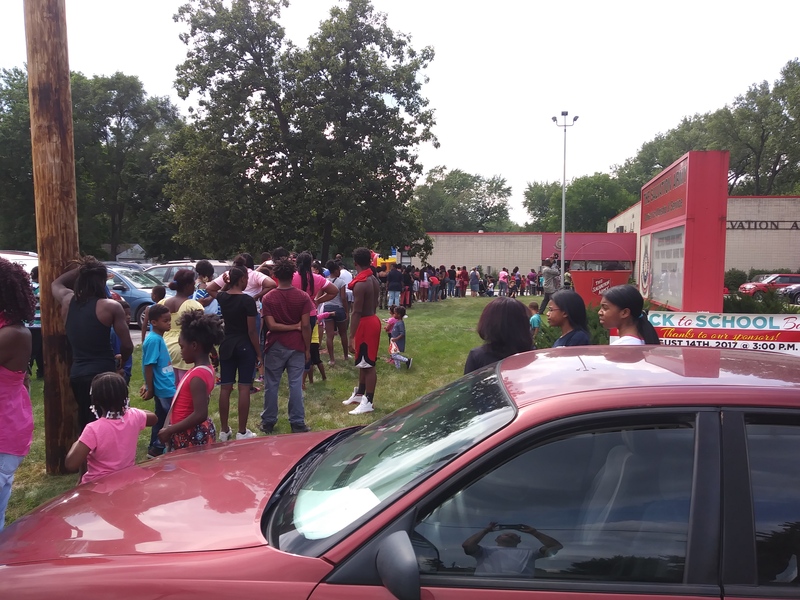 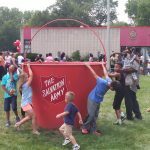 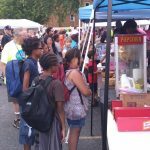 The Salvation Army Gary-Merrillville Corps and Carter Memorial Church partnered once again to host the 2017 Back to School Bash in Gary, Indiana. 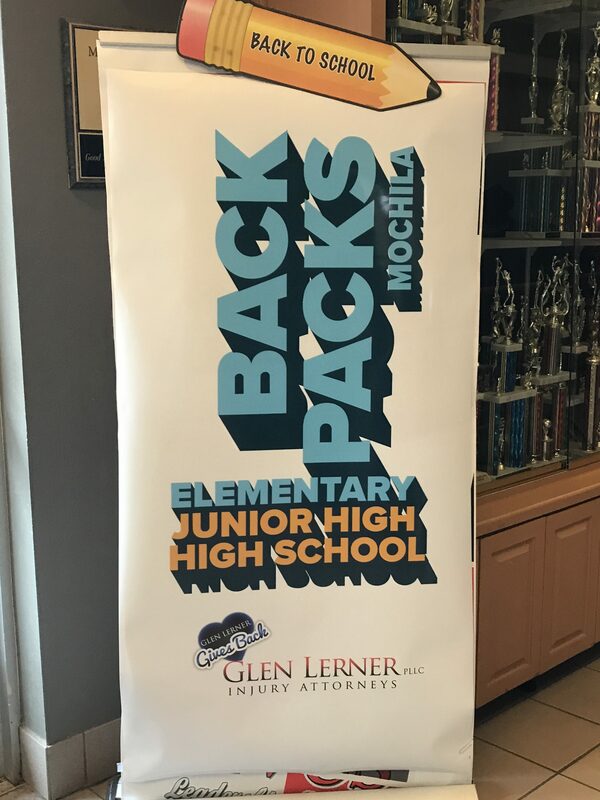 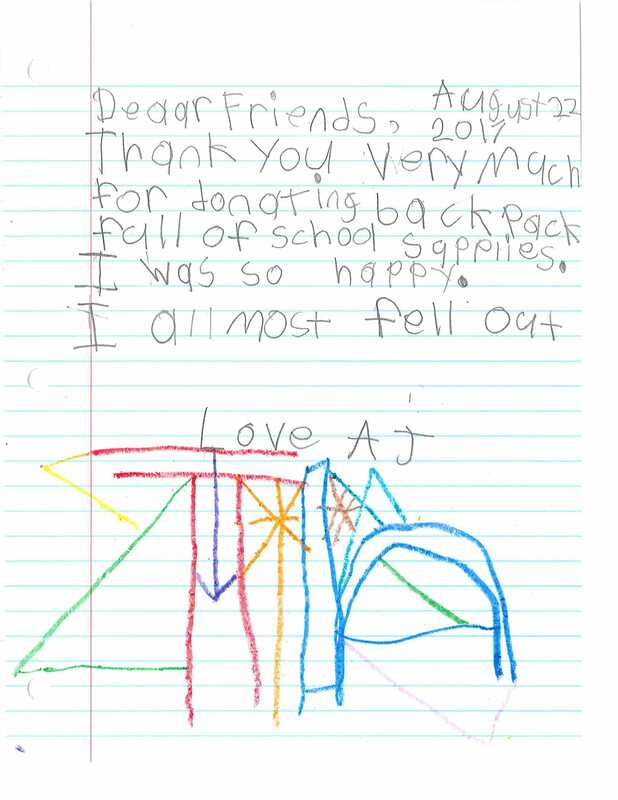 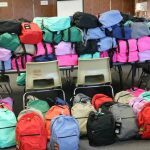 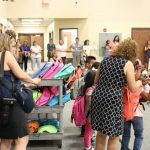 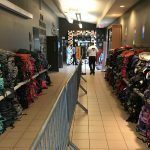 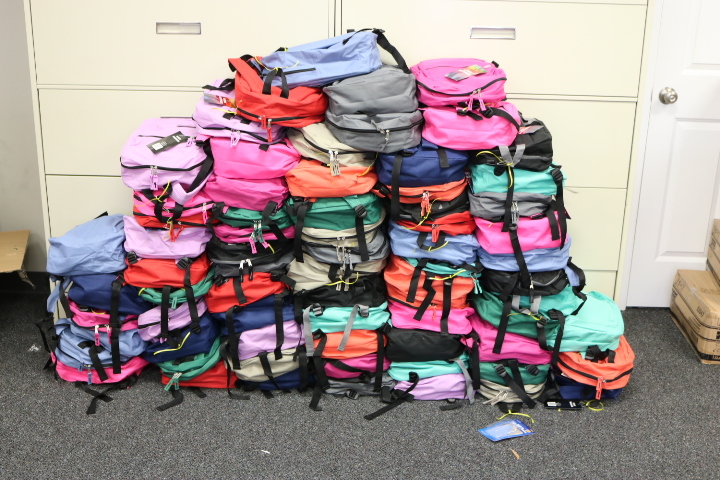 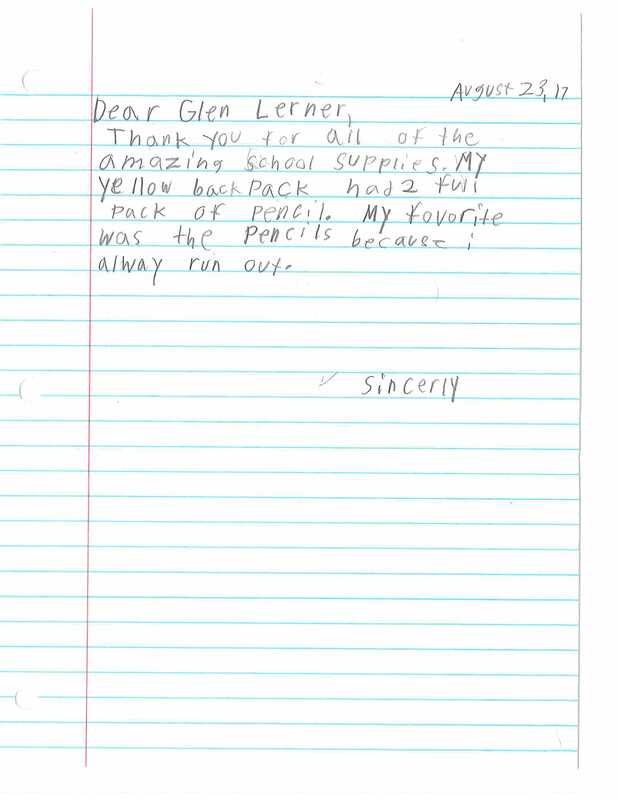 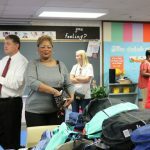 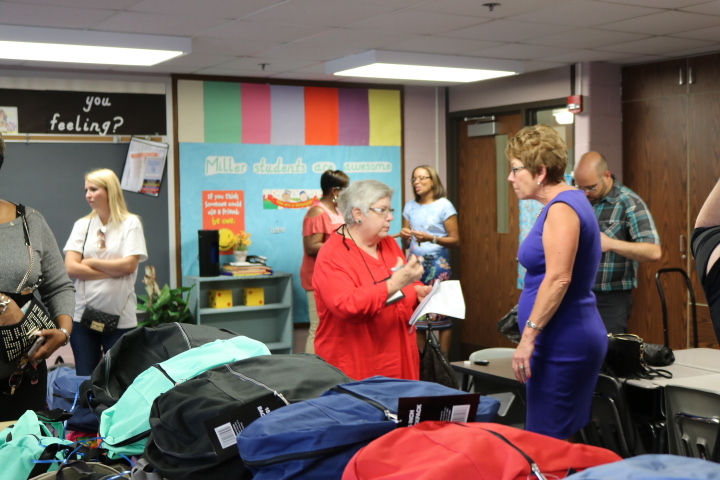 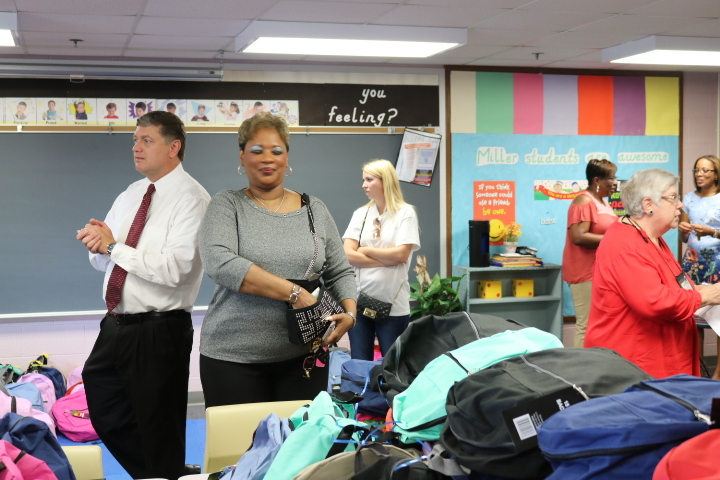 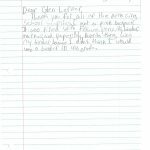 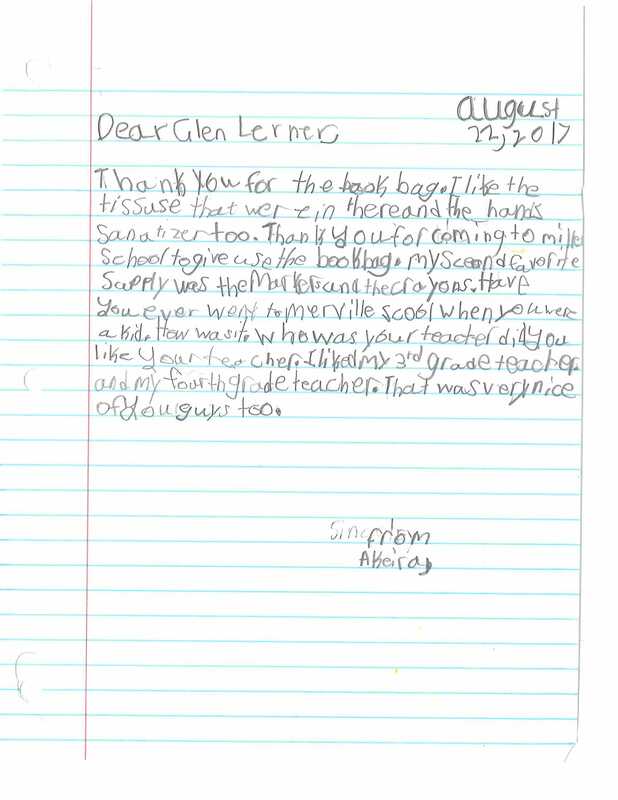 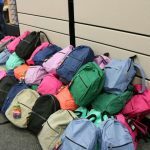 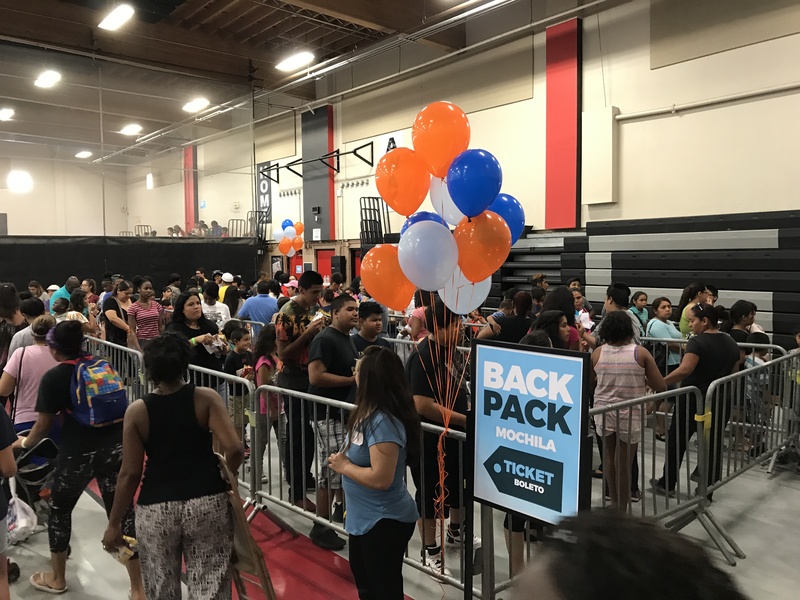 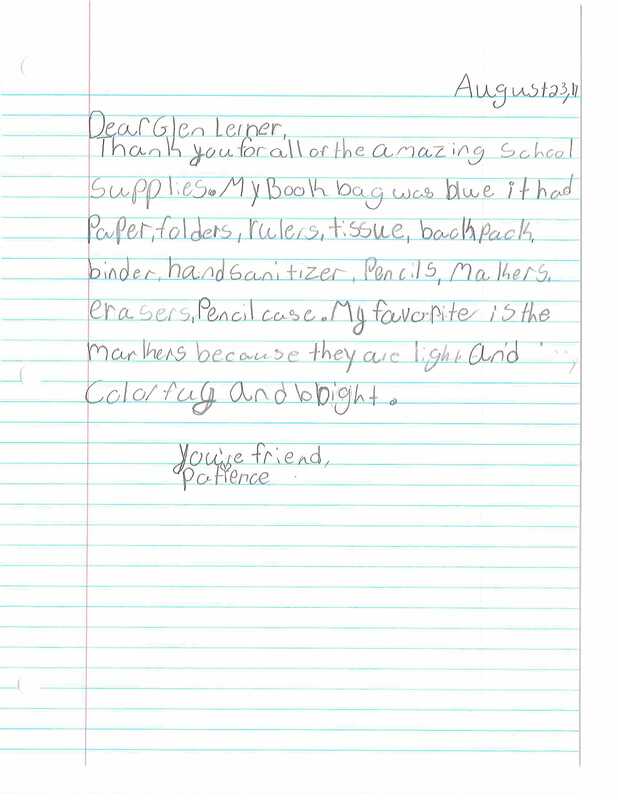 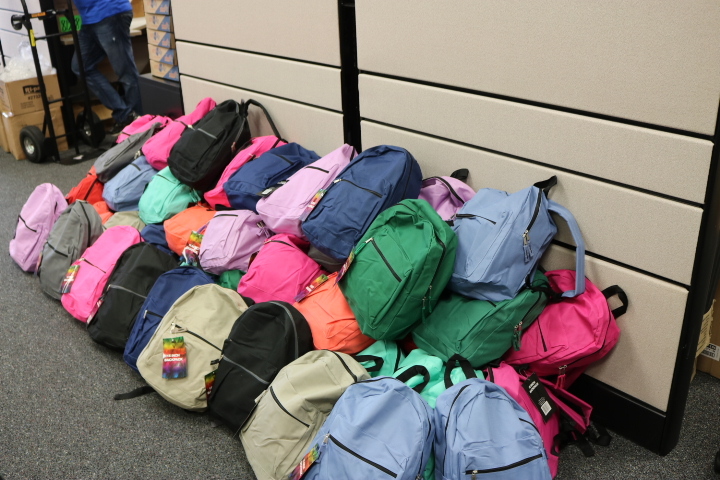 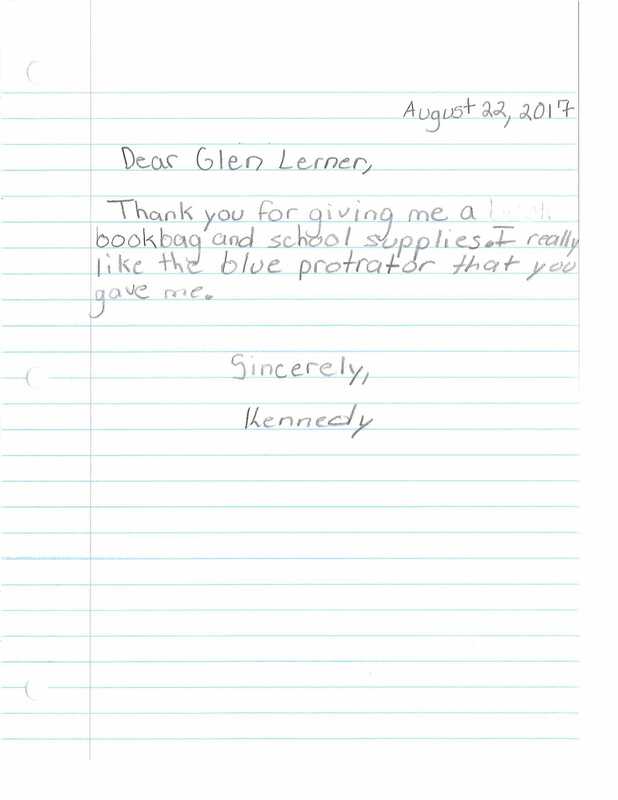 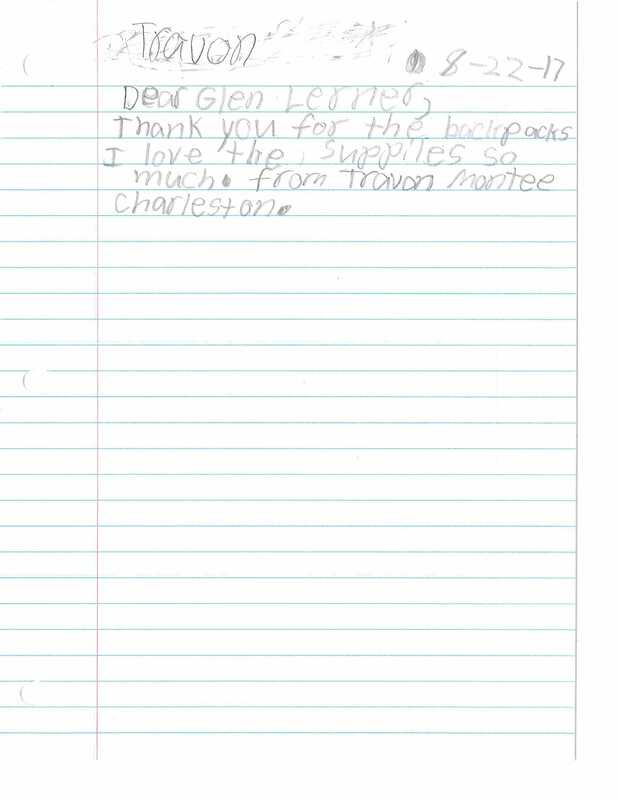 Through this annual partnership, and with the help of business sponsors such as Glen Lerner Injury Attorneys, 400 local kids were gifted with back packs filled with school supplies. 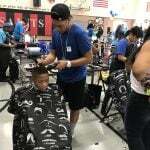 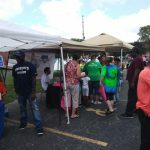 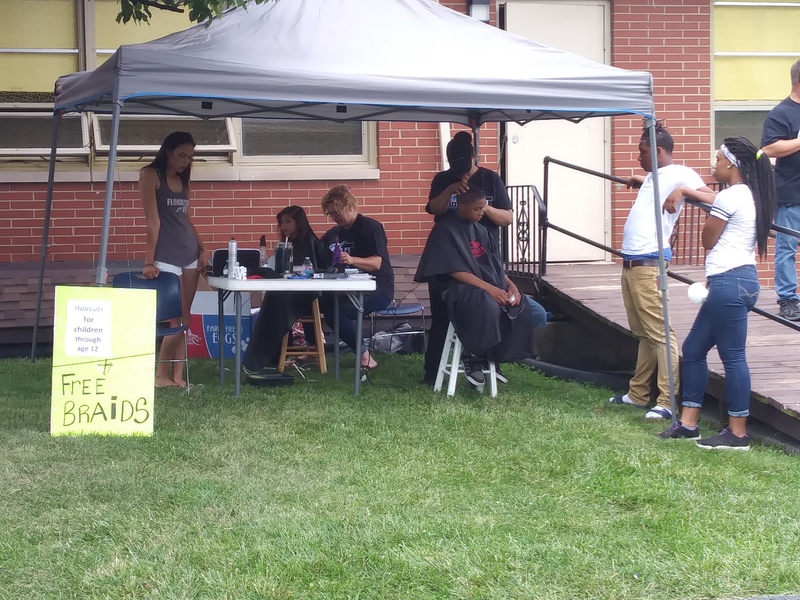 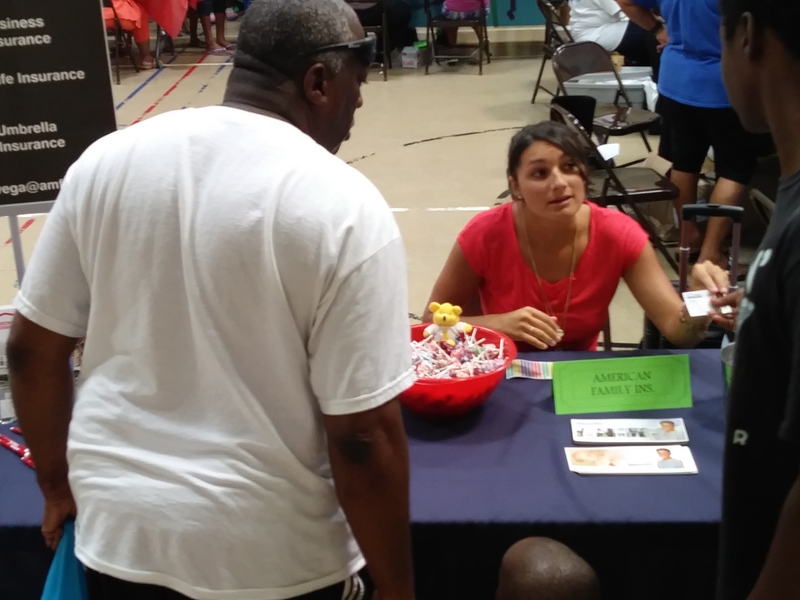 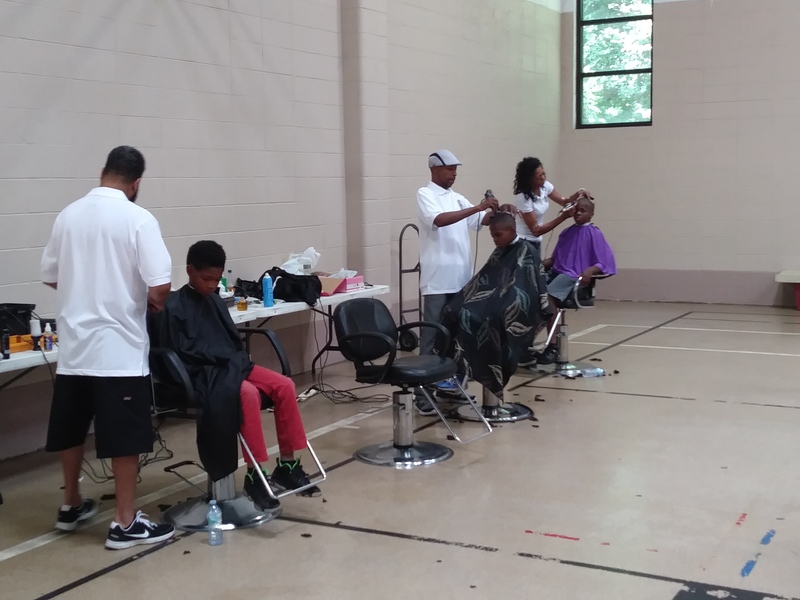 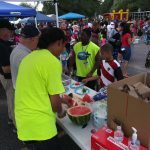 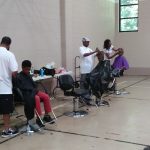 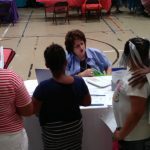 This event also included a community fair, free hearing tests, haircuts, lunch, treats and fun activities for the kids. 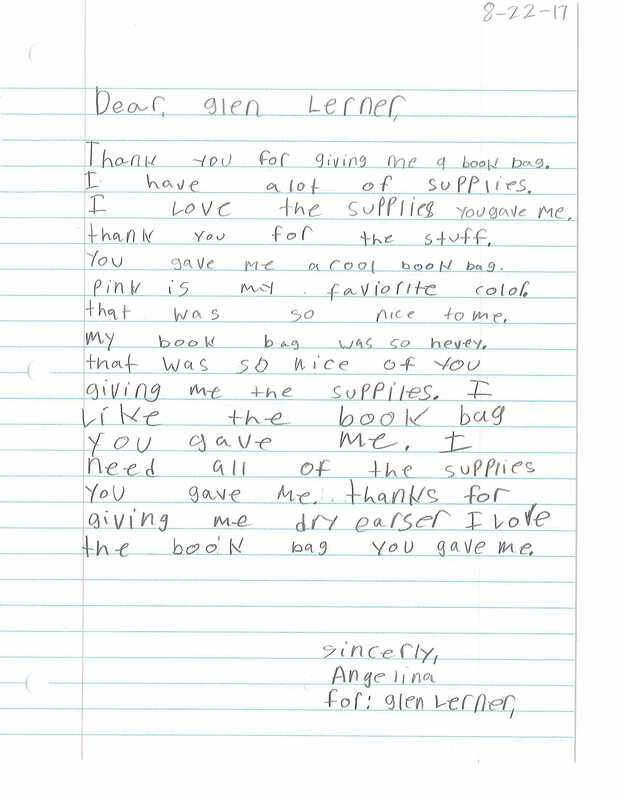 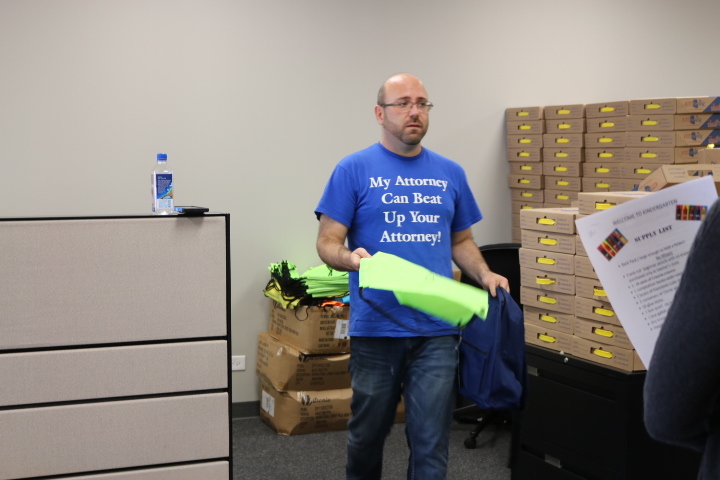 At the event, our Glen Lerner volunteers were tasked with a very important responsibility. 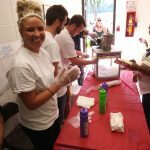 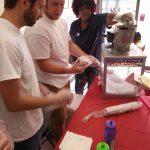 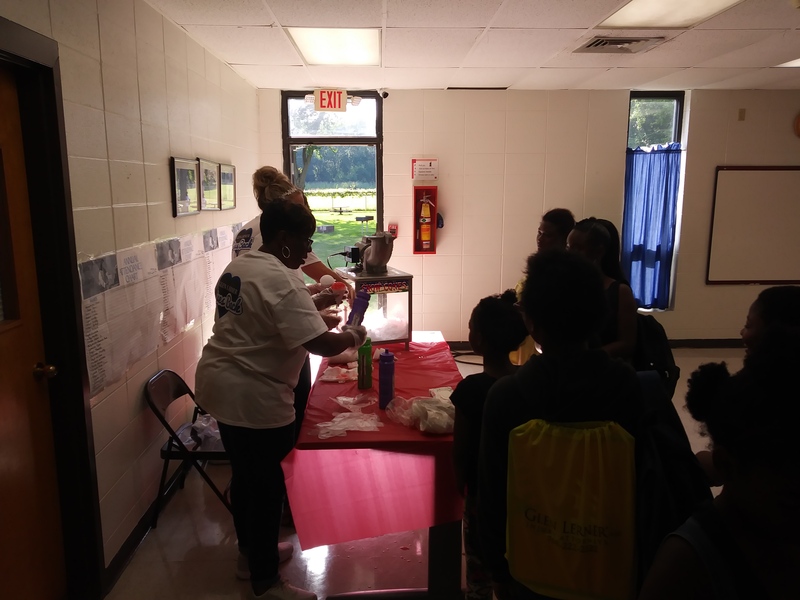 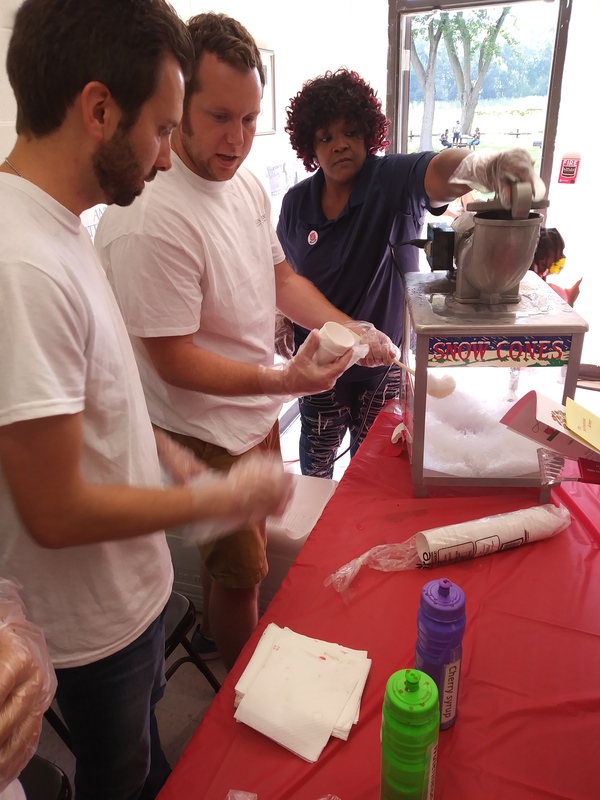 In an hour and a half, they successfully cranked out over 1,000 ice cones for the kids! 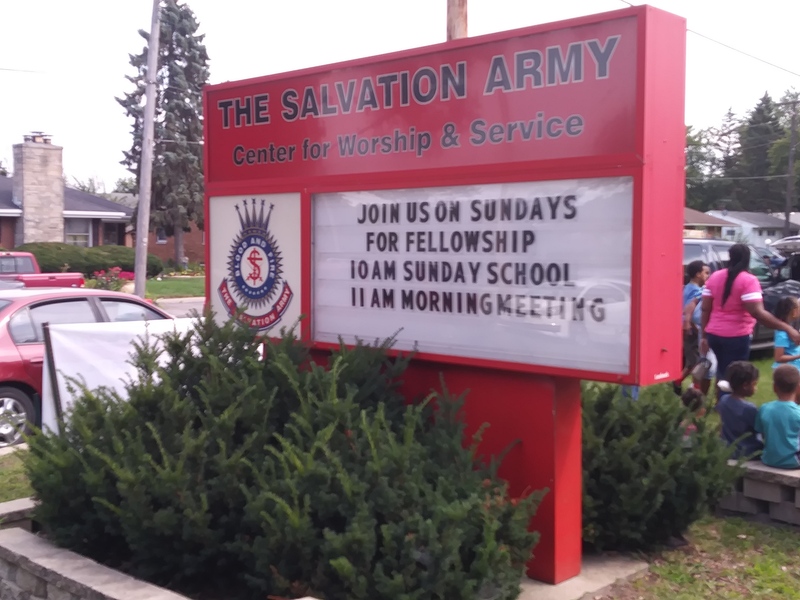 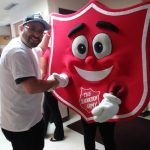 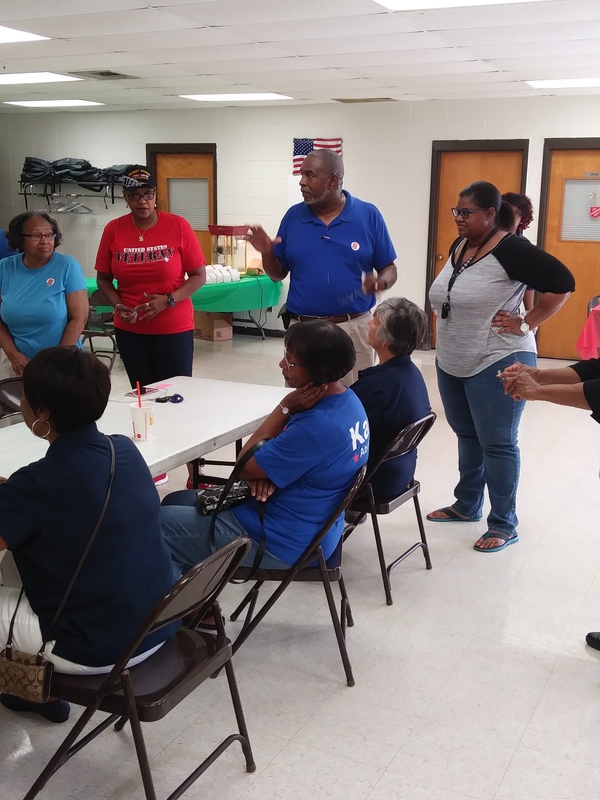 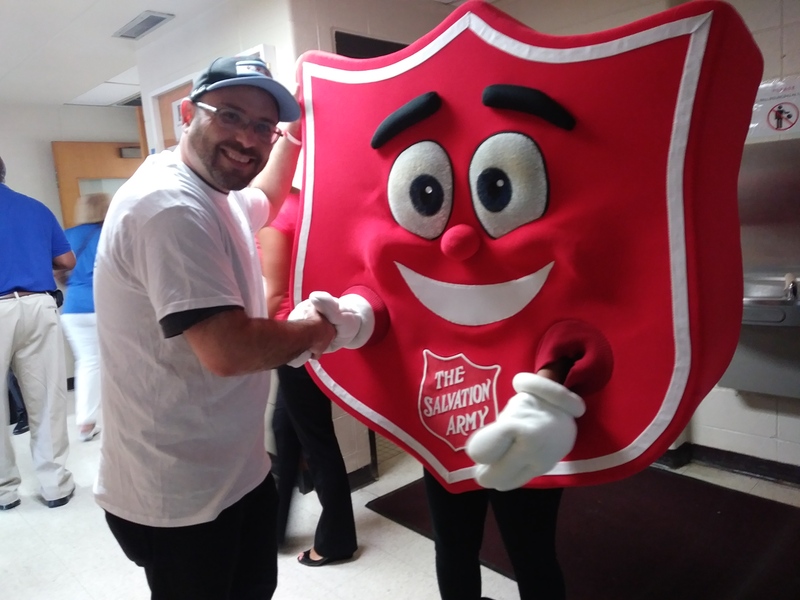 It is always an honor to serve alongside organizations such as The Salvation Army and Carter Memorial Church. 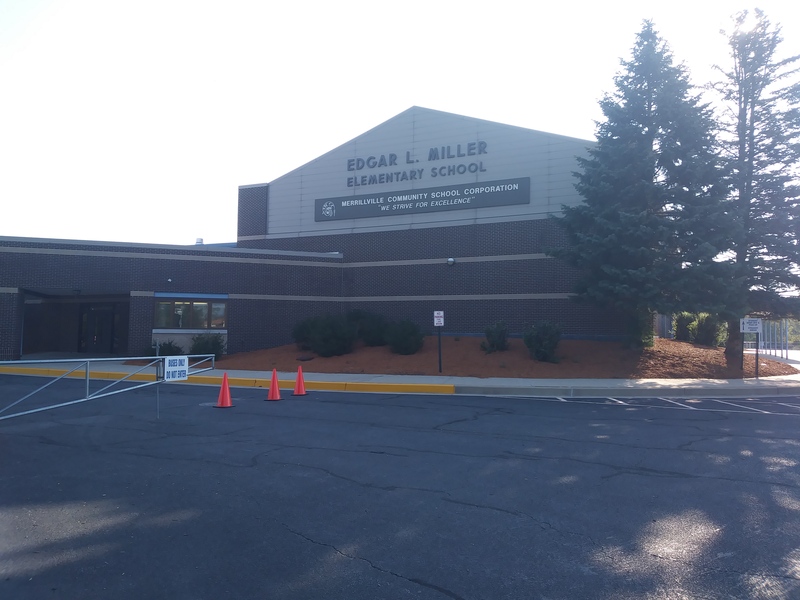 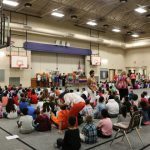 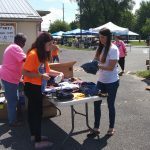 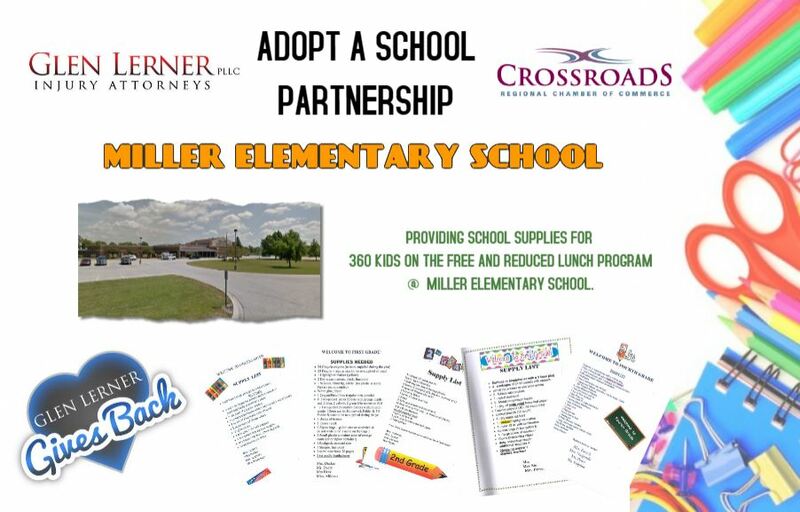 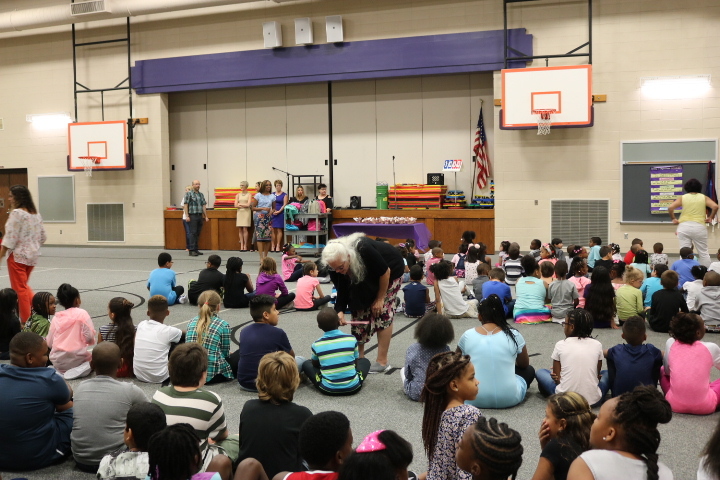 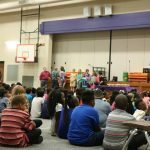 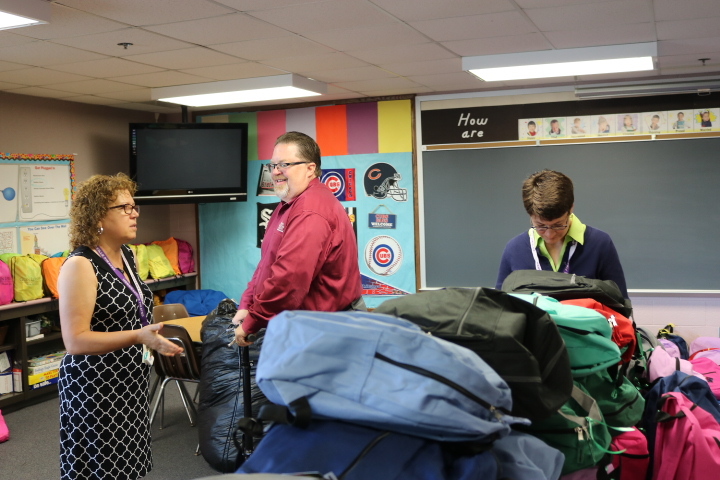 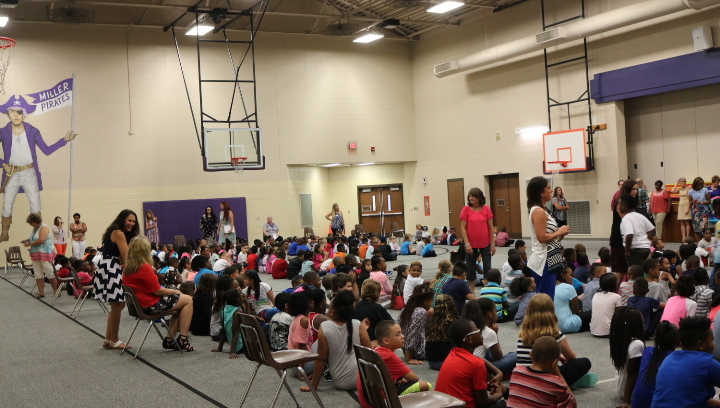 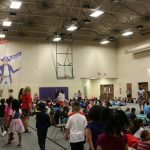 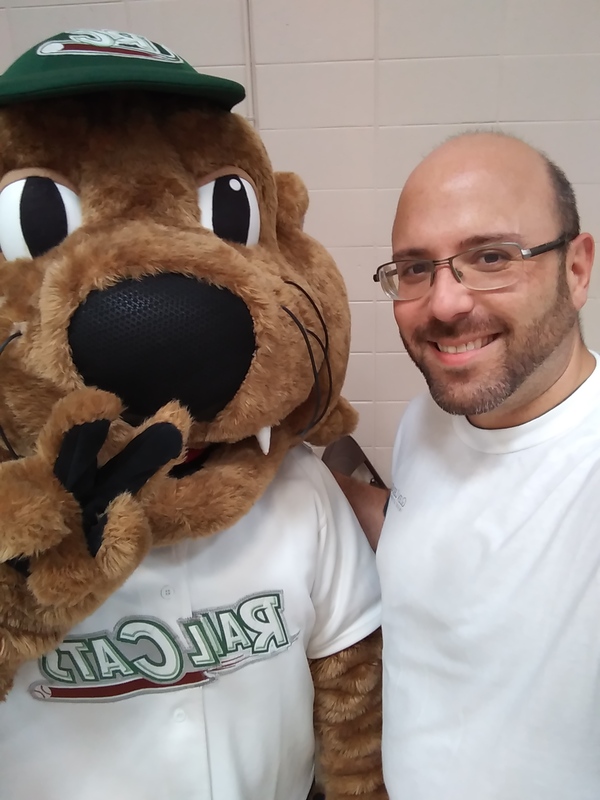 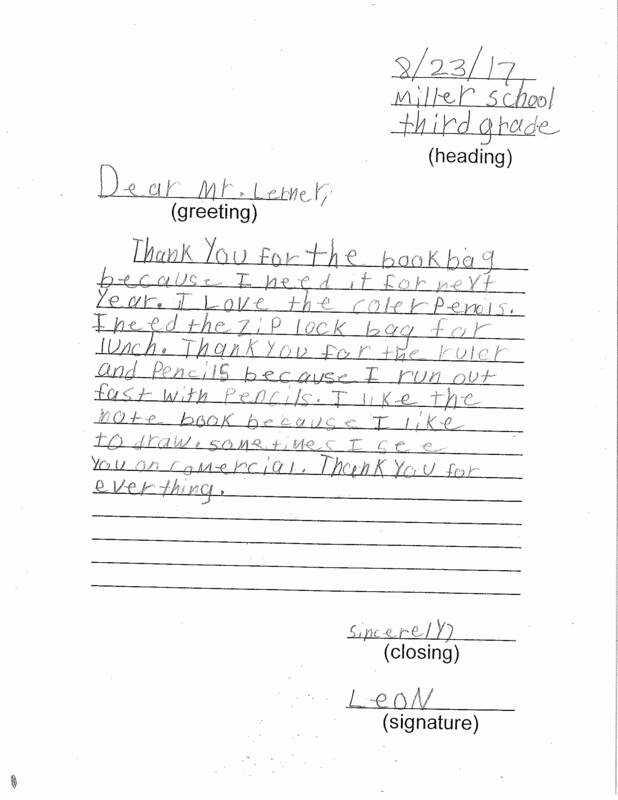 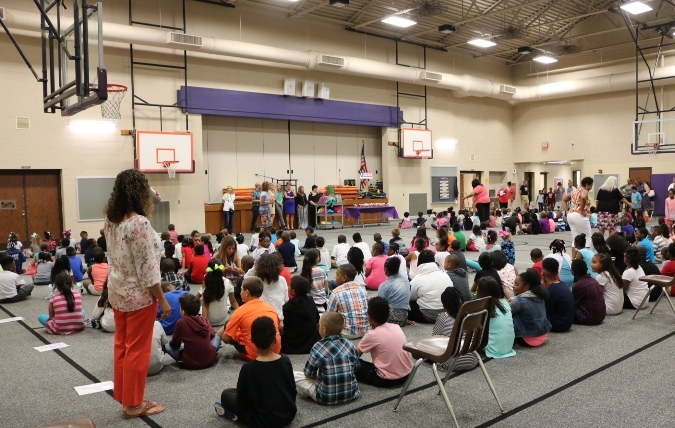 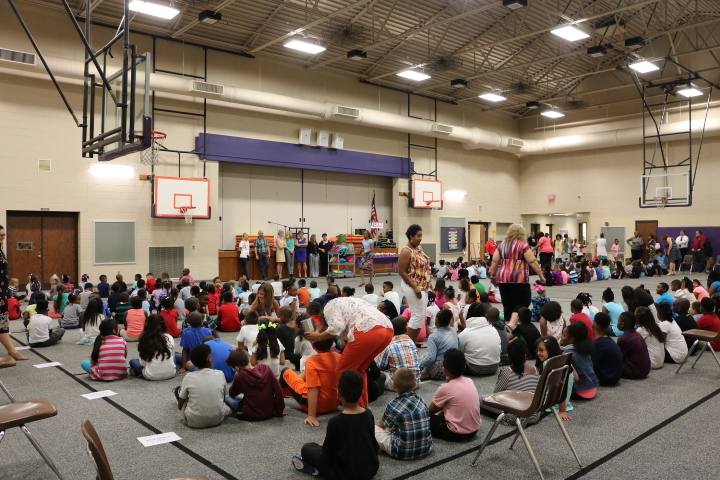 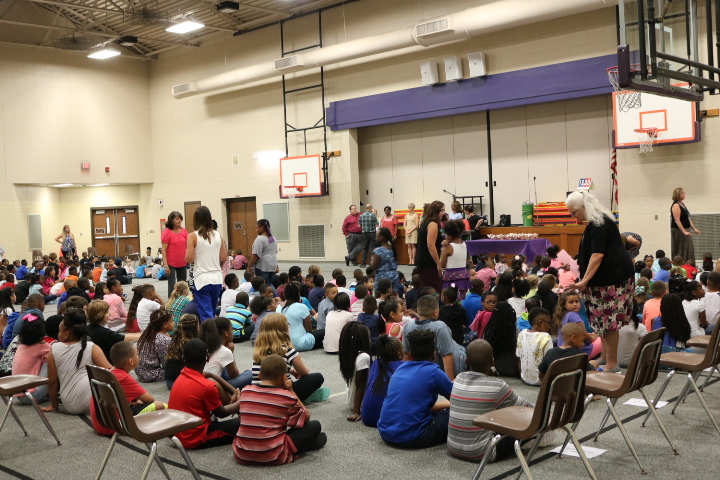 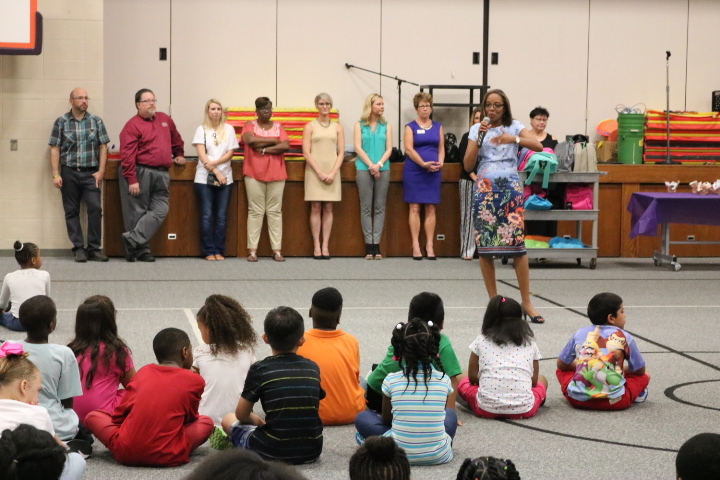 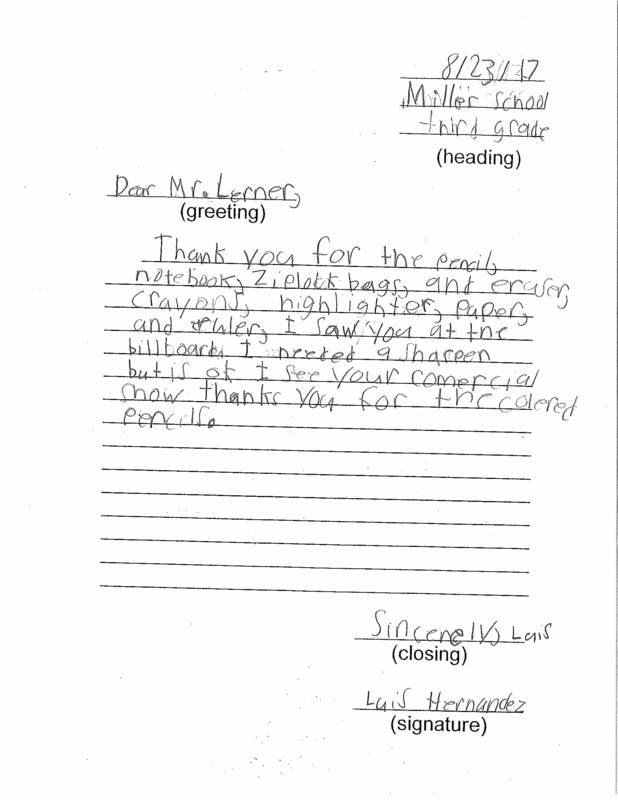 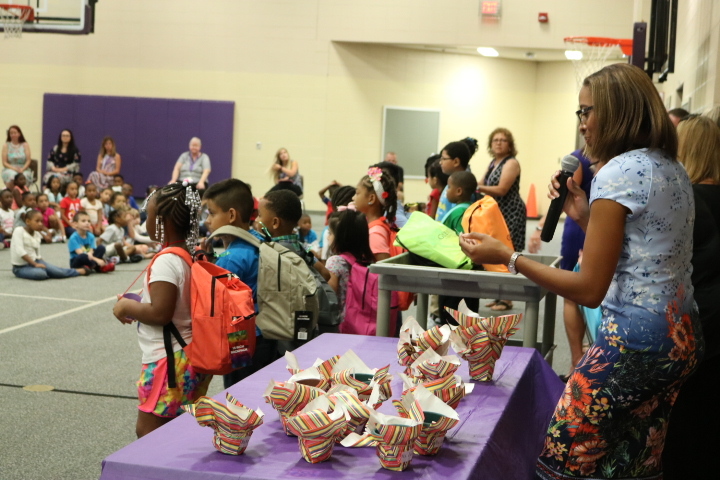 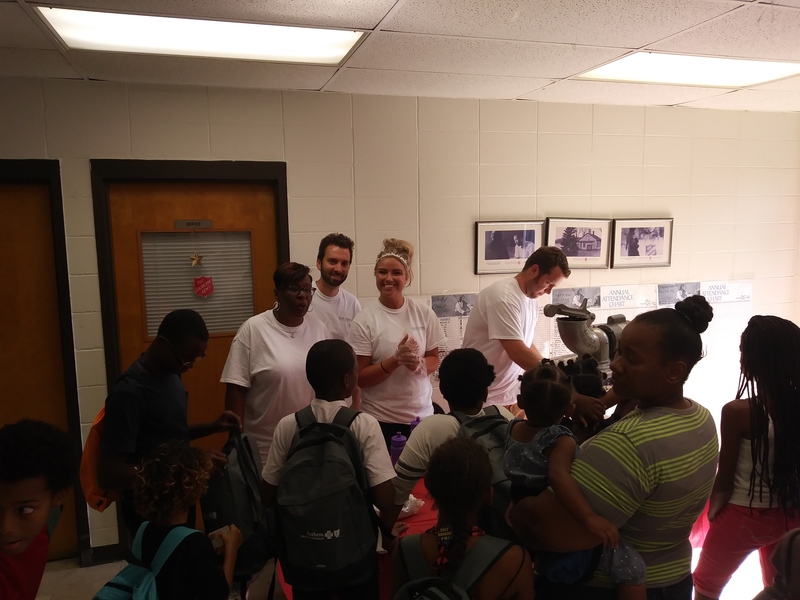 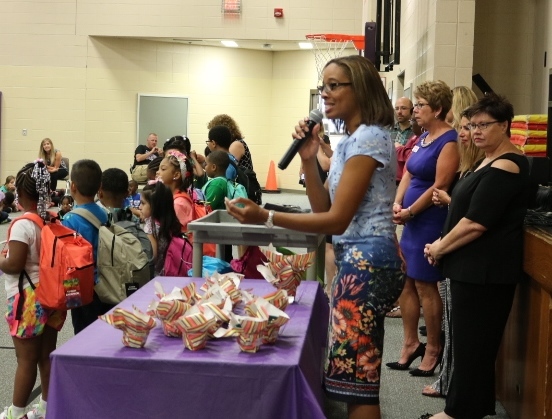 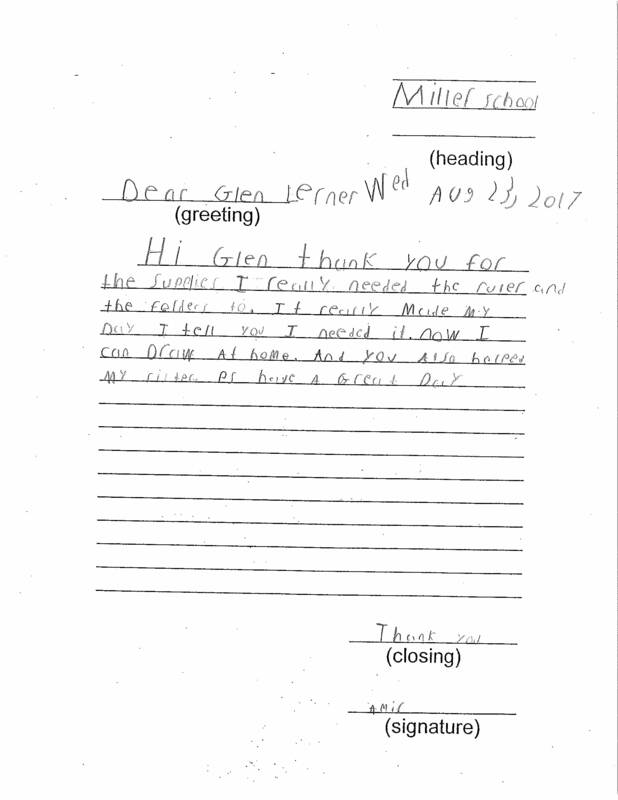 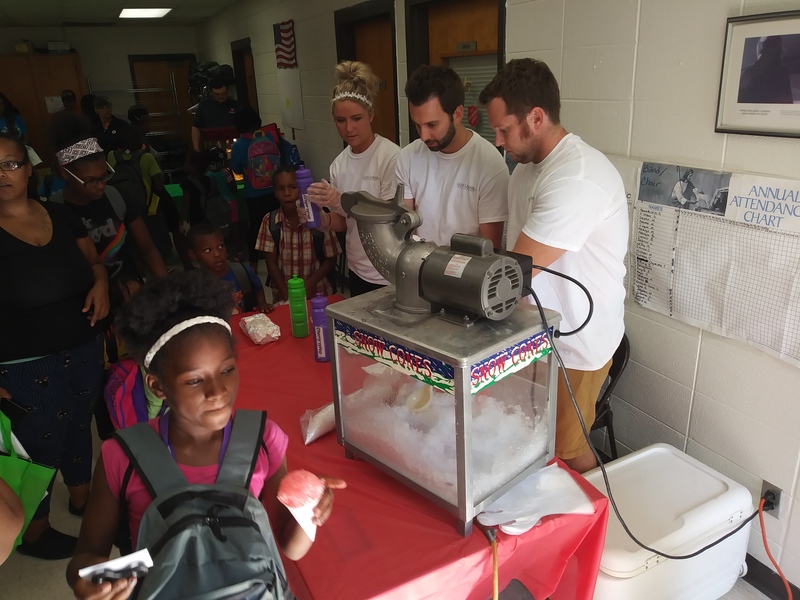 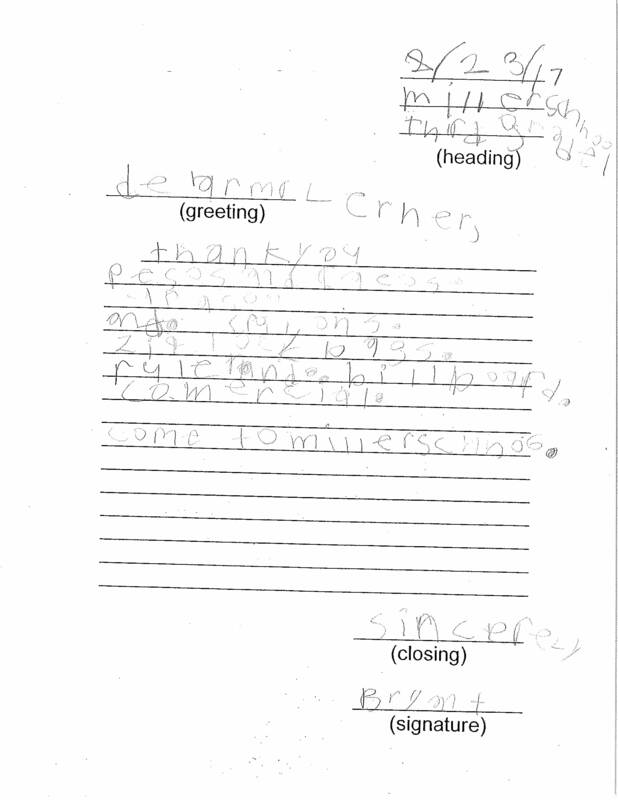 Glen Lerner Gives Back and our newest partner, Crossroads Connects, Inc. of the Crossroads Regional Chamber in Merrillville, Indiana came together in recent months to adopt 368 students at Edgar L. Miller Elementary School. 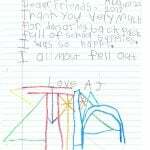 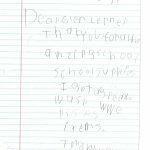 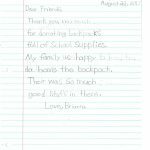 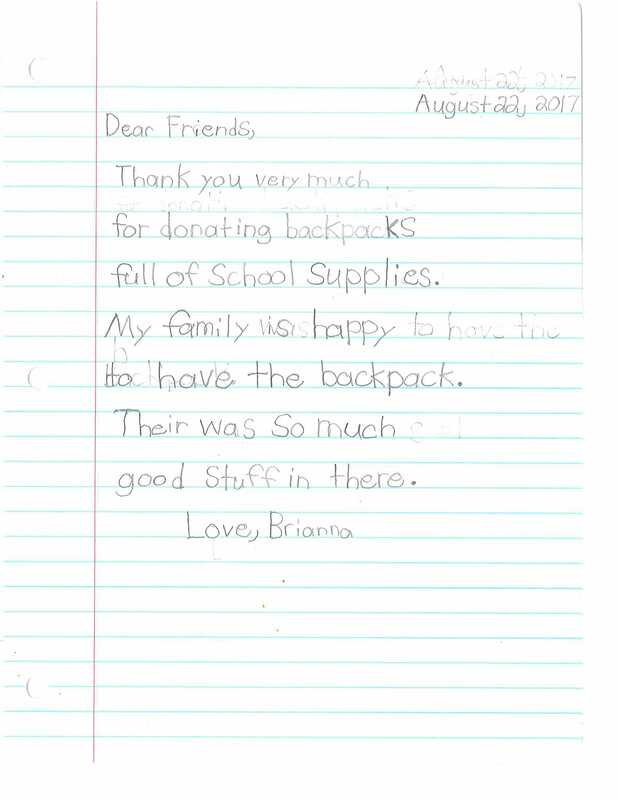 This Adopt a School project was birthed out of our mutual organizations’ desire to meet the needs of low-income students with school supplies needed to start their year off right. 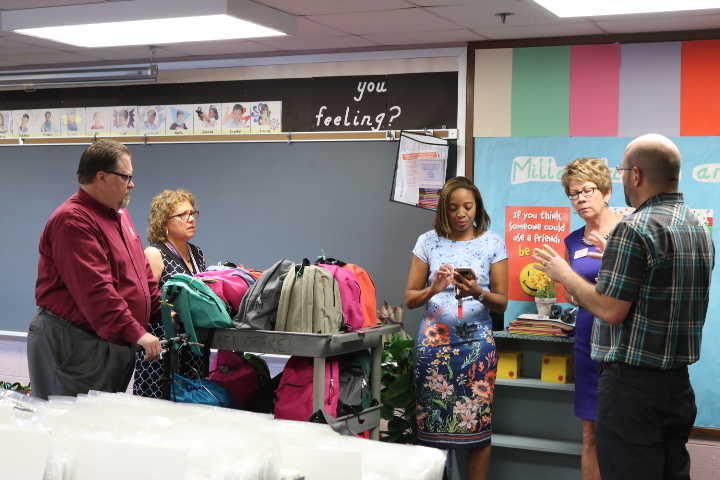 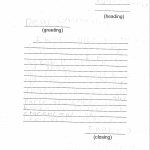 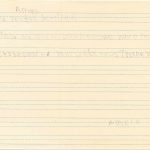 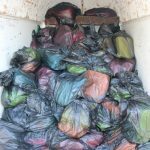 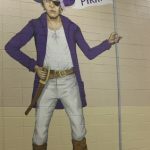 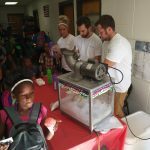 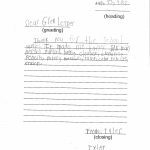 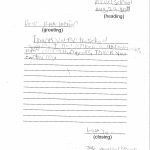 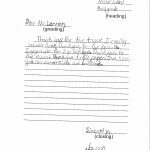 Since this was the first year in partnership with the Chamber, it was mutually agreed upon that we would focus on one school and aim for quality versus quantity. 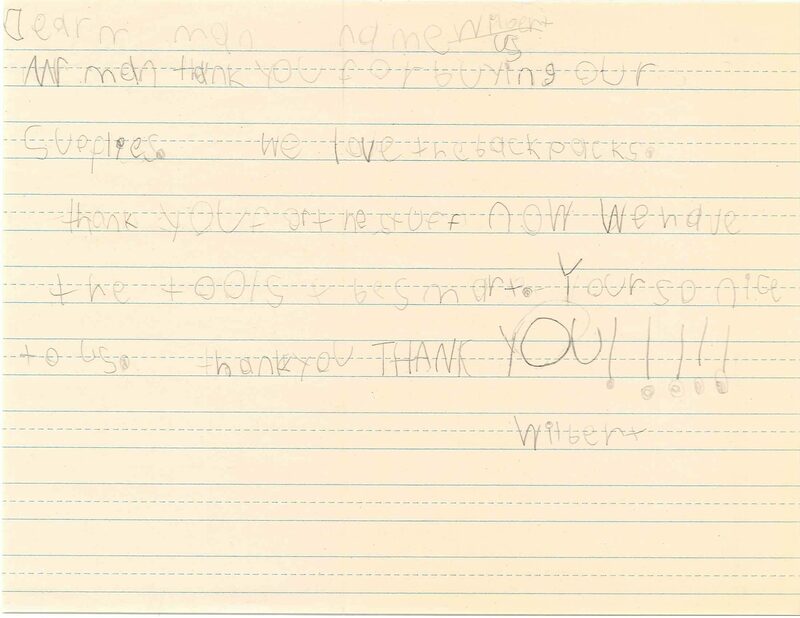 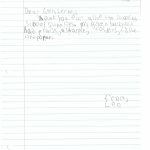 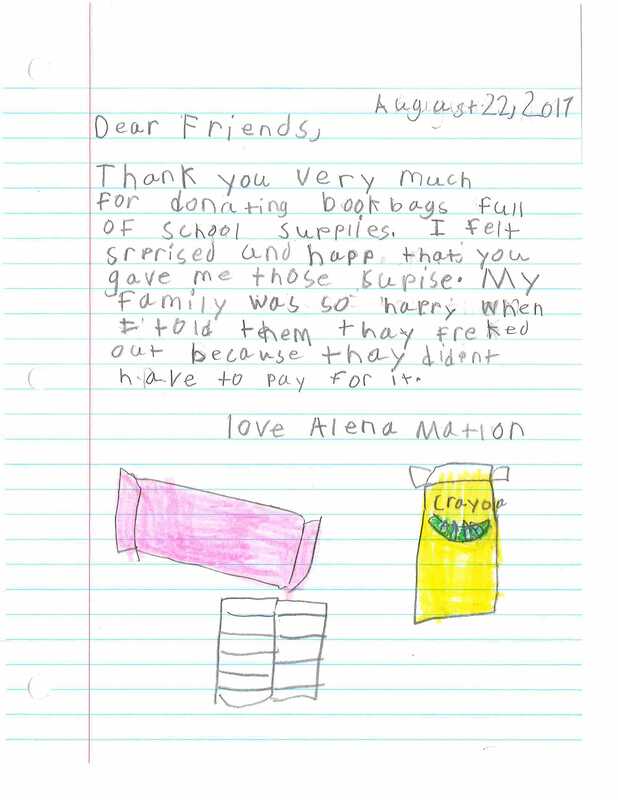 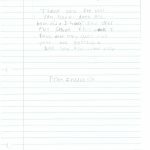 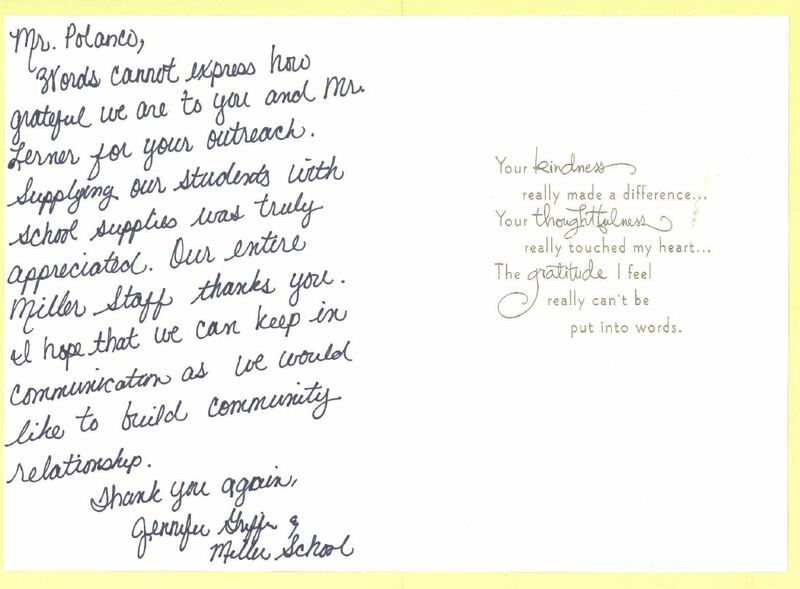 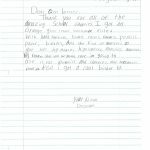 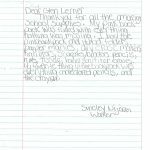 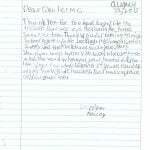 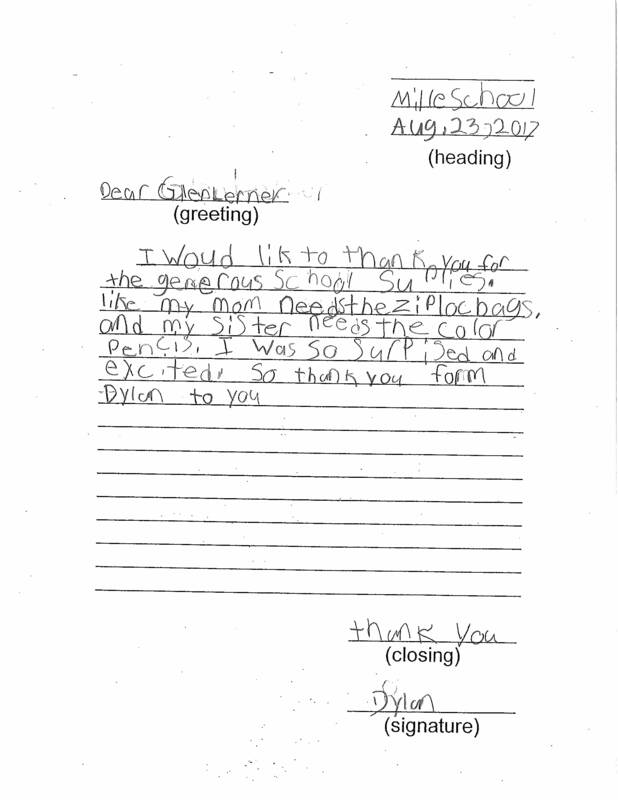 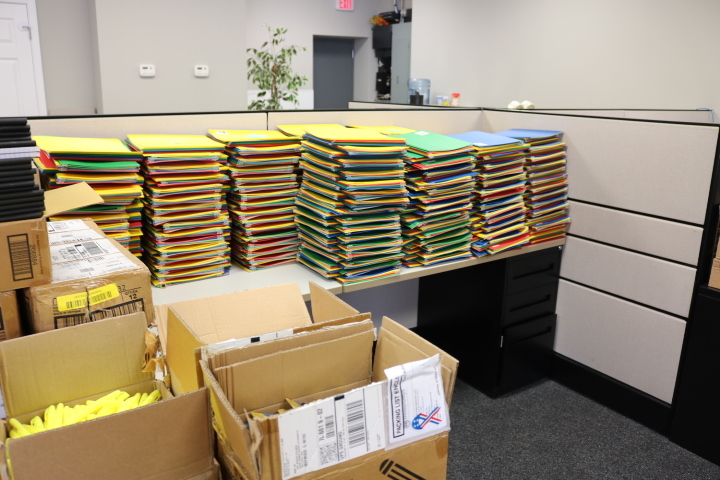 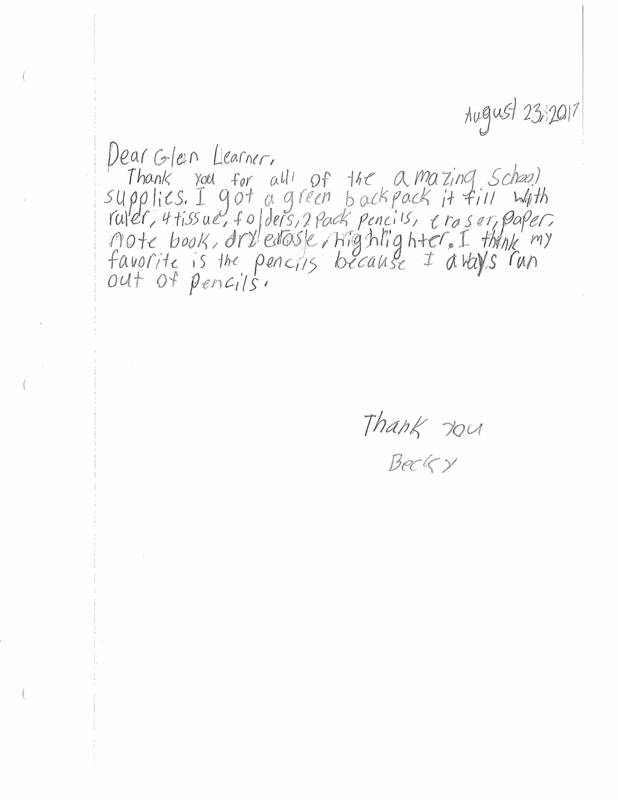 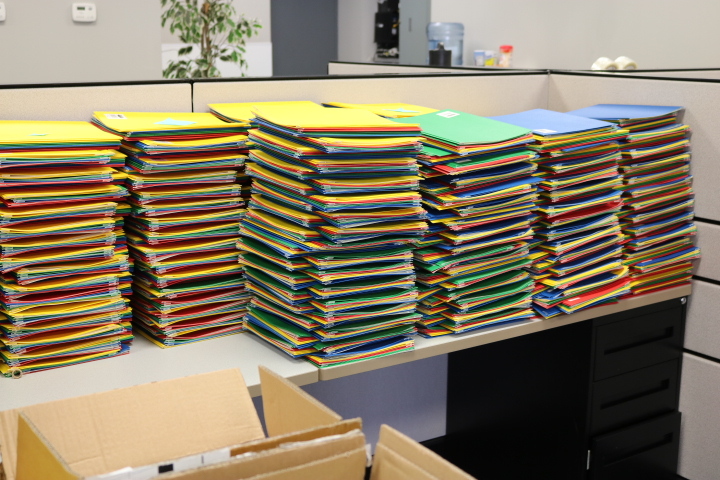 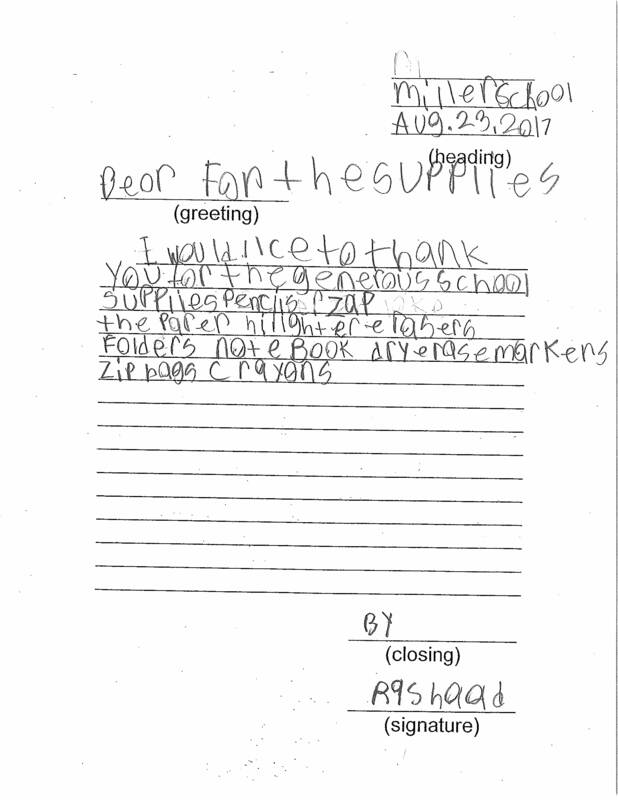 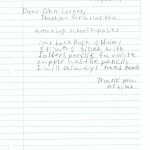 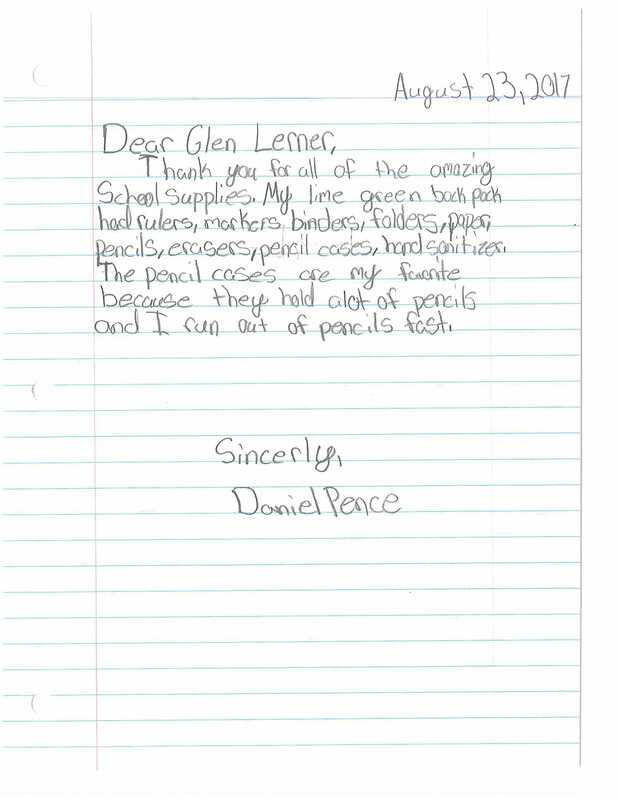 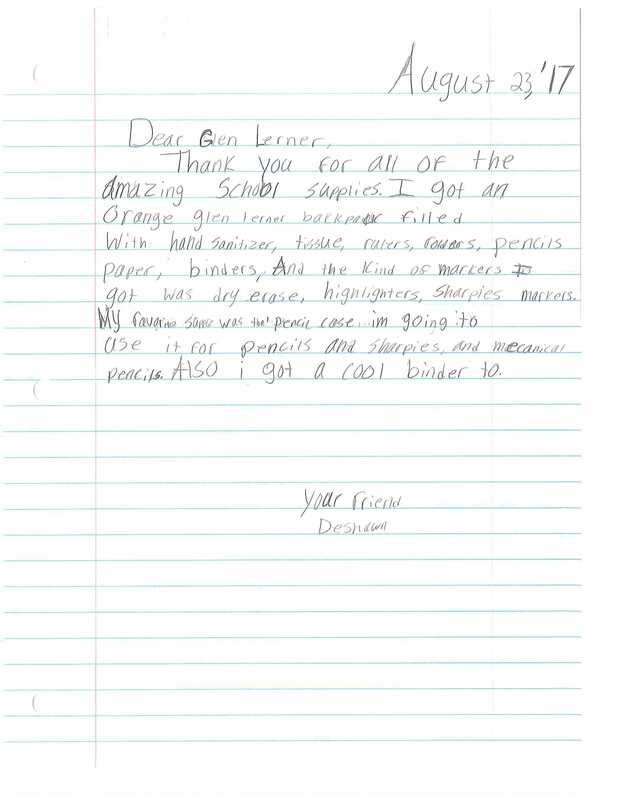 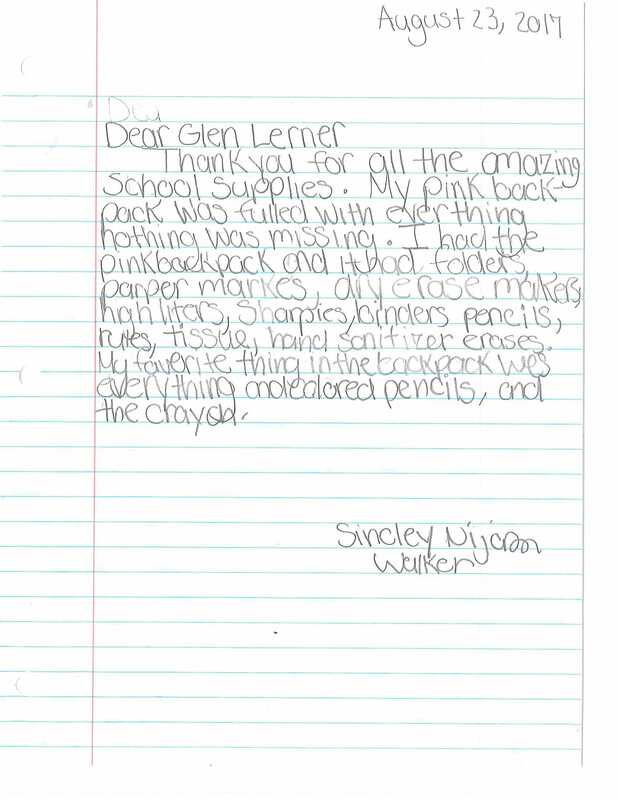 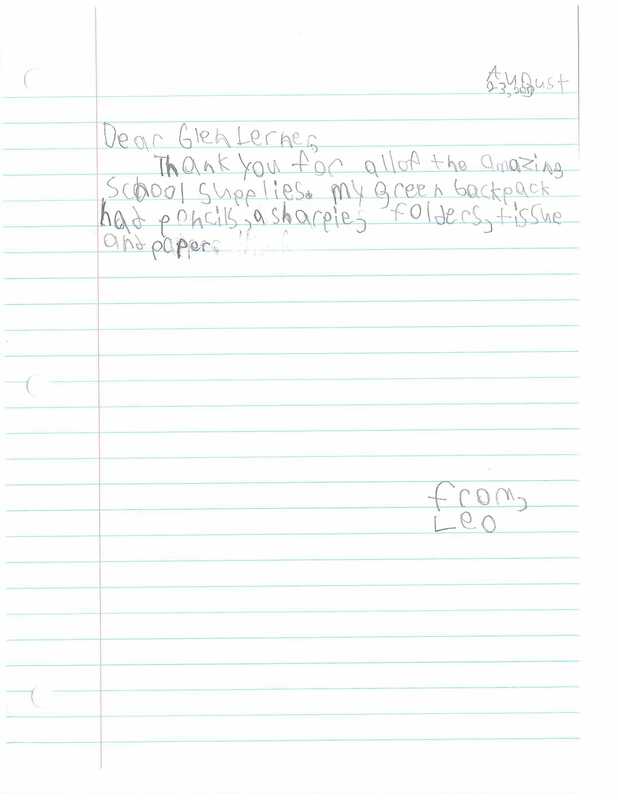 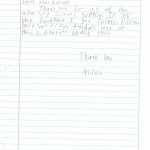 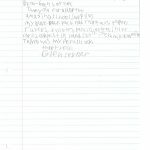 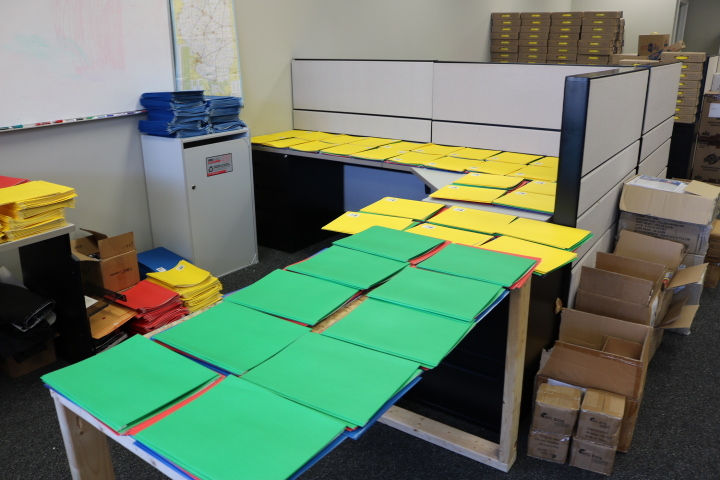 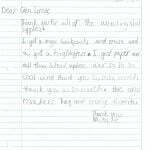 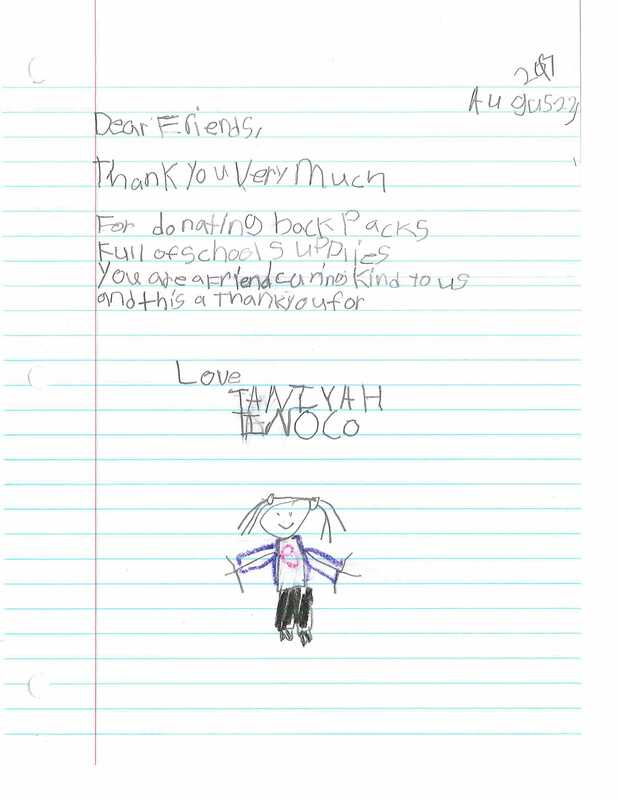 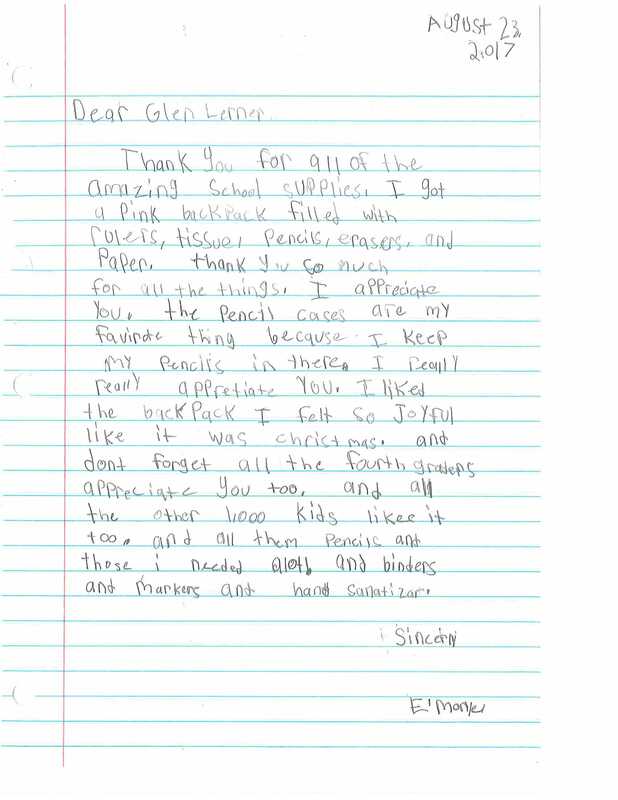 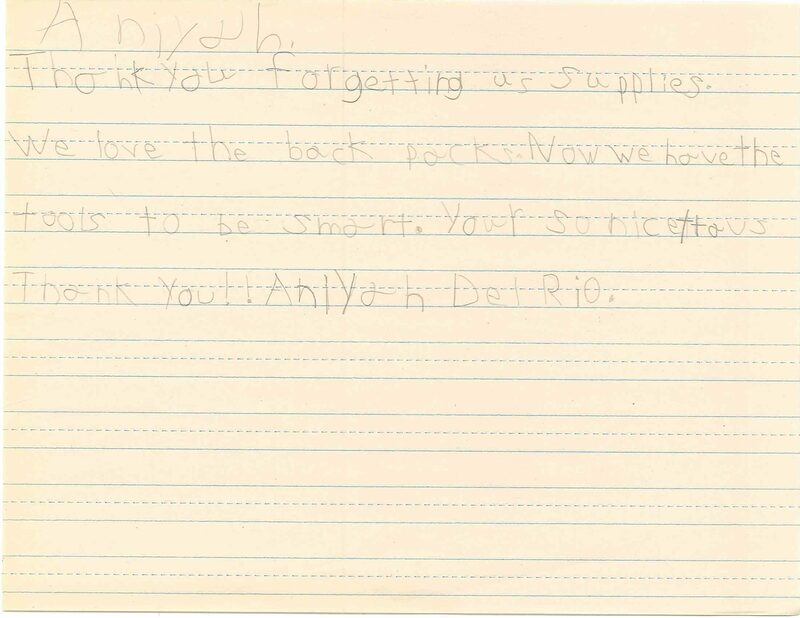 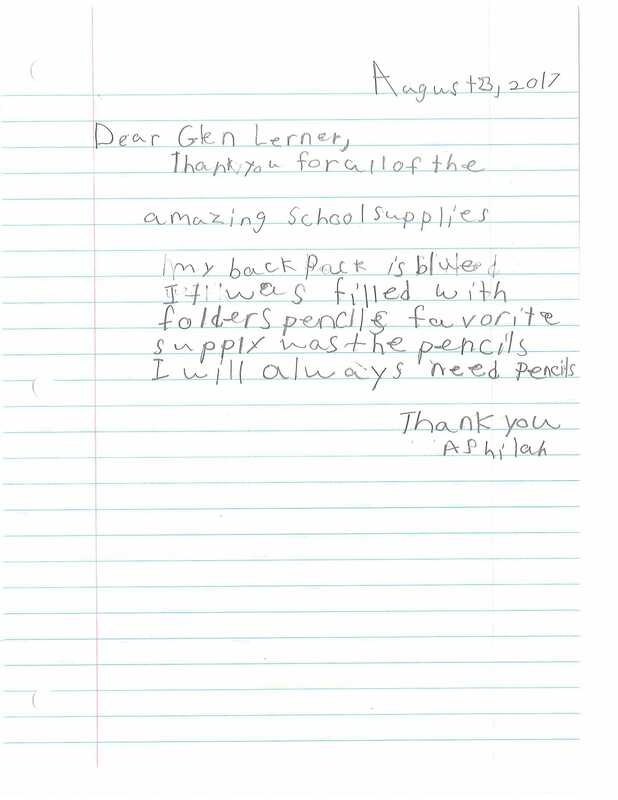 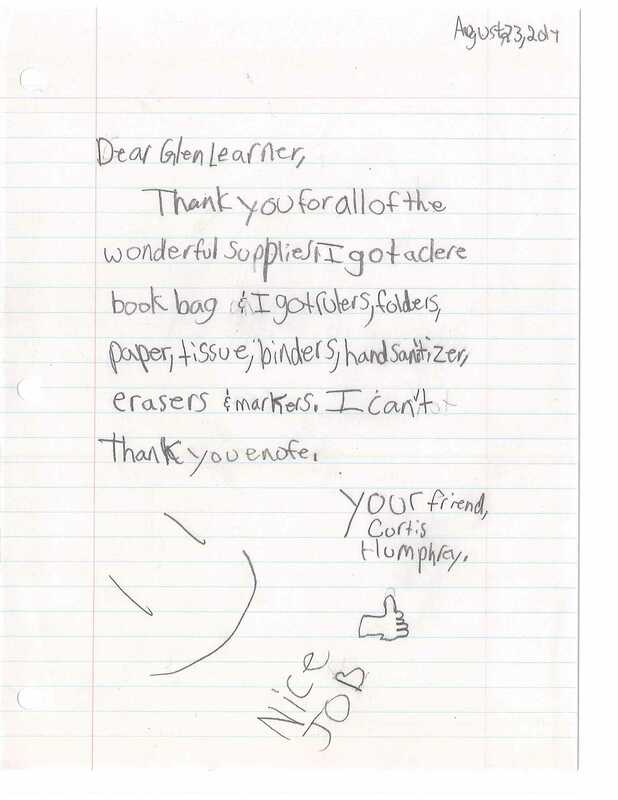 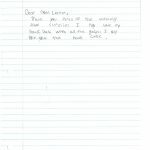 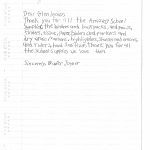 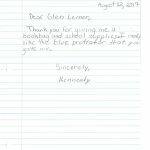 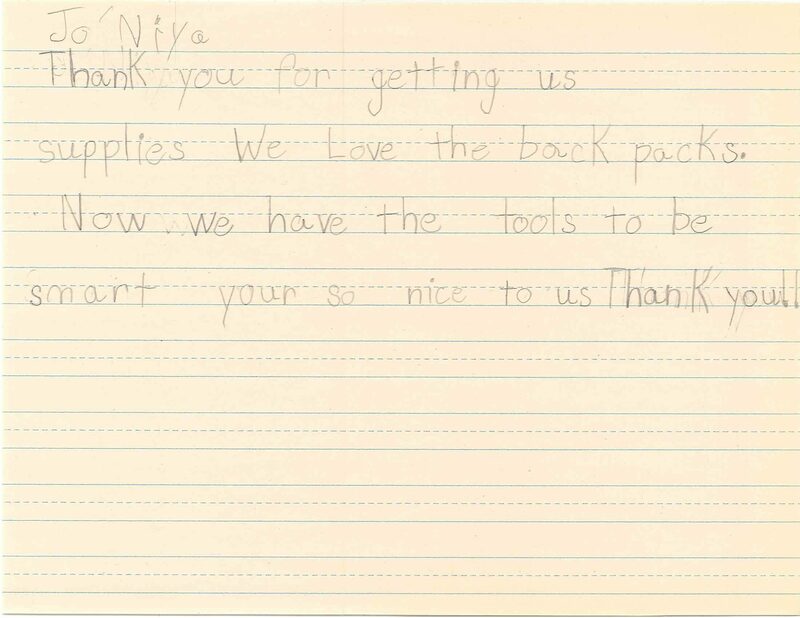 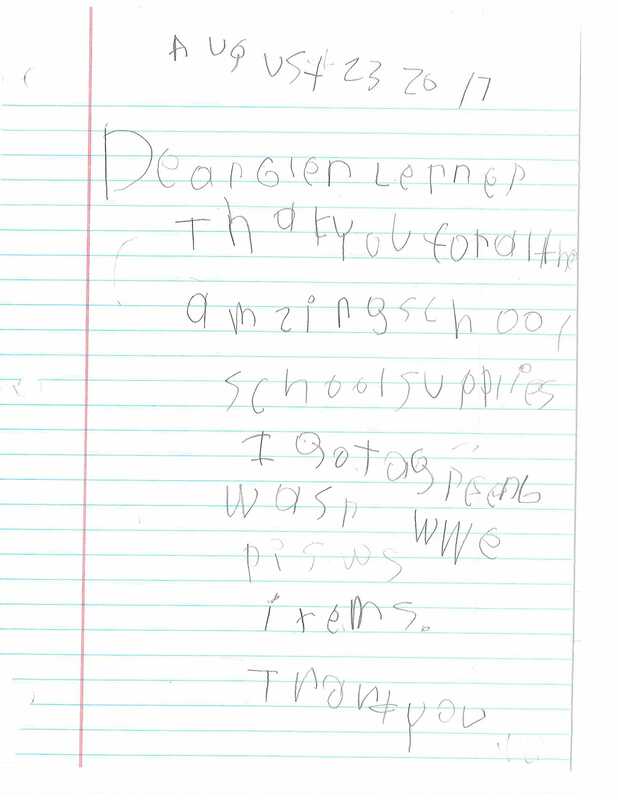 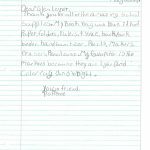 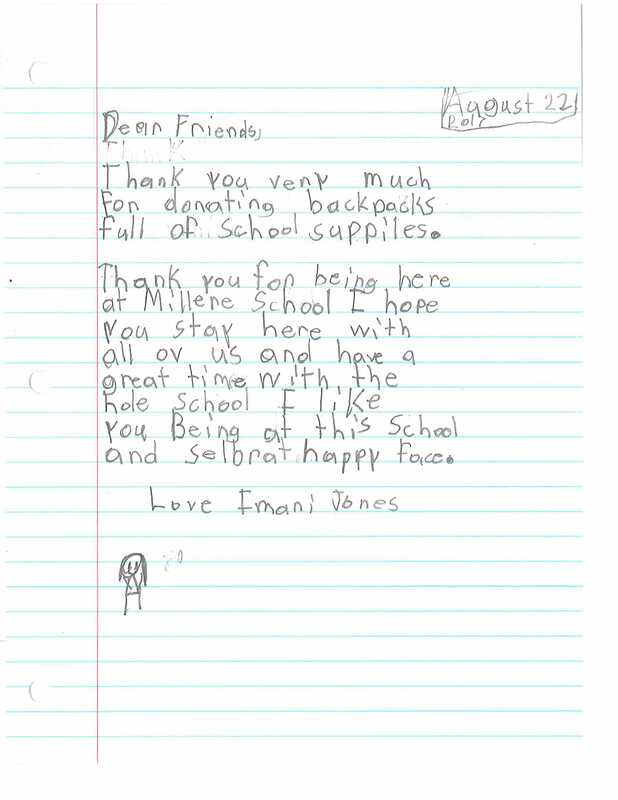 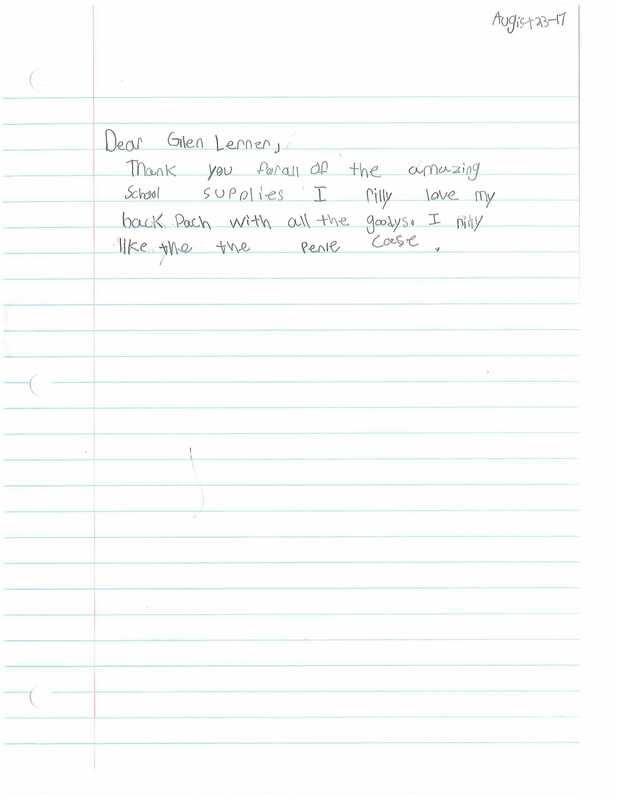 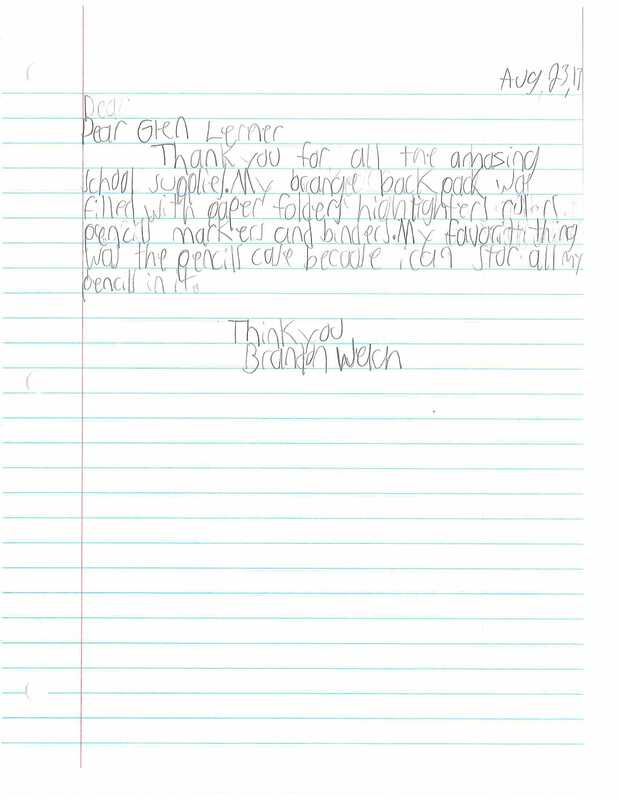 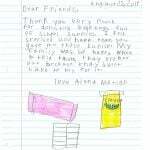 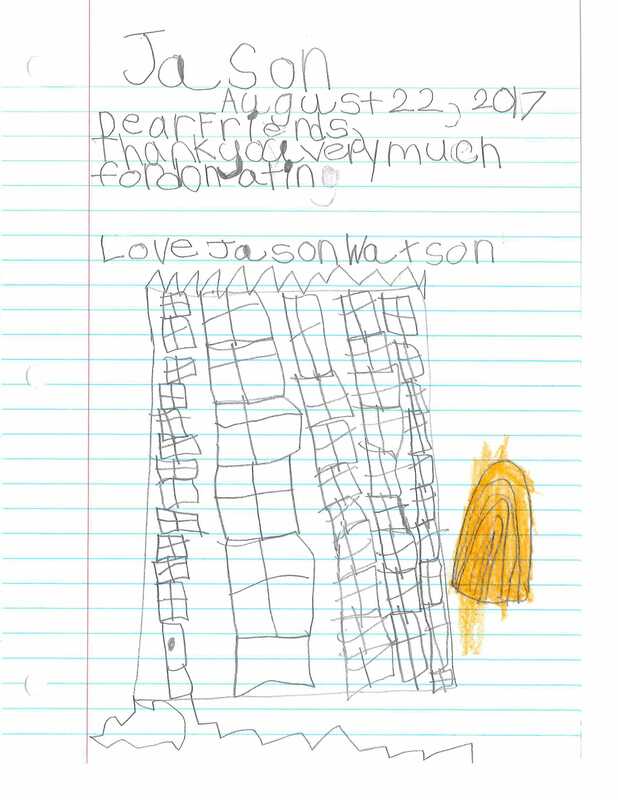 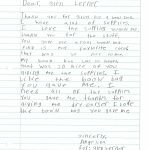 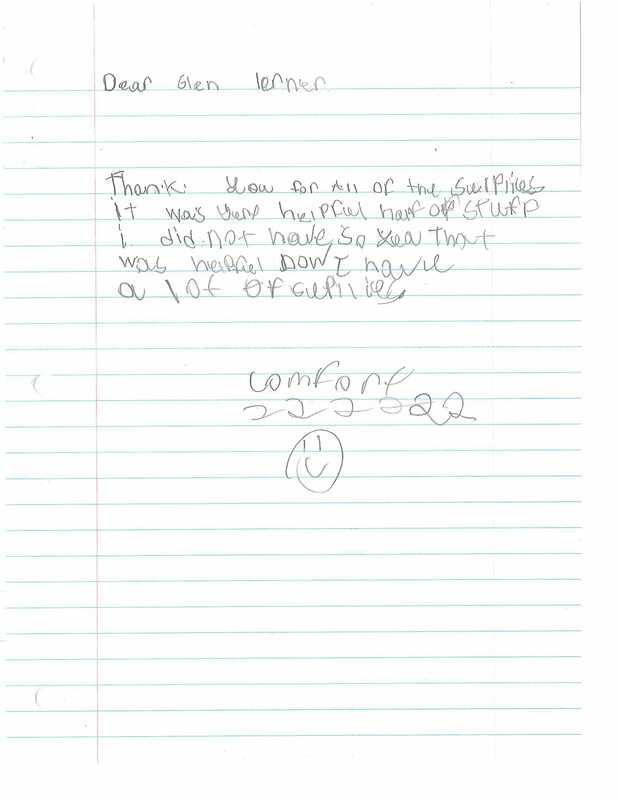 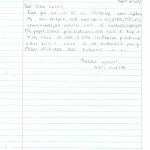 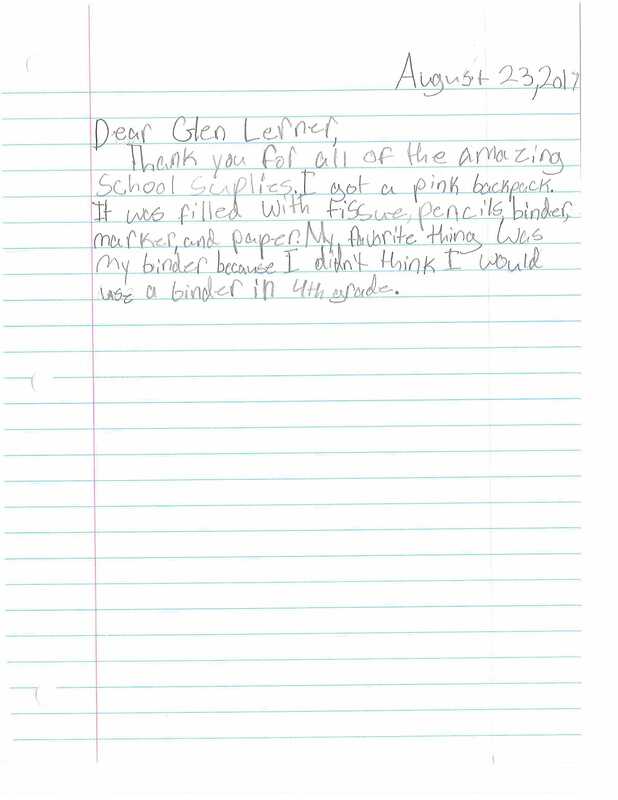 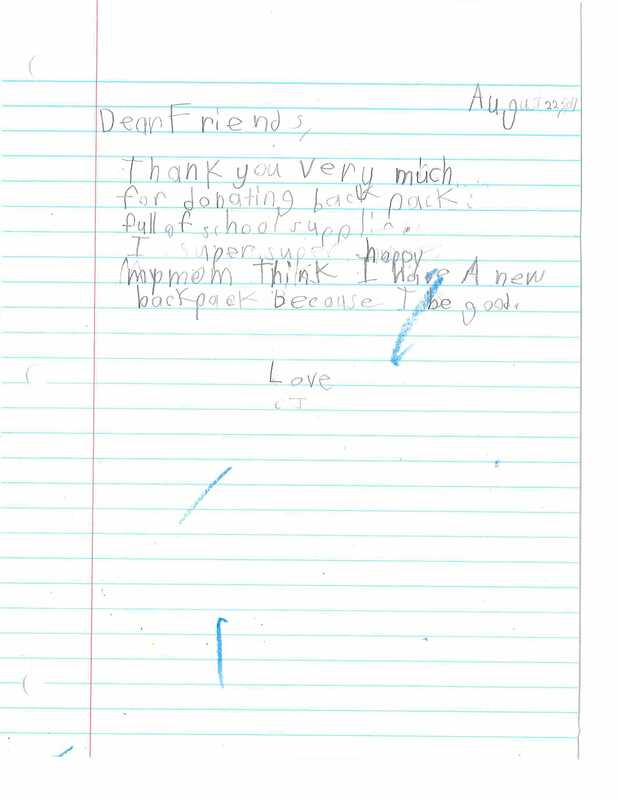 By pulling our organizations’ resources together, the partnership made it possible for each student to receive a minimum of 80% of the school supplies requested by each of their teachers.The school supplies were ordered in bulk and shipped to our Glen Lerner Maywood, IL satellite office. 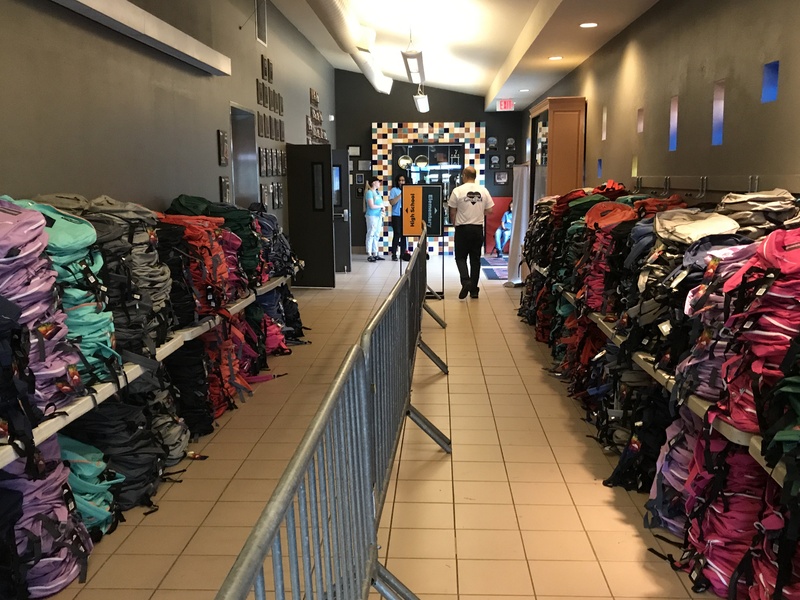 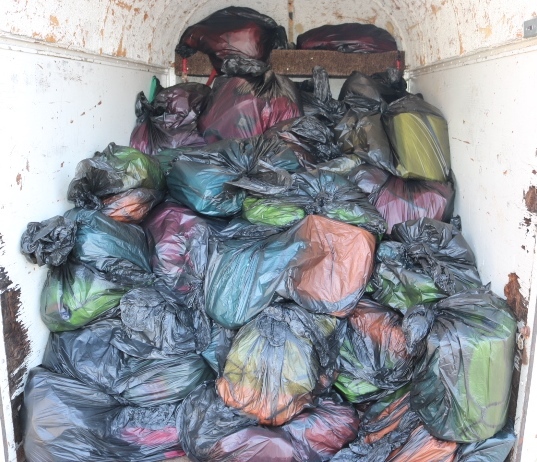 From this location, volunteers from Crossroads Connects and Glen Lerner got to work by sorting and assembling the back packs. 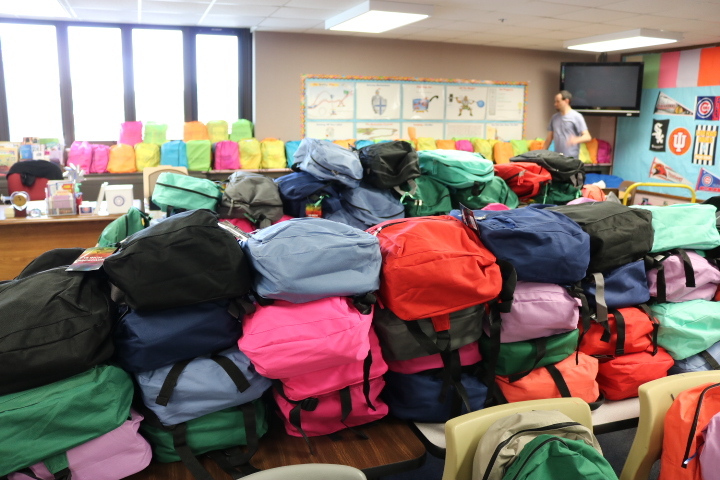 This labor of love took several days and was completed by 11 volunteers. 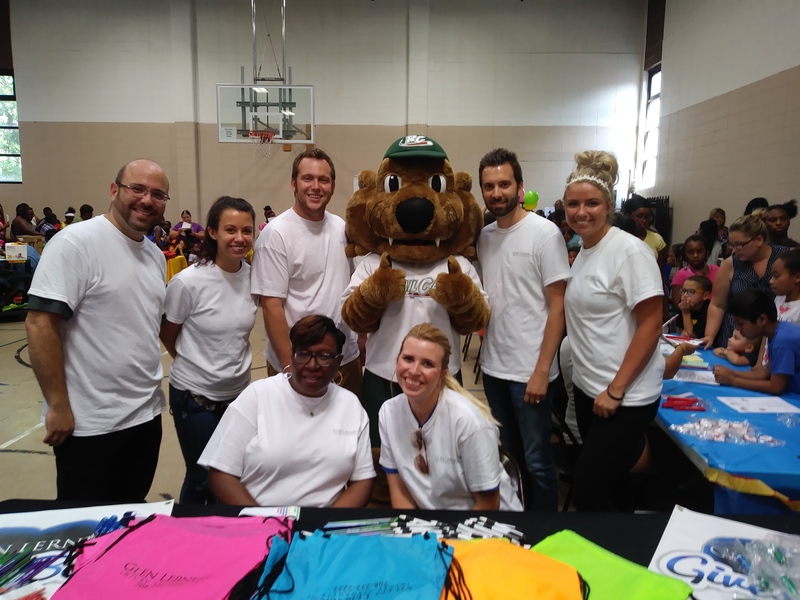 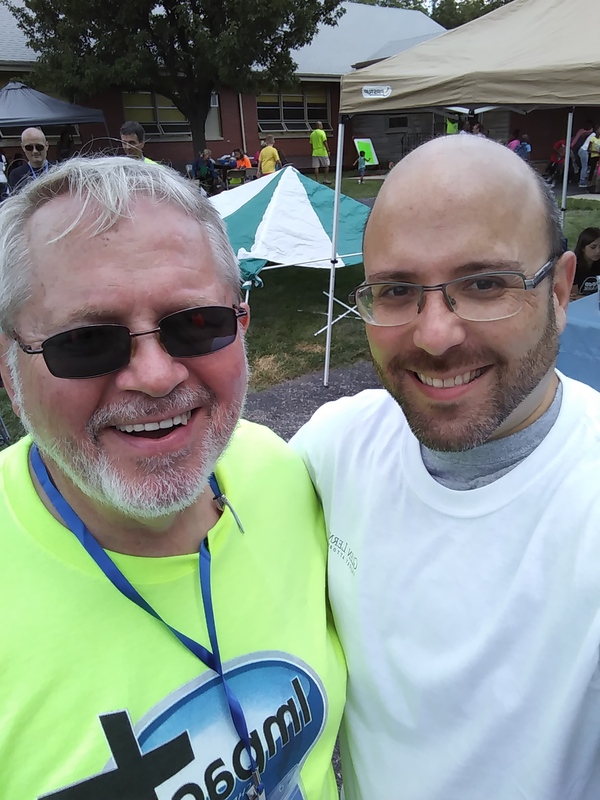 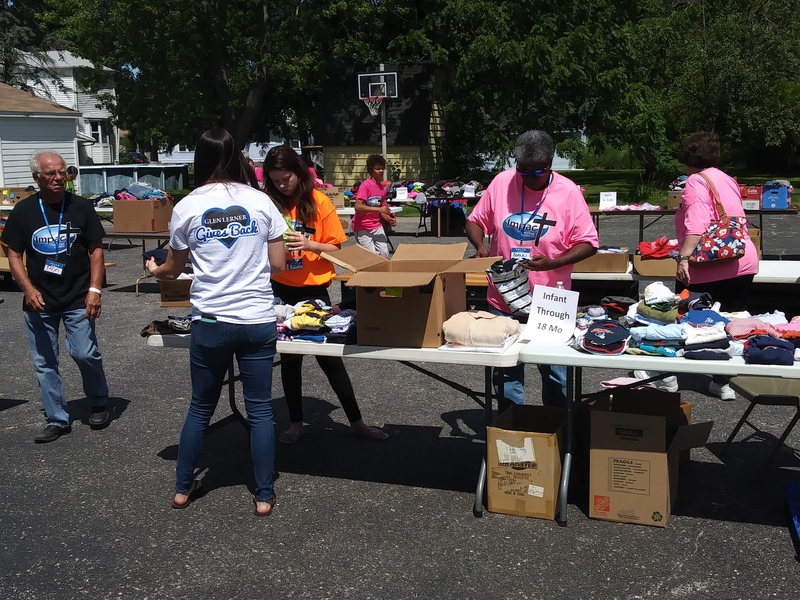 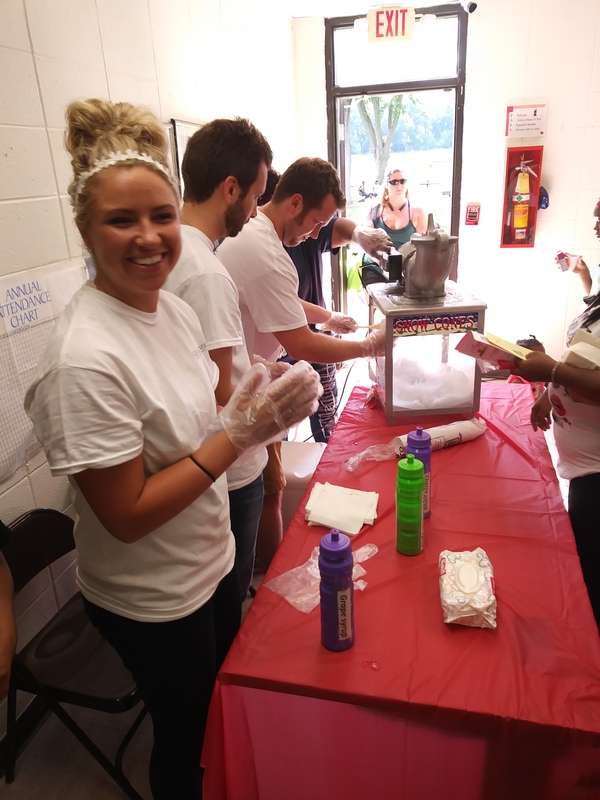 Our Glen Lerner staff is grateful for the partnership with Crossroads Connects as both organizations were able to make a greater impact together that far exceeded what each of us could have done on our own. 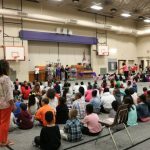 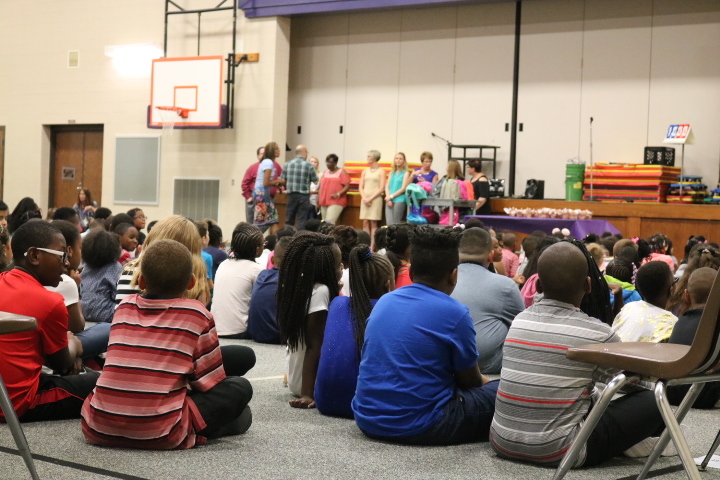 On August 16th, 2017, the Miller student body was presented with the supplies during their first school assembly of the year. 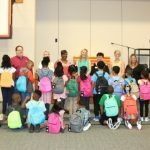 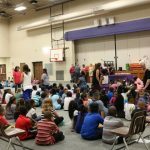 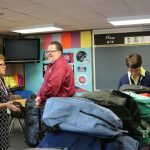 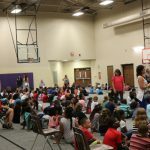 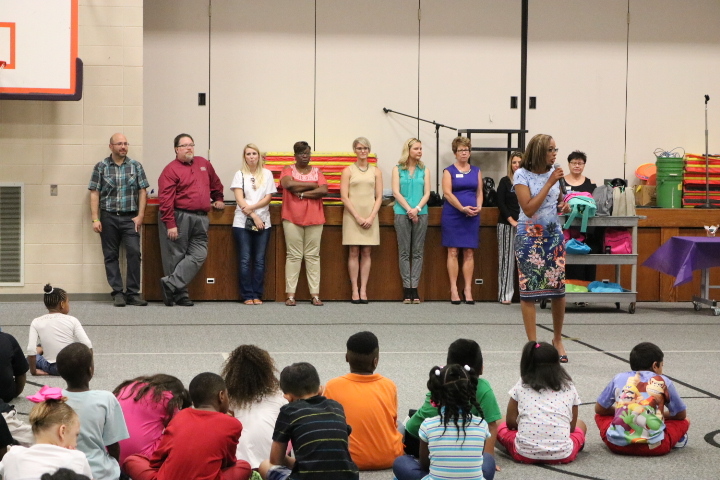 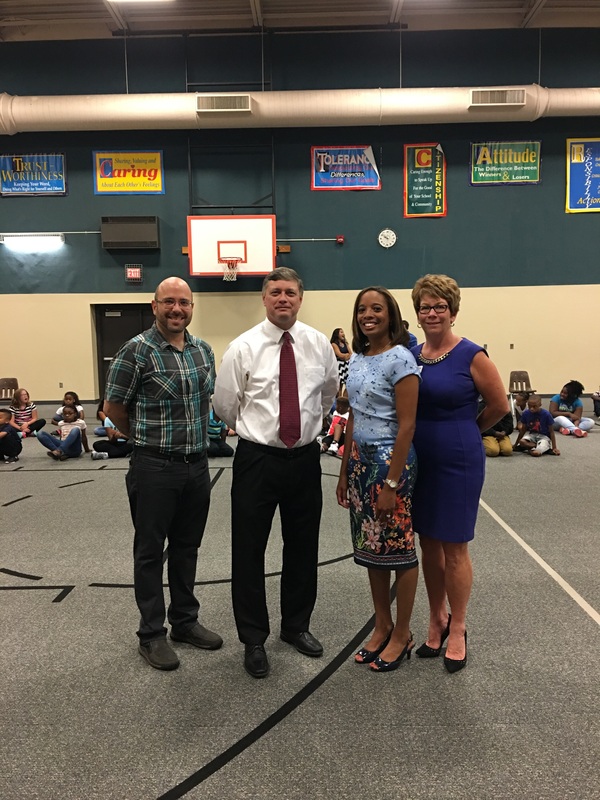 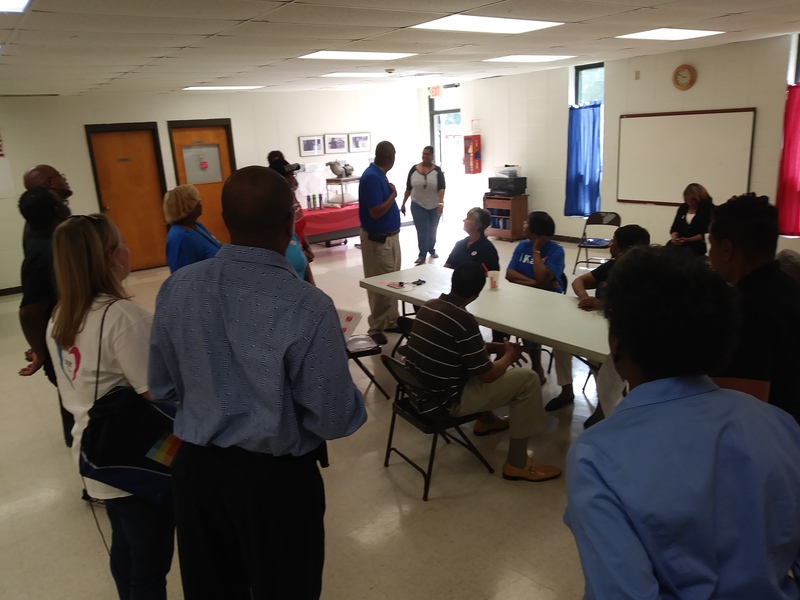 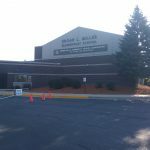 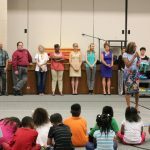 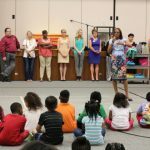 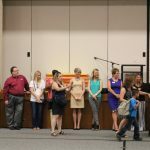 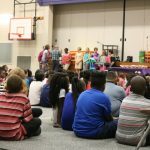 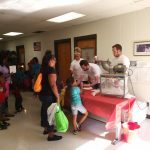 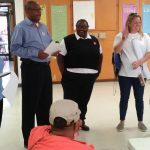 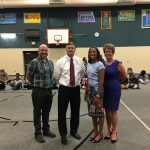 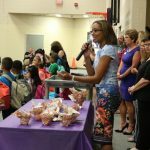 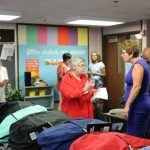 There to celebrate with the kids, and welcome them back to school was the local school staff; Mr. Studebaker (School Superintendent), Mrs. Griffin (School Principal) and representatives from both Glen Lerner Injury Attorneys and Crossroads Connect. 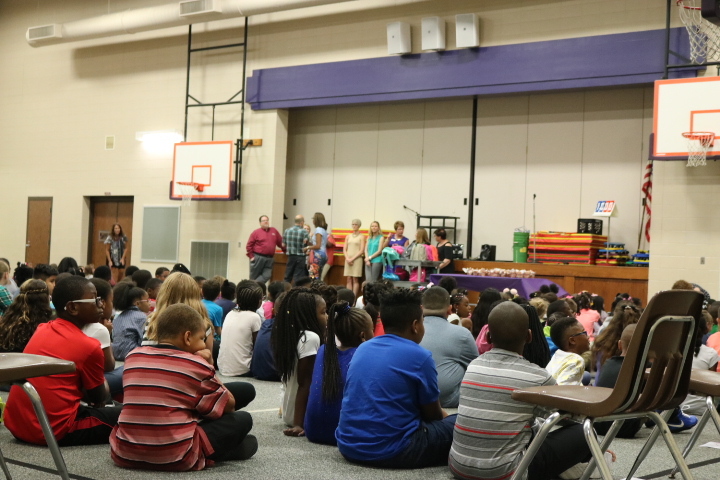 Having a presence at the assembly and being able to experience the excitement in the room reminded us why we embarked on this project in the first place; it was always about the kids. 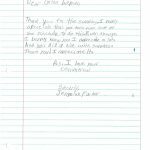 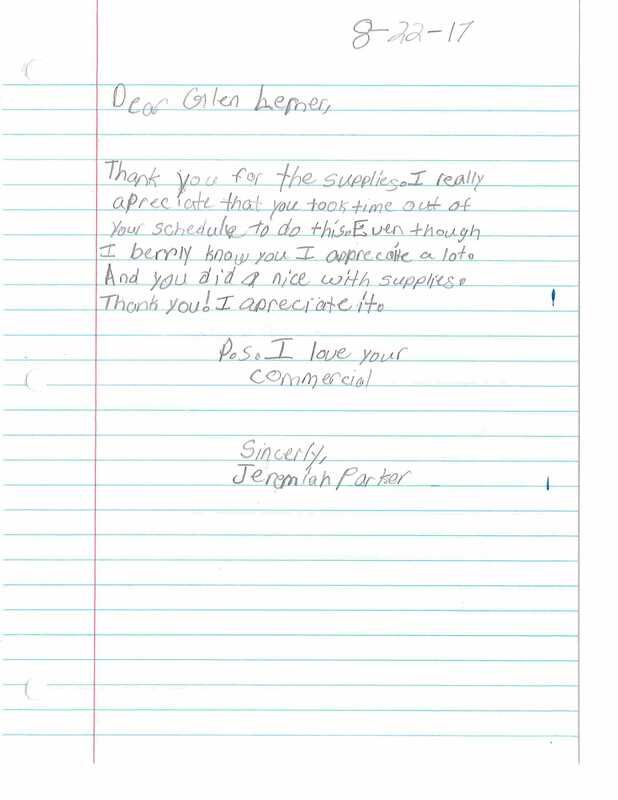 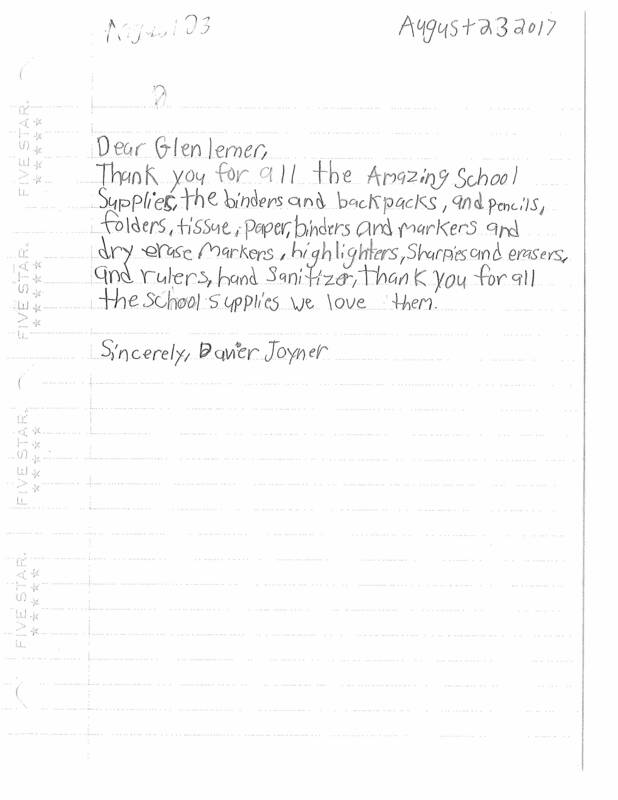 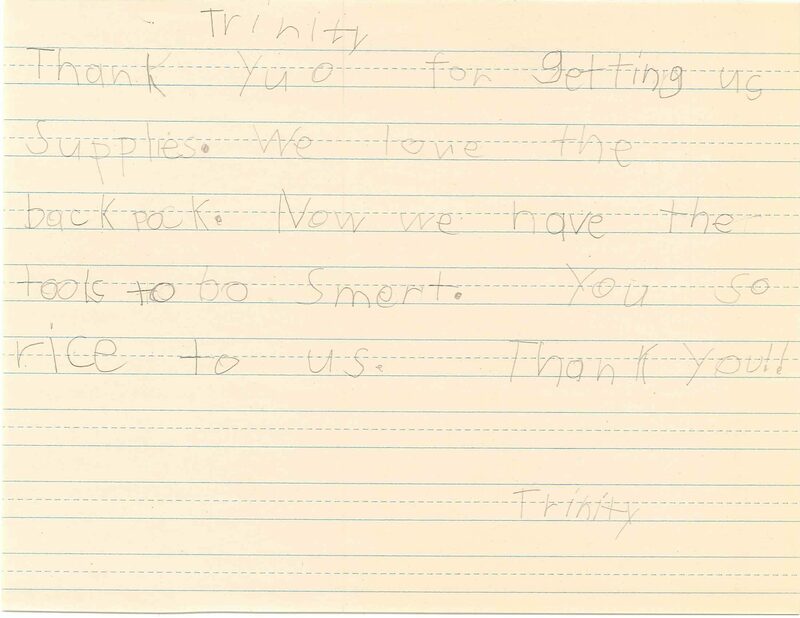 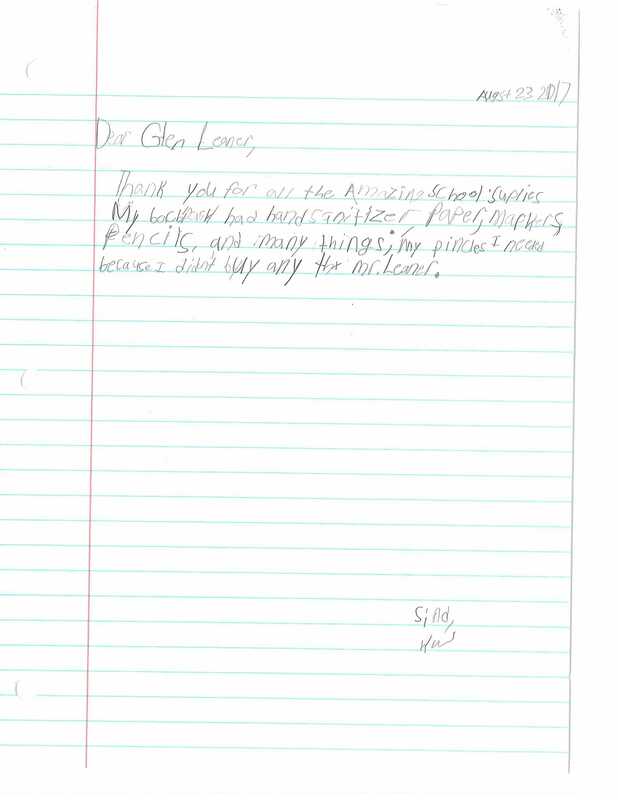 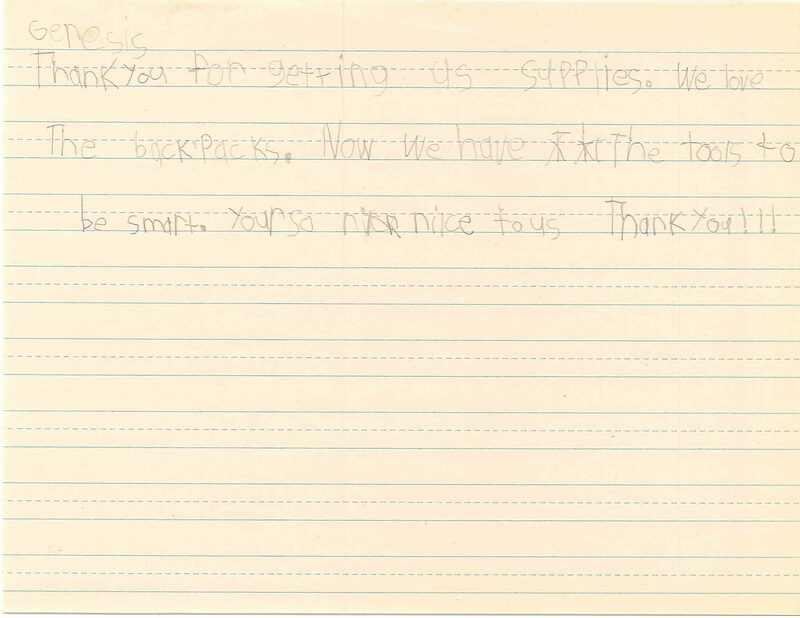 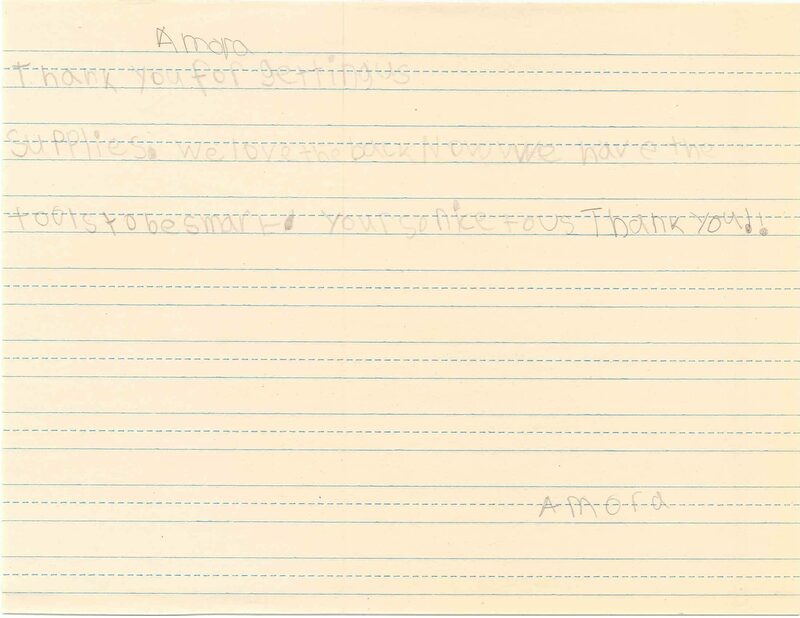 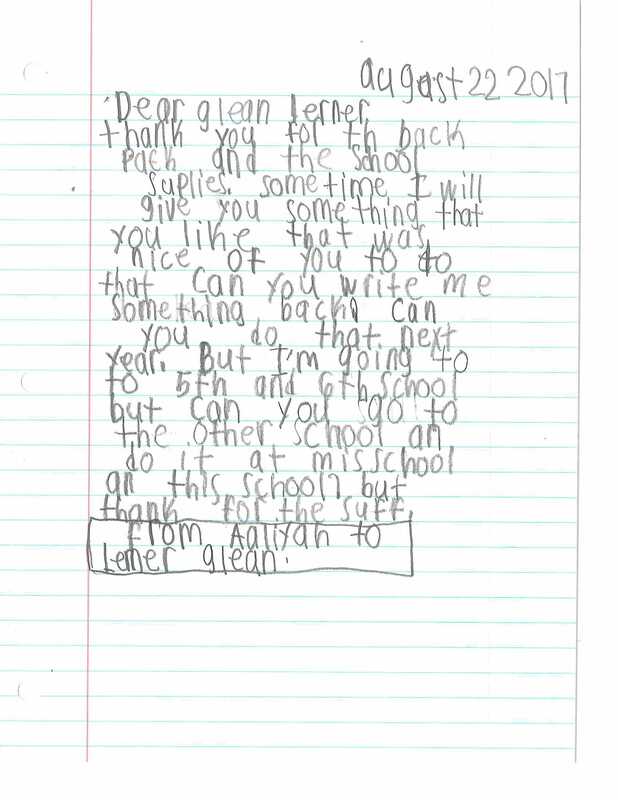 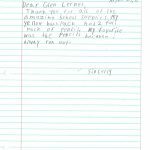 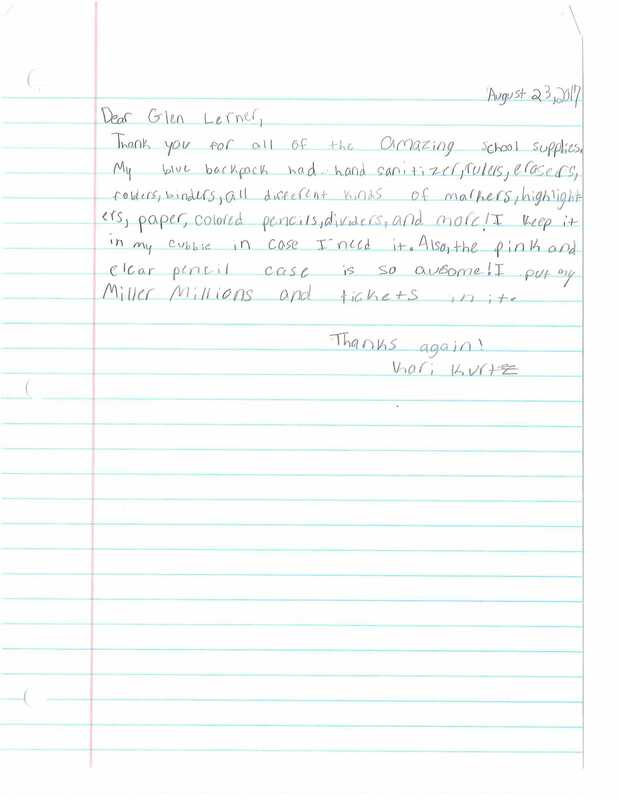 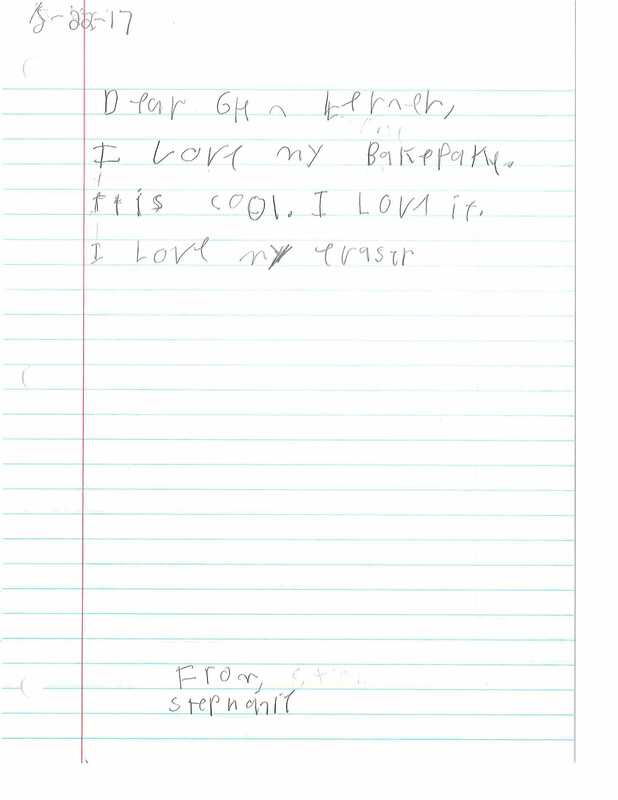 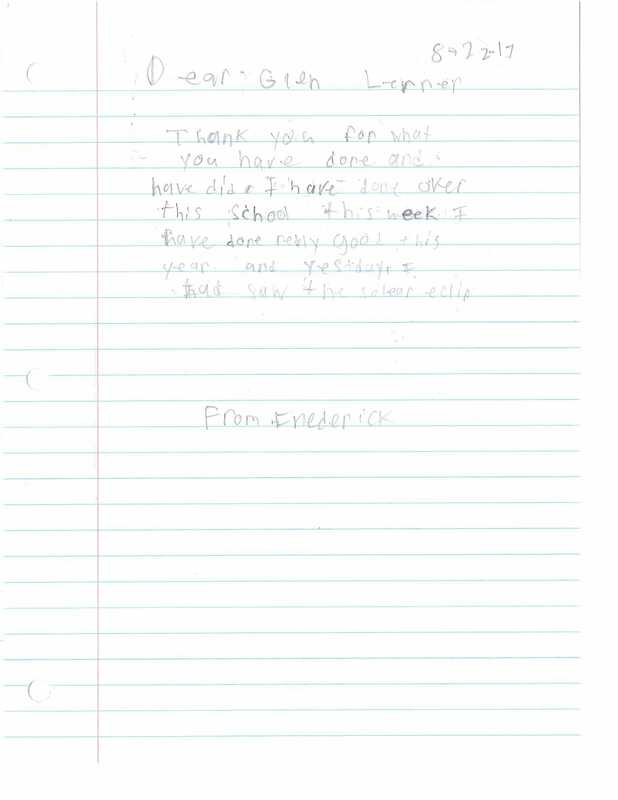 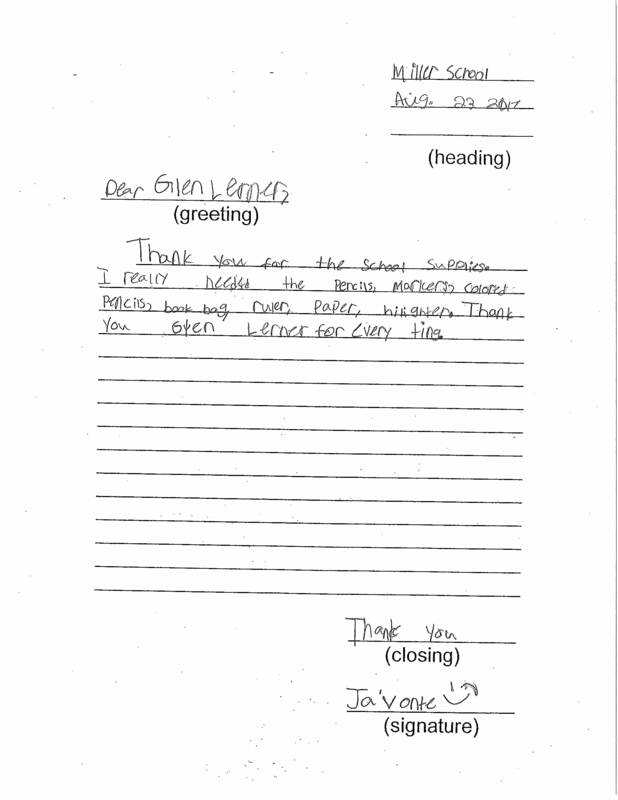 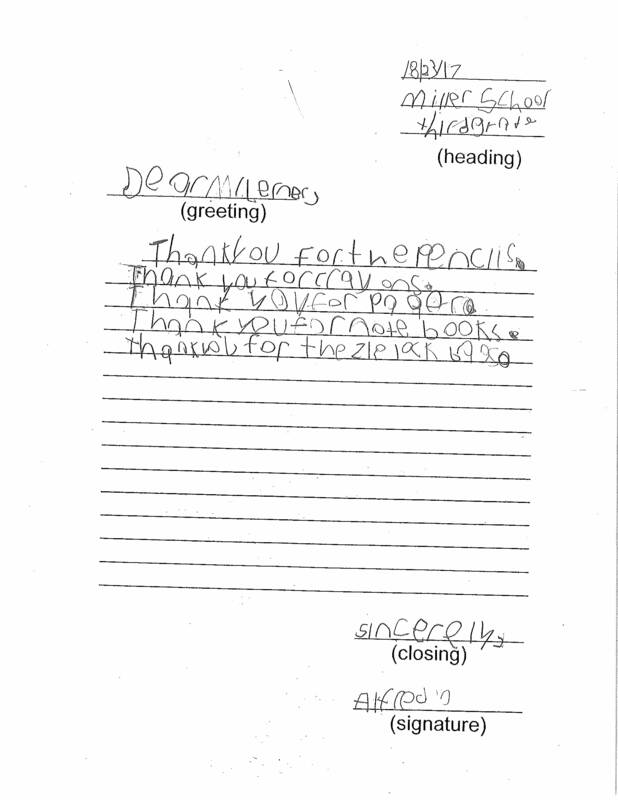 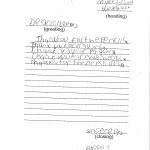 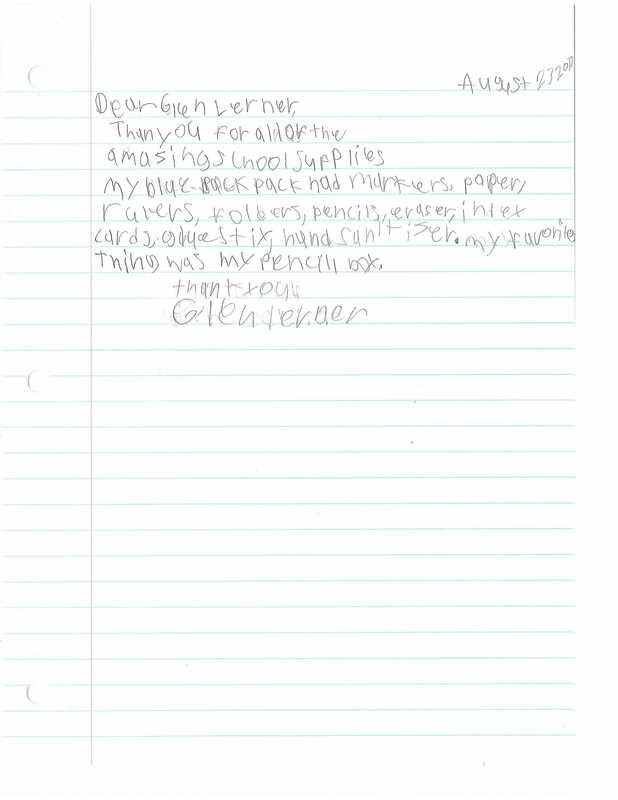 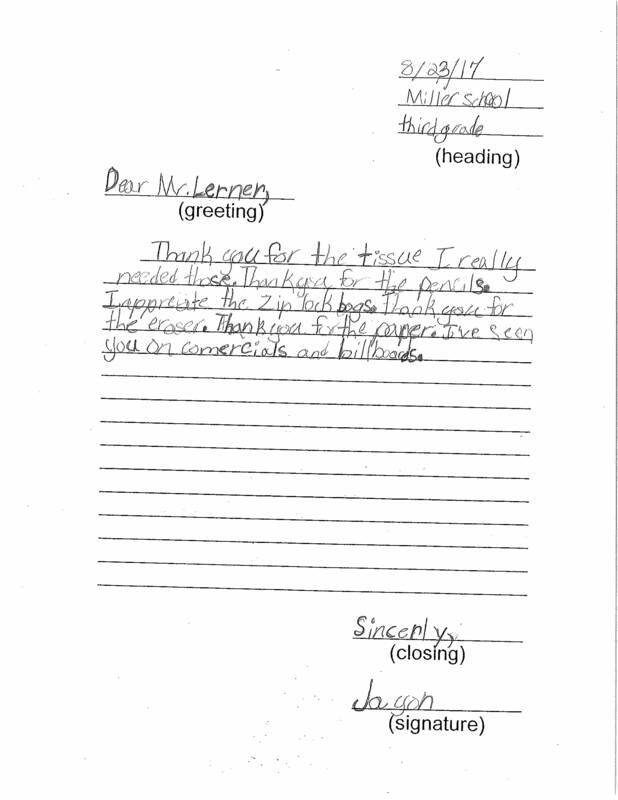 Mr. Griffin approached us at the end of the assembly and expressed her profound gratitude for the school supplies. 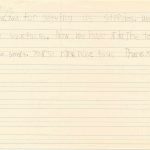 She commented that although in the past the school had received similar donations, this contribution was like no other. 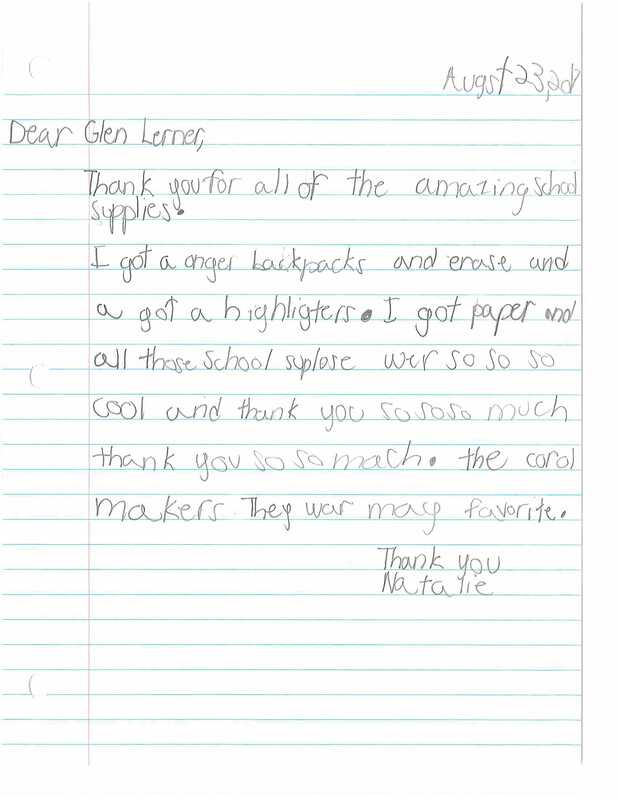 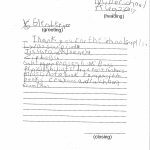 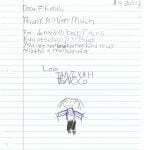 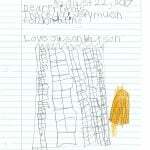 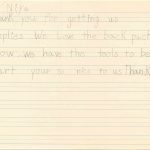 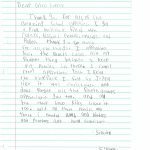 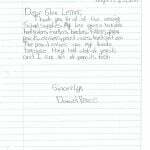 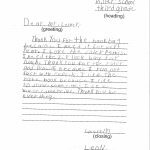 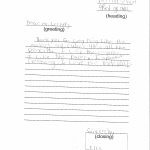 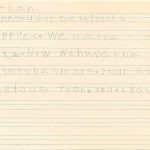 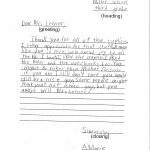 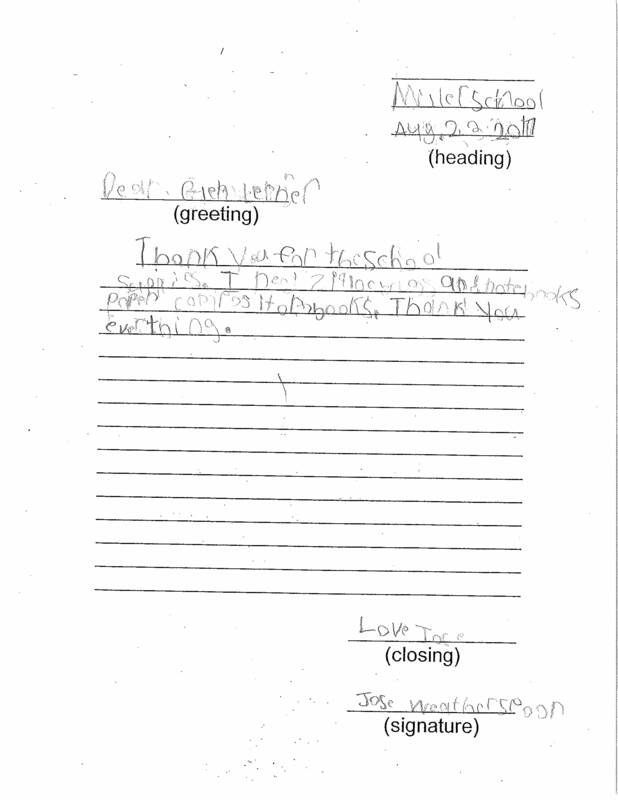 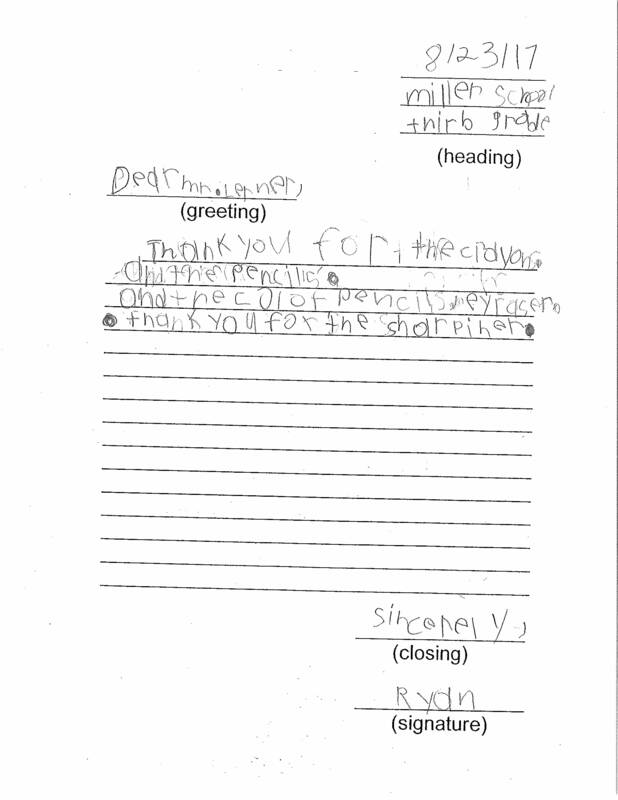 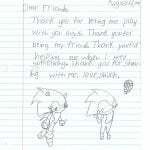 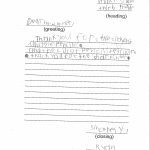 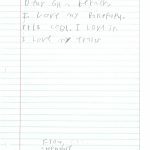 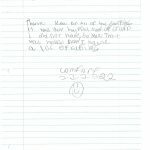 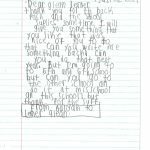 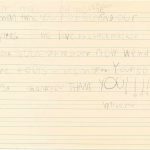 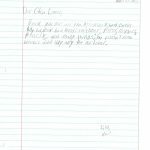 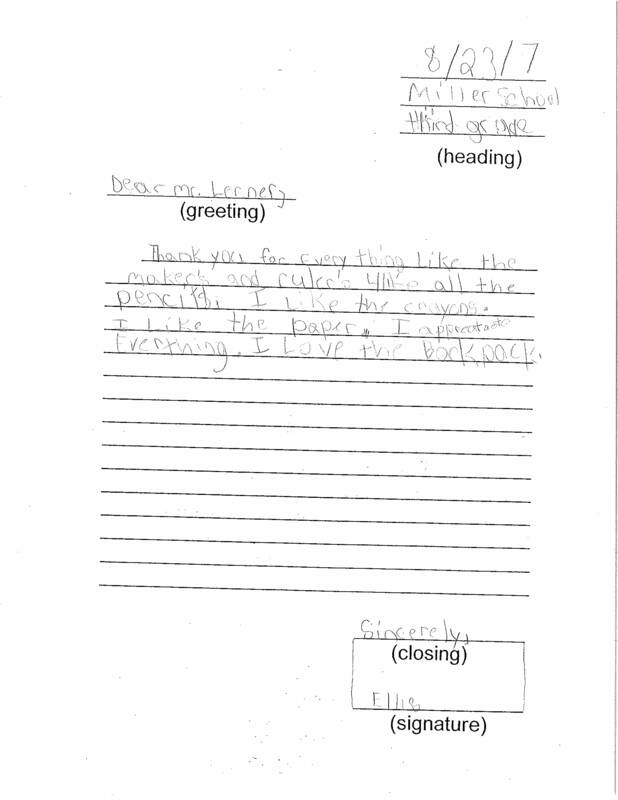 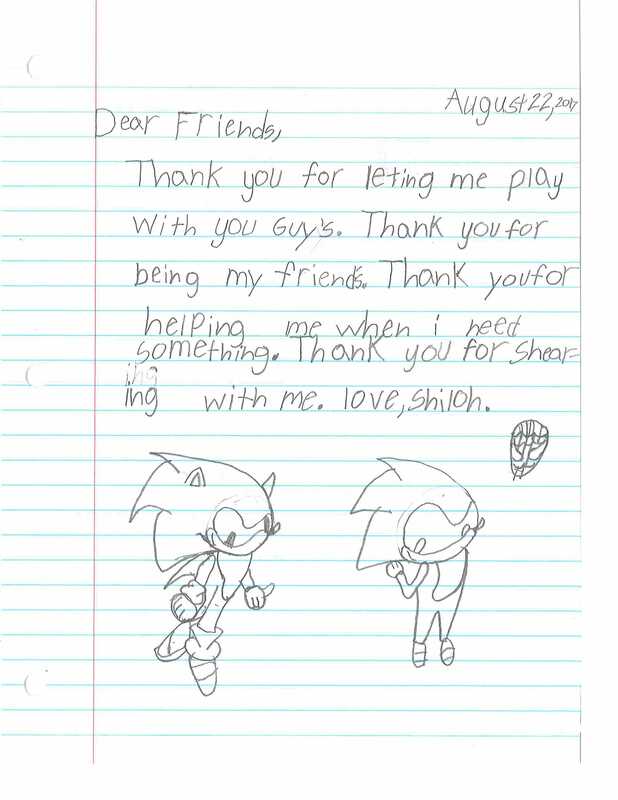 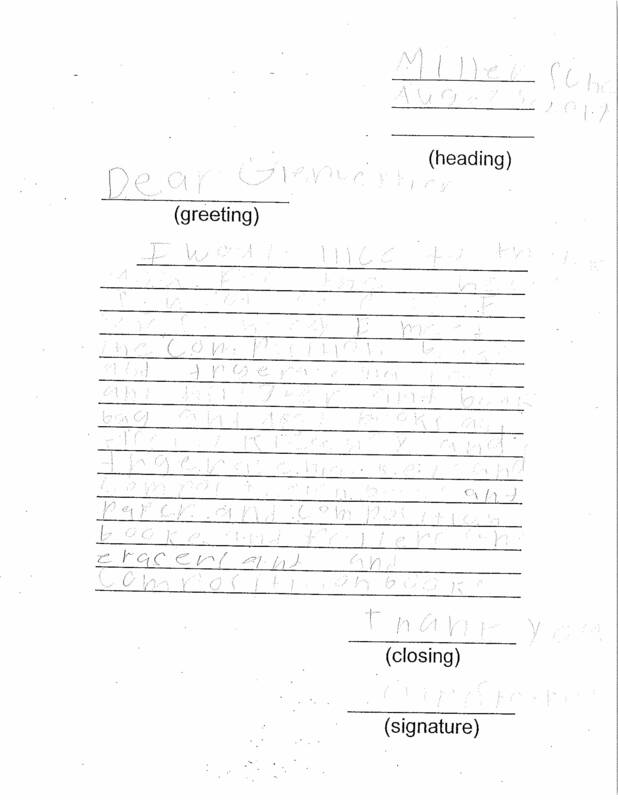 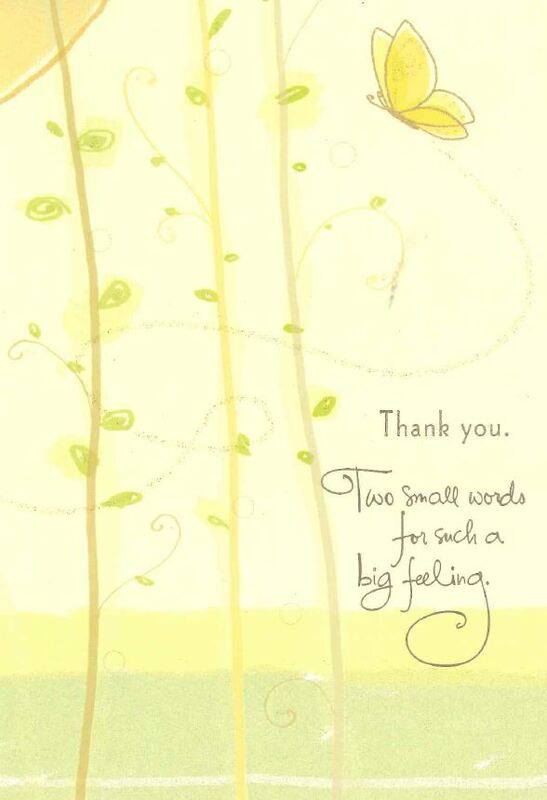 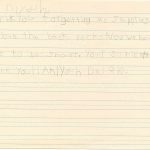 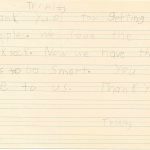 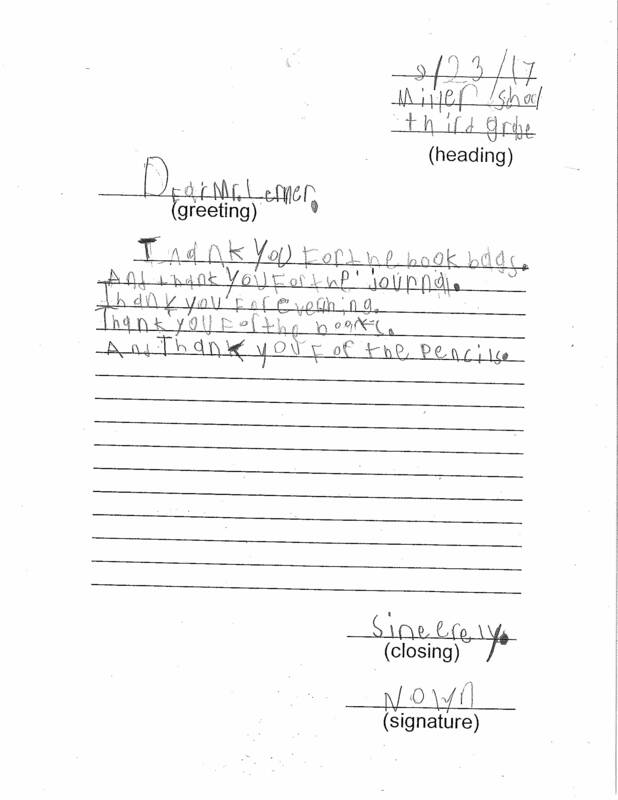 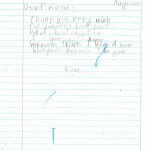 She was blown away by the generosity and attention her school received through this project. 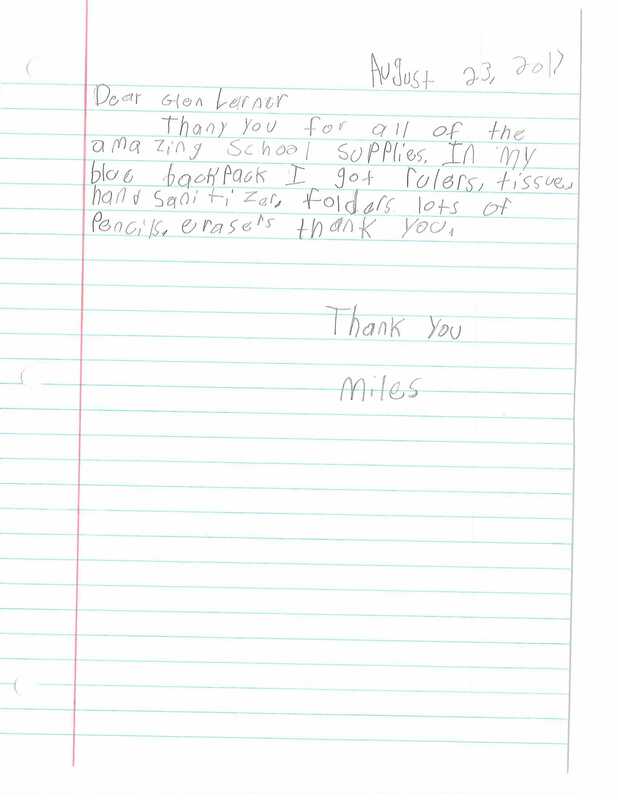 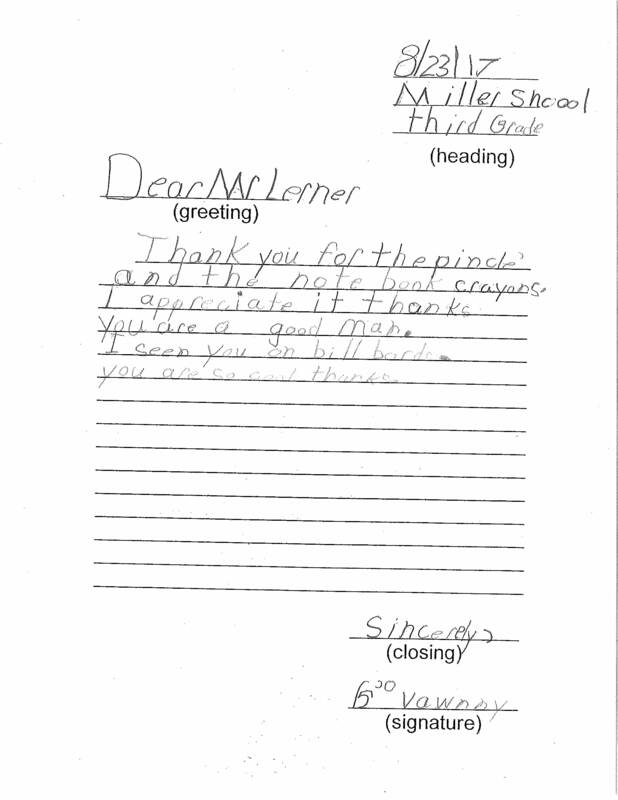 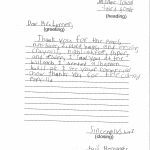 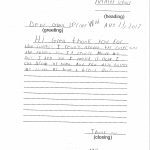 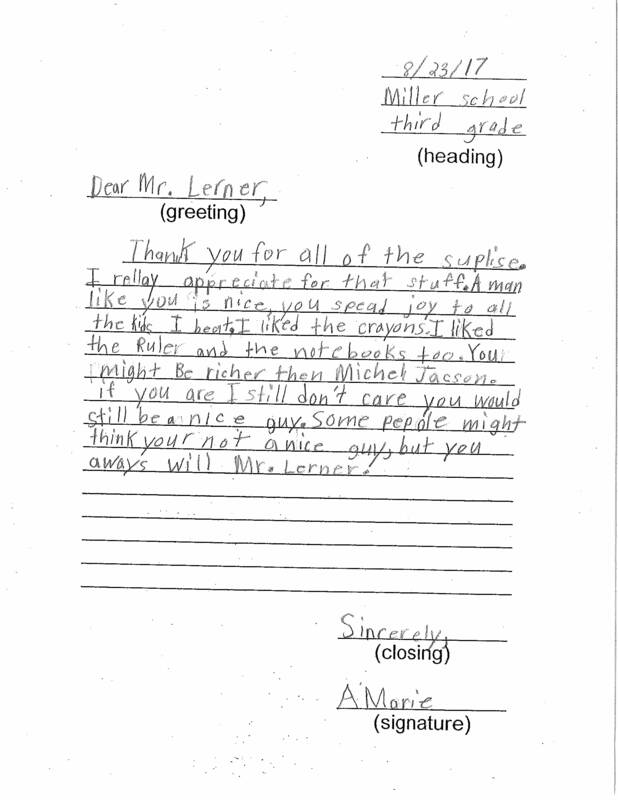 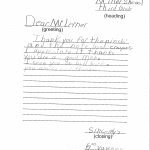 Thank you Miller Elementary for the opportunity to serve your students! 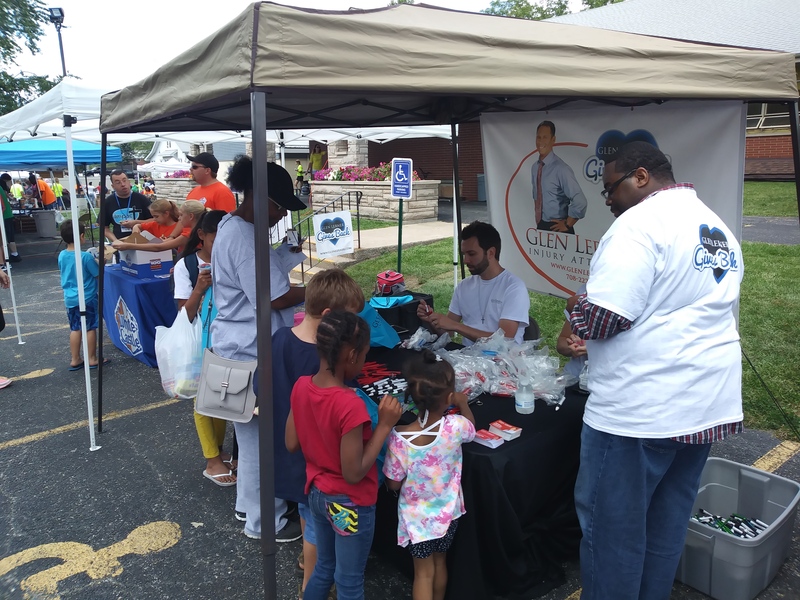 On behalf of our Glen Lerner Injury Attorneys and Crossroads Connect, we wish you the best this year has to offer.